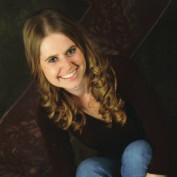 Married to a wonderful man with two beautiful little boys and working from home . . . What more could I want? An amazing writing career! I've already written four books and have a good deal more in the making. My ultimate goal is to spread the wealth in so many areas including preparing for and raising children, buying a home, planting a flower/vegetable garden, cooking in a healthy way, cleaning, etc. 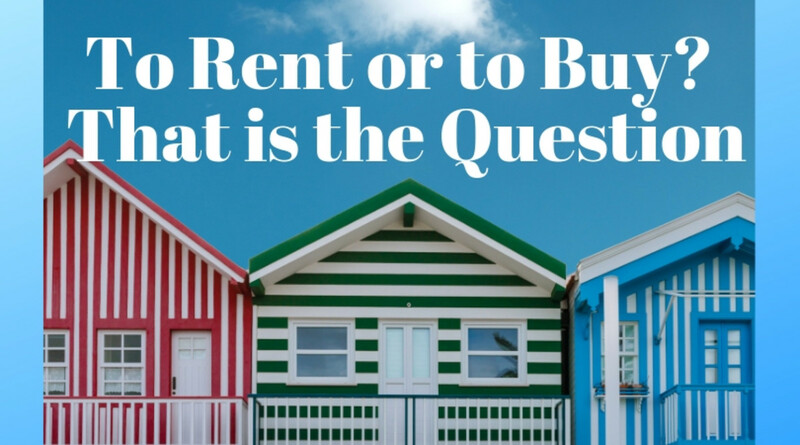 In this day and age, especially being young with a vast education made useless by a hurting economy, like me, it's critical to know how to have the "American dream" with a small budget. I want to help others know how to save money and live better in every area of their lives. 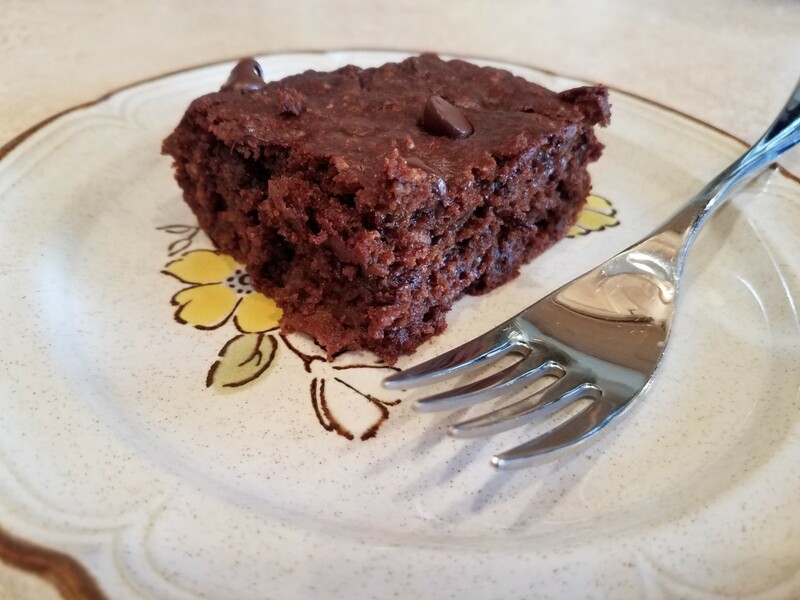 Clean double-fudge brownies chock full of healthy ingredients like organic honey, coconut sugar, peanut butter, applesauce, oats, and dark chocolate chips. By using healthier ingredients in your desserts, you can give yourself a leg up on a healthy diet and can enjoy your favorite treats anytime. With the fall and winter weather blowing in, the air is chilling, leaves are changing colors and falling off of all of the trees, and in some areas, it is already snowing in the early fall months. So everyone (in TTC circles) talks about all of the super foods able to help you get pregnant. But what about the foods you should be staying away from? The holidays are all about music and cookies, snow and fun crafts, and the wonderful feeling that comes over everyone around this time of year. So what would the holidays be without decorations?! I'm sure everyone is familiar with cooking a holiday ham for Christmas, but what about the rest of the year? 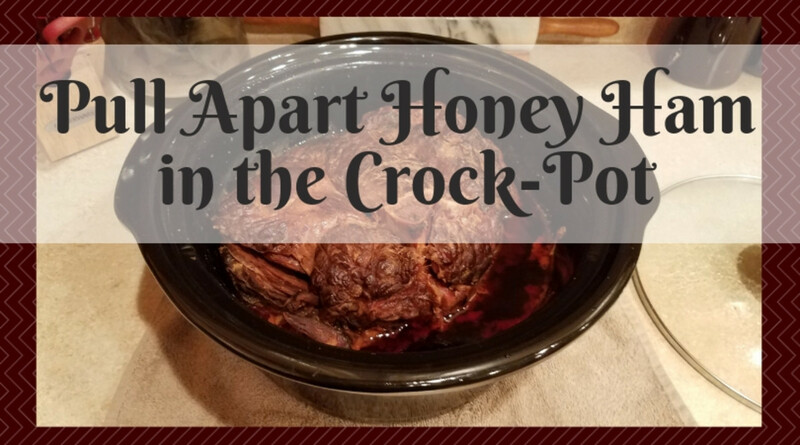 With this recipe for pull-apart honey ham in the Crock-Pot, you'll have plenty of wonderful ham all year long to use in your recipes. 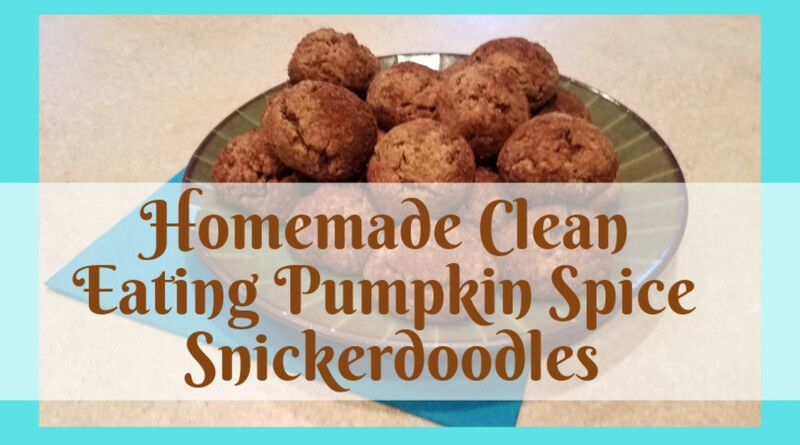 These homemade clean eating pumpkin spice snickerdoodles are perfect not only for the fall season when pumpkins are widely available, but at any time of year if you have preserved pumpkin. Using fresh, natural, and wholesome ingredients, these sweet treats can be a healthy addition to your menu. 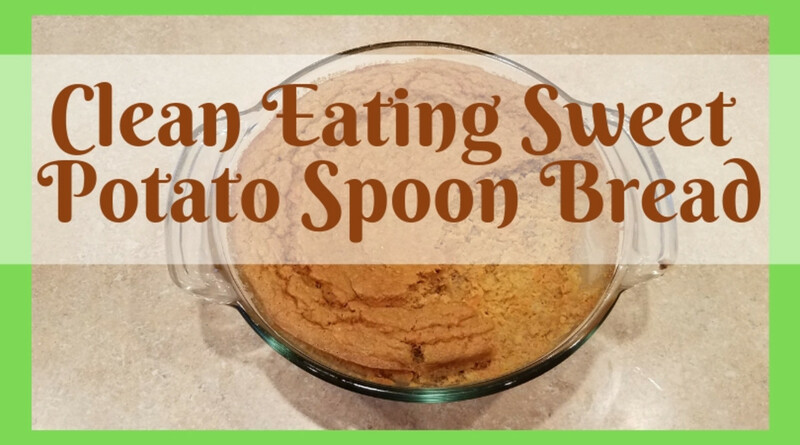 This clean eating sweet potato spoon bread is great for any time of the day and any occasion. 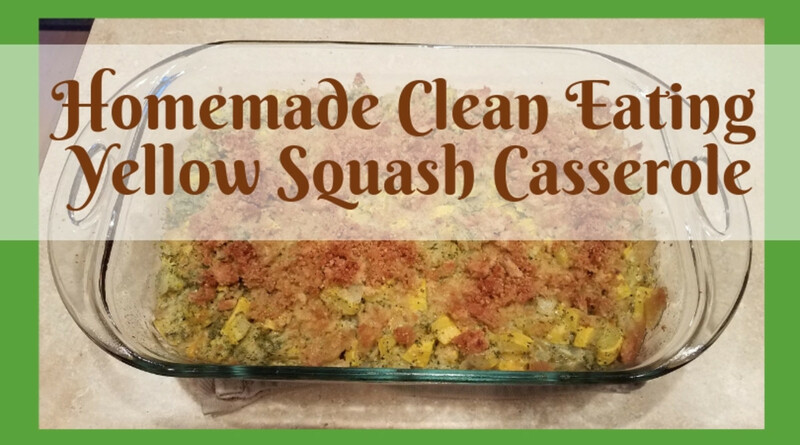 It would work well for a great holiday side dish, a nice savory breakfast, a hearty dinner, or even a sweet dessert depending on which extra ingredients you add. 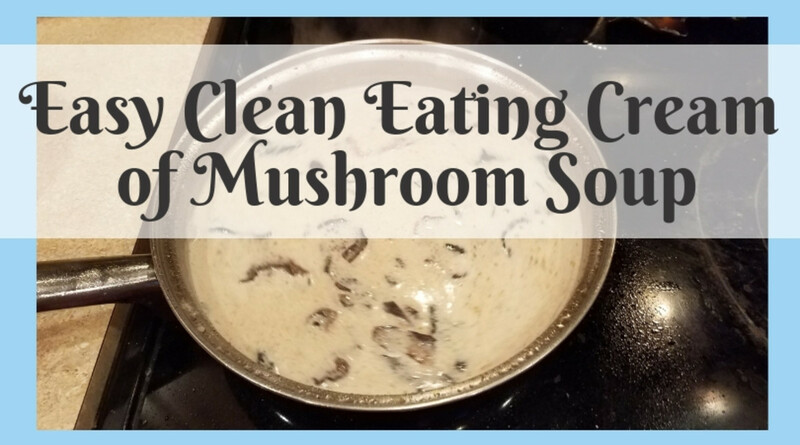 This easy clean eating cream of mushroom soup is sure to make all of your recipes that much healthier, cheaper, and more delicious. 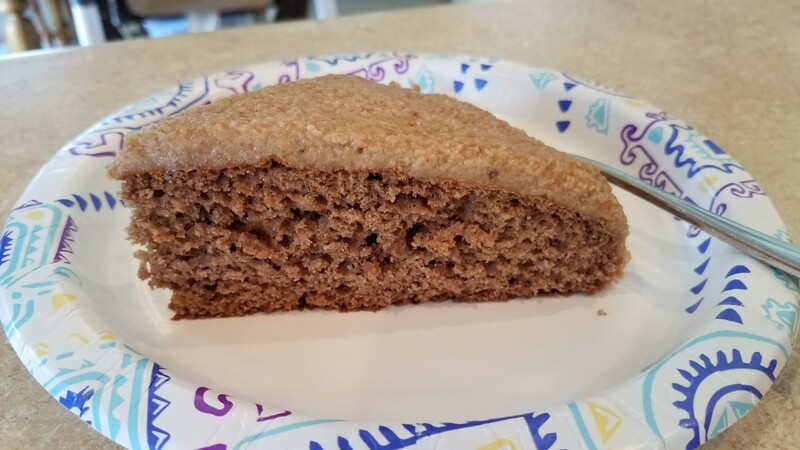 Not only is it super simple and quick to make, but it's filled with wholesome ingredients that your family is sure to enjoy! 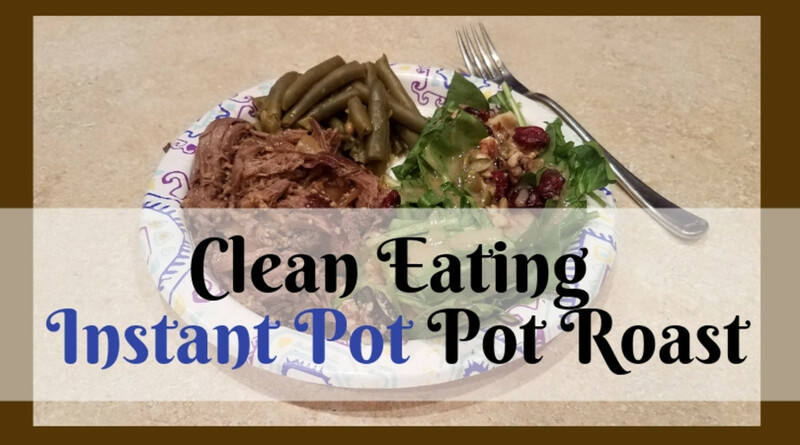 You're really going to enjoy this recipe for clean eating Instant Pot pot roast. 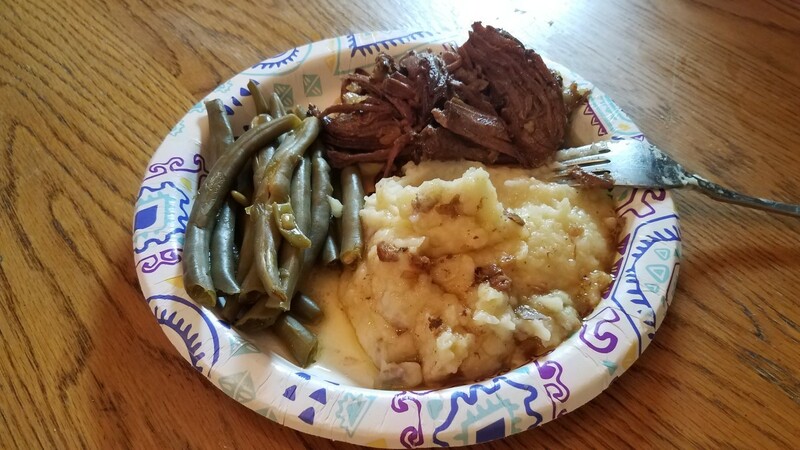 I don't think many people have ventured to give pot roast a shot in their Instant Pot, but boy was it worth it, especially if you want to cook some yummy vegetables with it. 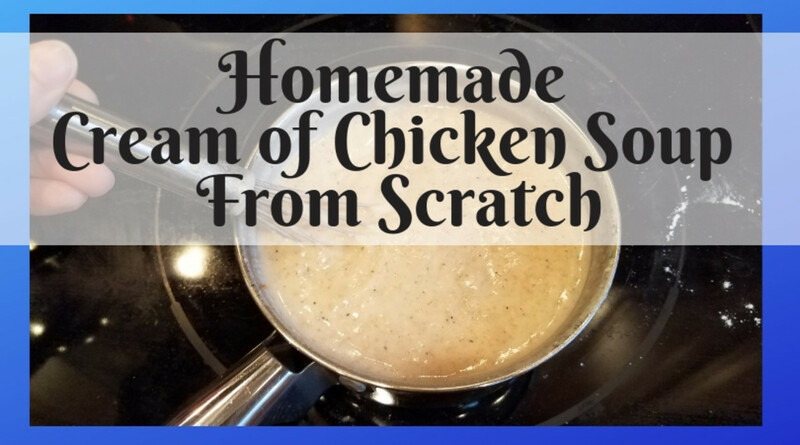 My homemade cream of chicken soup from scratch is not only simple and fast, but it's also healthy and delicious. 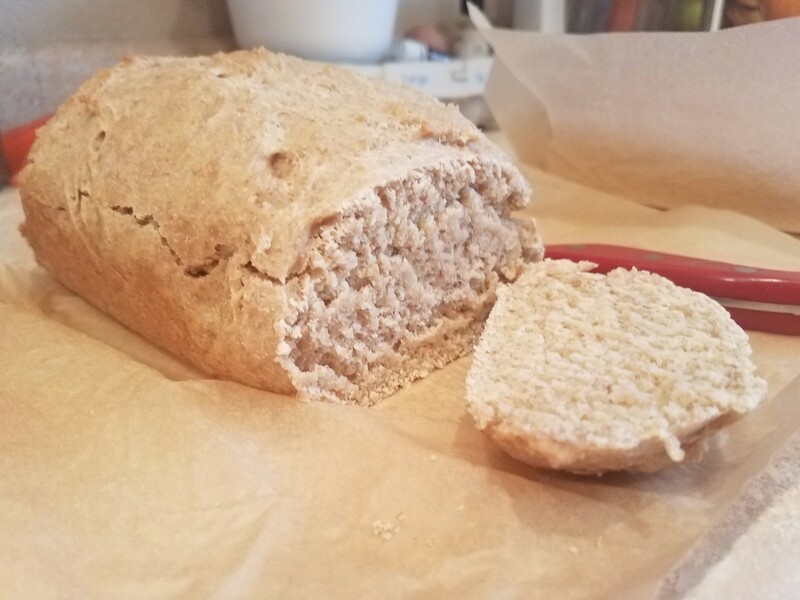 It's an excellent alternative to the store-bought processed version, and it's just as cheap, if not cheaper to make it yourself. 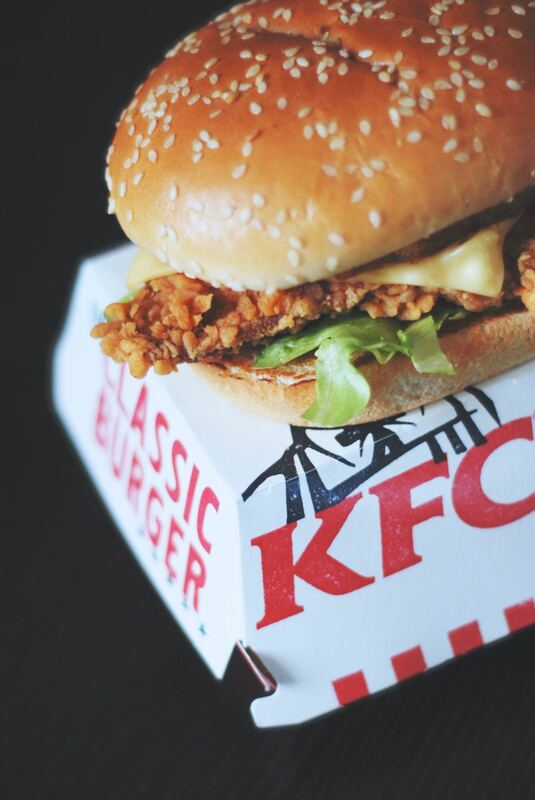 Once you make it the first time, you'll never go back. 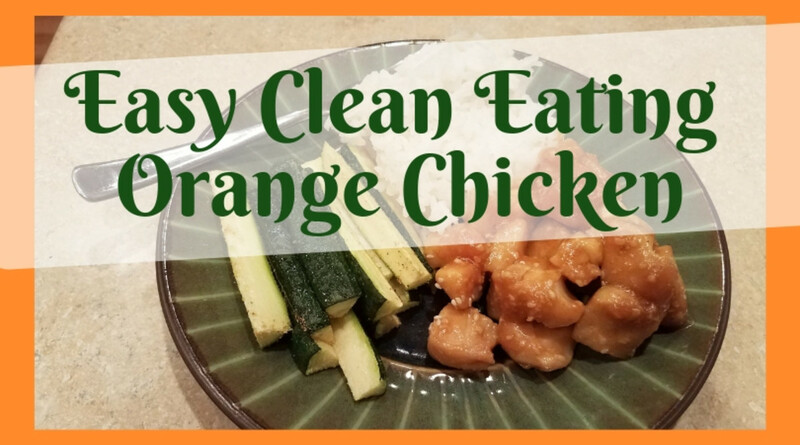 This easy, clean eating orange chicken is sweet and tangy with all of the right flavors to satisfy even your pickiest eaters. How can you go wrong with chicken, rice, and a yummy sweet sauce to pour all over it? 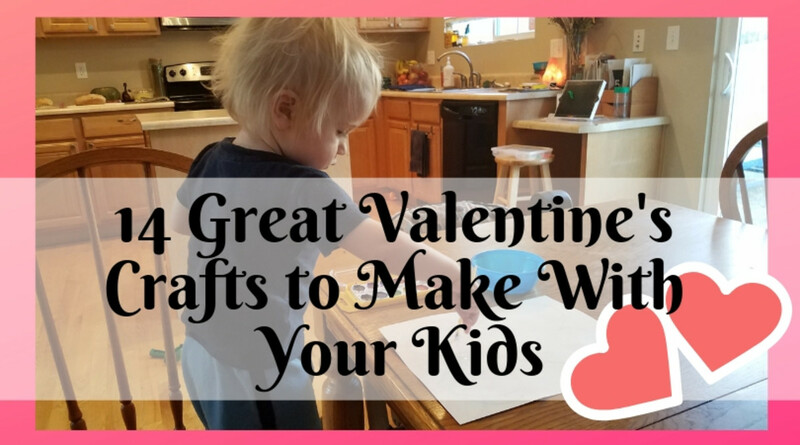 These 14 great Valentine's Day crafts to make with your kids will allow them to express themselves, learn some new skills, and receive the satisfaction of giving good gifts to others that come from the heart. 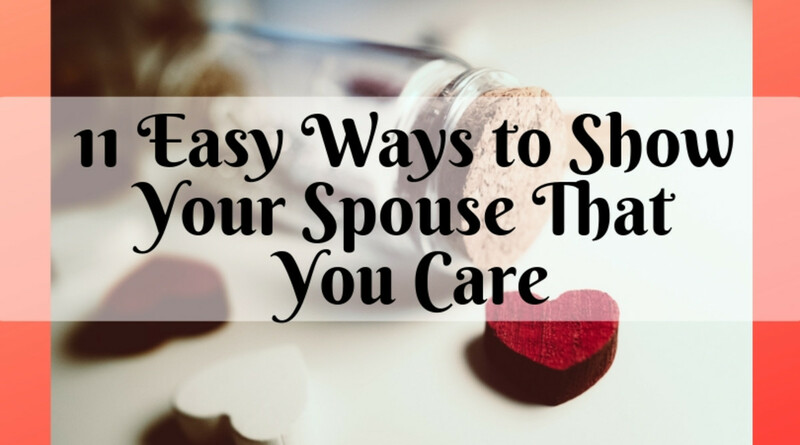 Check out these 11 easy ways to show your spouse you care today and every day of your relationship. Not only will you be building a relationship to last a lifetime, but you will be positive role models to the next generation you're raising as well. Valentine's Day is a special time to show affection to the ones you love. 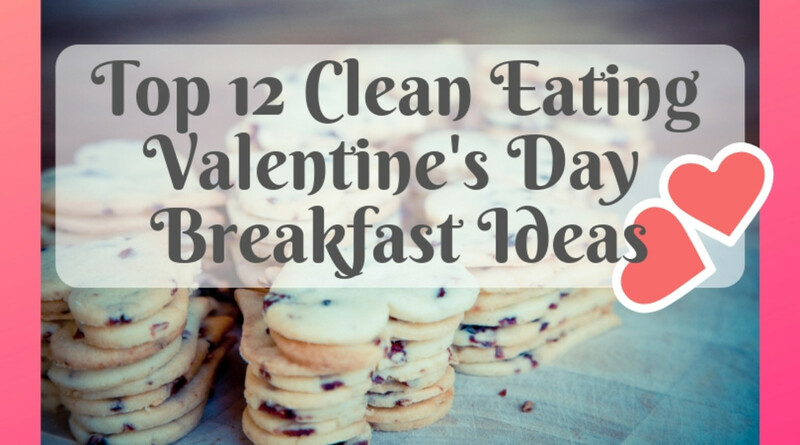 What better way is there to do that than to start the day with one of these top 12 clean eating Valentine's Day breakfast ideas? And you don't have to do anything fancy. Just use what you already have and be creative. 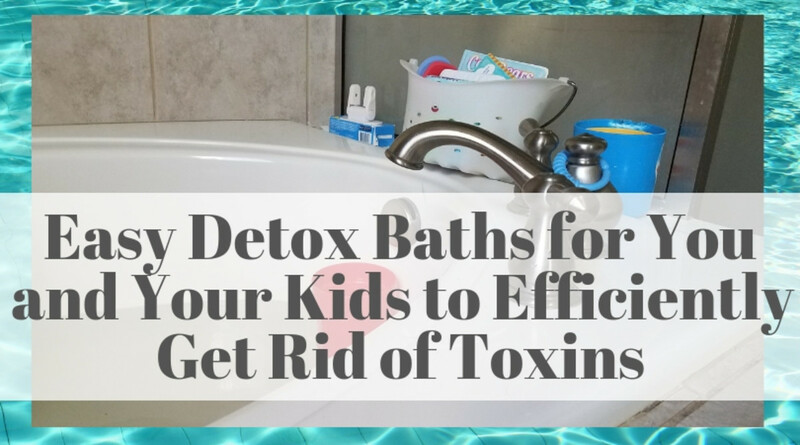 Here are some great ideas for easy detox baths for you and your kids to efficiently get rid of toxins. These are helpful, whether you suffer from headaches and muscle aches, or you are trying to get rid of more serious toxins like a bacterial infection or even food allergies. 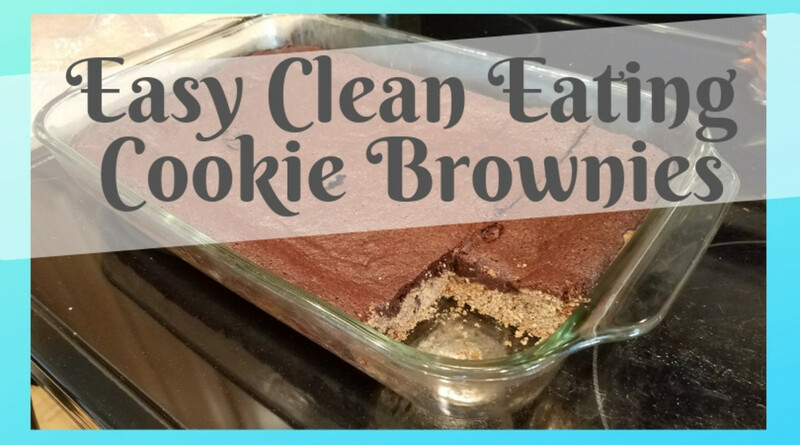 These easy, clean eating cookie brownies are sure to surprise and delight even the pickiest eaters. Who can resist chocolate chip cookies and brownies in the same dish? 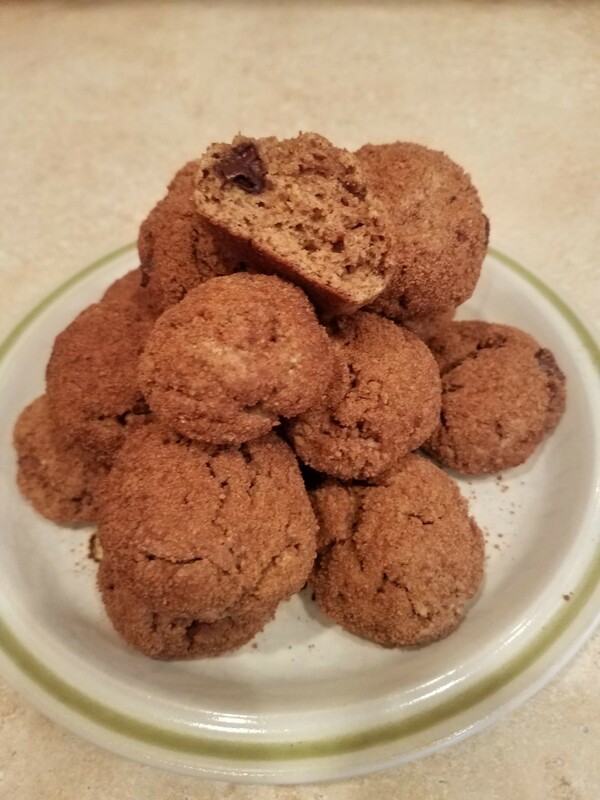 Give this a try, and they are sure to become a regular treat in your home, as well. 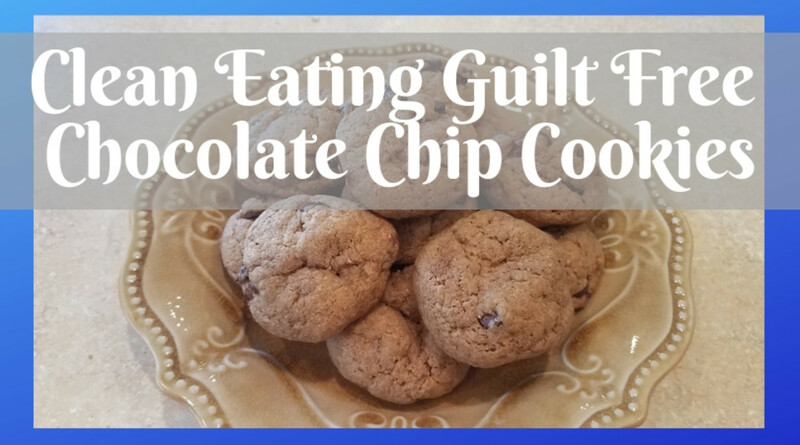 These deliciously clean eating guilt-free chocolate chip cookies will fool you. 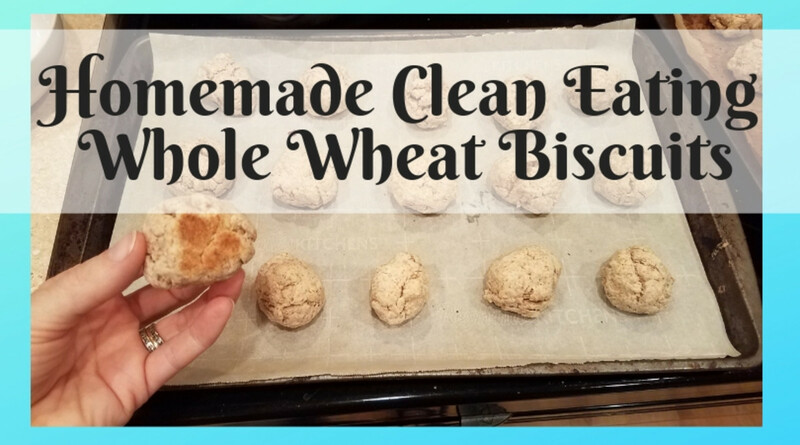 They look, feel, and taste like the cookies you probably grew up with, except these are filled with all-natural, wholesome ingredients that are good for you. Try them yourself and see! 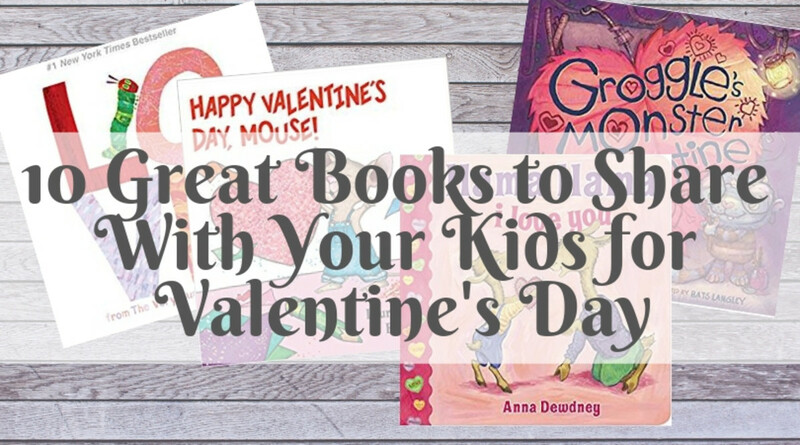 These 10 great books to share with your kids for Valentine's Day should be at the top of your holiday list this year. 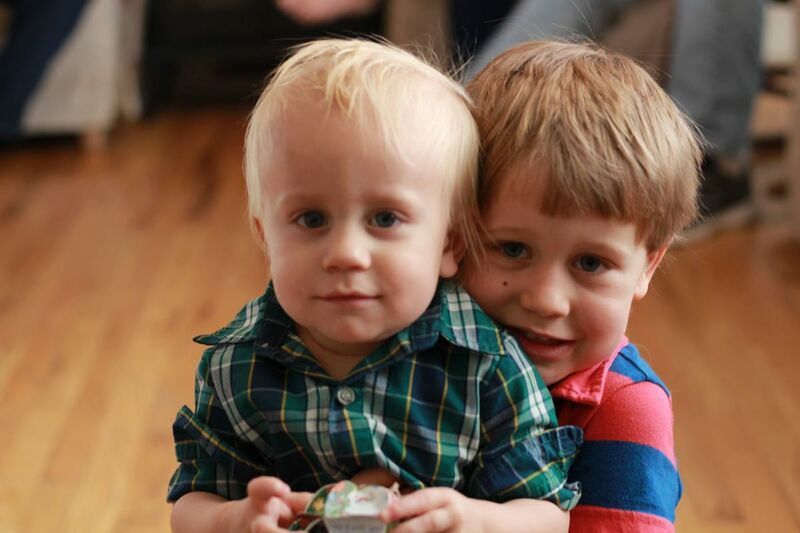 They teach concepts like sharing, showing love, cooperation, being a good friend, and more. You and your kids are sure to enjoy them. 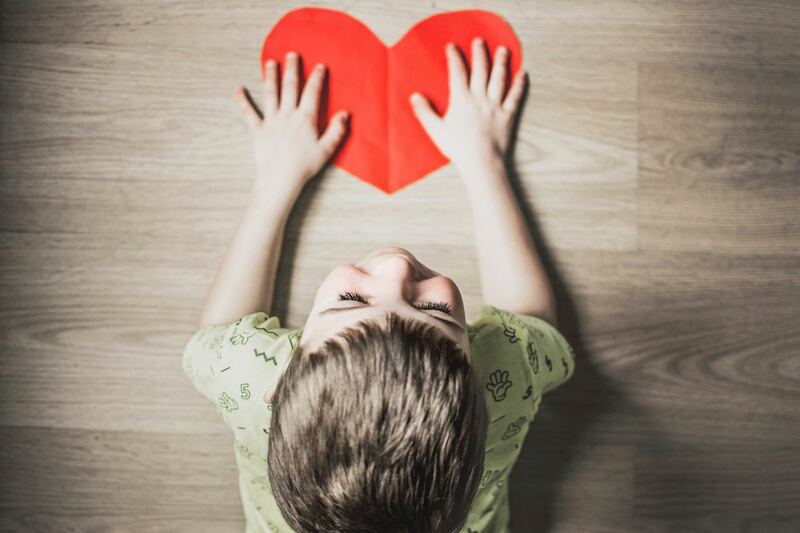 Valentine's Day is a fun excuse to make crafts, create yummy treats, and do some fun activities with your kids to show each other how much you care. 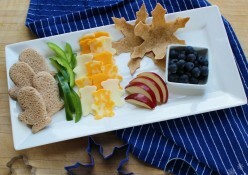 Celebrate the holiday and show your kids that you care by spending time together as a family and making deliciously healthy, fun snacks. You're really going to enjoy these 12 yummy soup recipes to warm your soul. They are tried and true here in my own home (quite frequently actually) every winter, and are requested over and over again by my loving family. 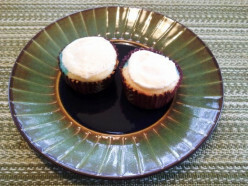 They are filled with all-natural wholesome ingredients and are sure to delight. 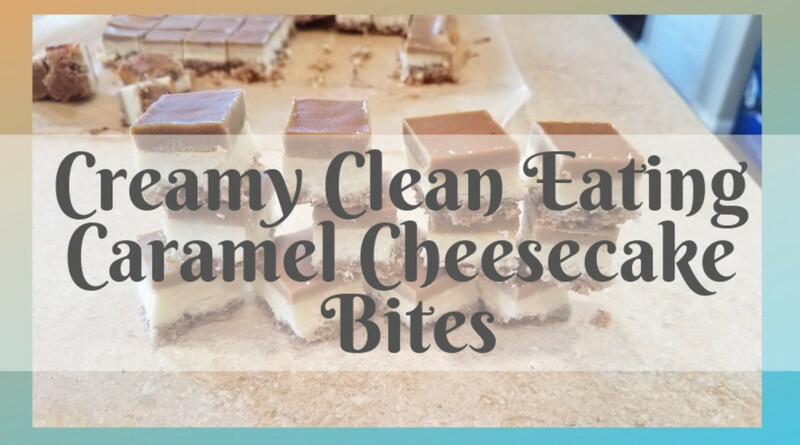 You're really going to enjoy these creamy clean eating caramel cheesecake bites, especially when you know that you can eat them without the guilt of breaking your diet or consuming too much sugar. 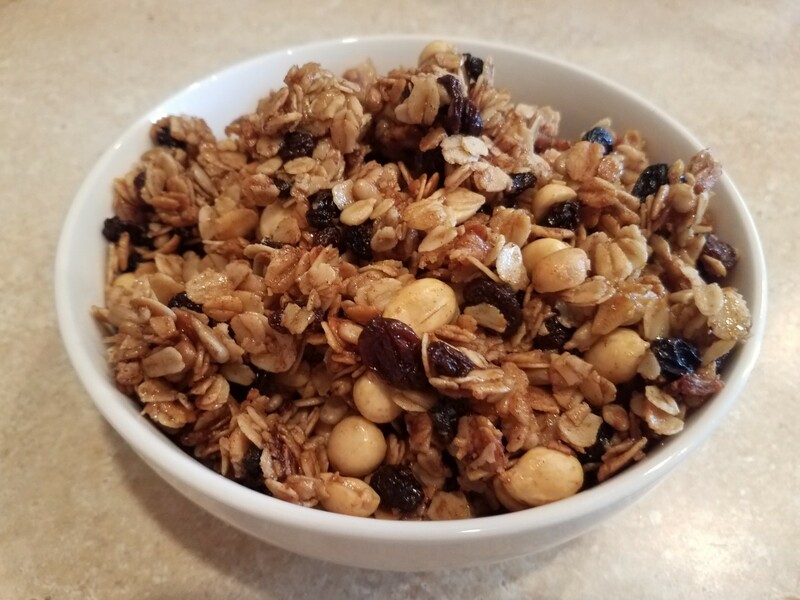 Made with all-natural, wholesome ingredients, you can feel good about serving these to your family. This easy, clean eating Thai chicken is simple enough for the busiest weeknight meal and will satisfy even the pickiest eater in your home with traditional ingredients like chicken and rice. 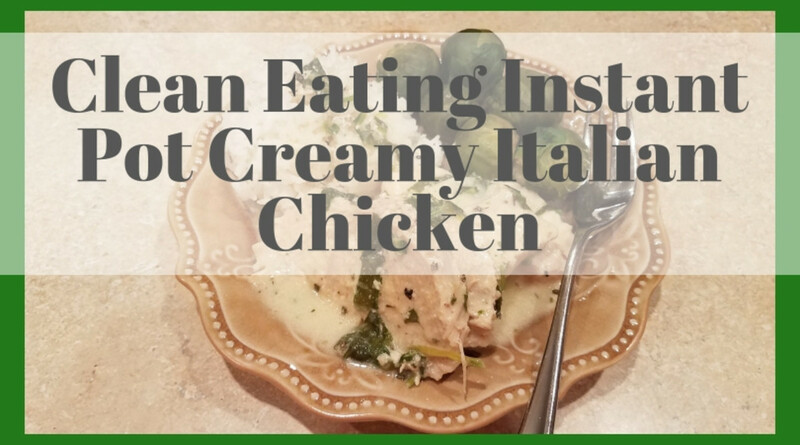 This clean eating Instant Pot creamy Italian chicken recipe is smooth and creamy, with just a hint of spinach and Italian seasoning mixed into it. When this tender chicken is served with rice and a steamed veggie, you've got just the perfect combination for a scrumptious dinner. 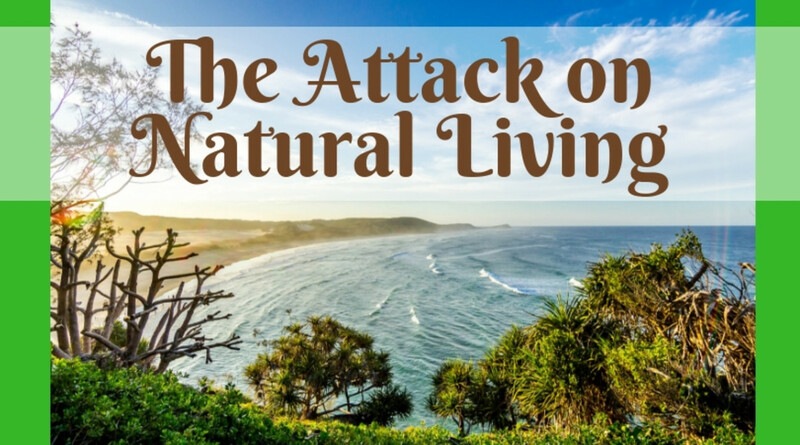 The attack on natural living is real. Everywhere you turn there is criticism and warning against breastfeeding, homeschooling, organic foods, homeopathic remedies, natural bathing and cleaning products, etc. But have you wondered why this is such a big deal? Maybe you should. You are going to be really surprised at the role of processed food in conception. It is the number one reason for the high rates of infertility and reproductive disorders across more than 30 million women in America. But what can you do to reduce this risk in yourself? 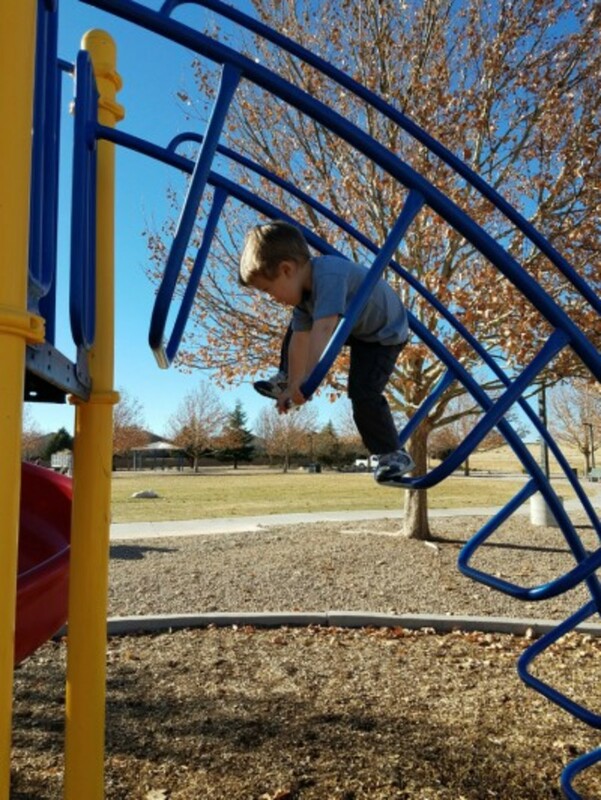 Understanding and treating RSV (Respiratory Syncytial Virus) in your children is the first step towards avoiding it altogether next time. Just about every adult and child will have RSV sometime in their lives and never know it. The symptoms are the same as the common cold. It's not scary at all. 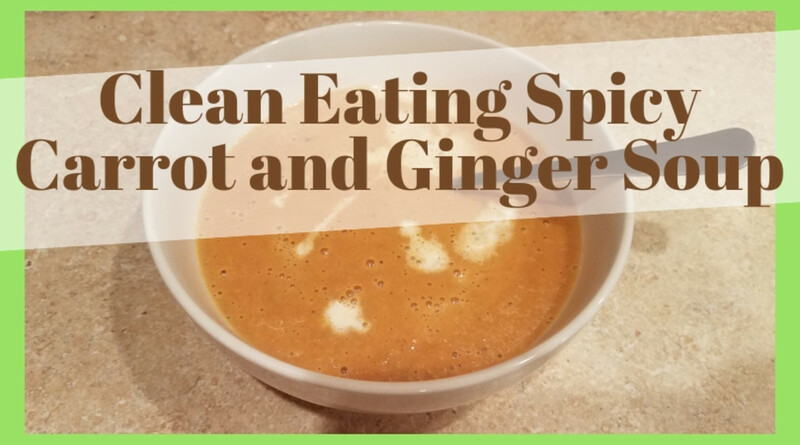 This clean eating spicy carrot and ginger soup is really going to surprise you with how easy it is to pull together and how much your family is going to enjoy it! What more can you ask for? 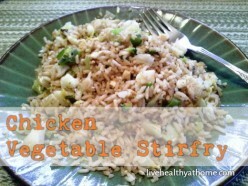 Here's a gourmet dish, full of yummy vegetables that you can pull together quickly at home. 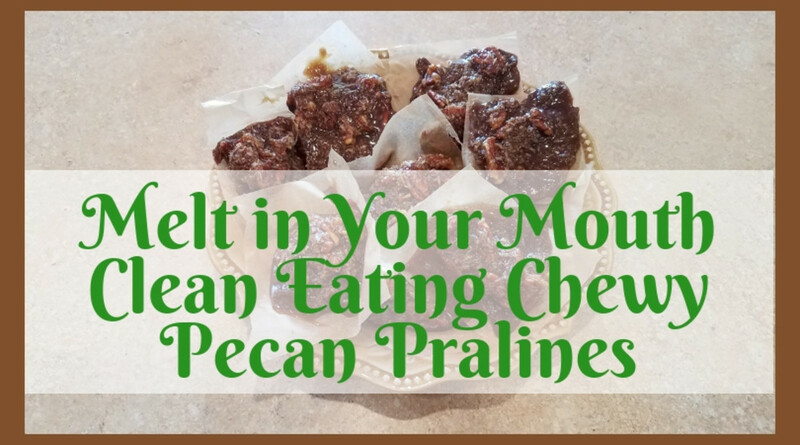 You're going to want to give these melt in your mouth, chewy pecan pralines a shot! You'll get all of the amazing gooey sweetness without any of the refined sugar or processed ingredients. Just good, old-fashioned, wholesome ingredients—so you can indulge without the guilt! 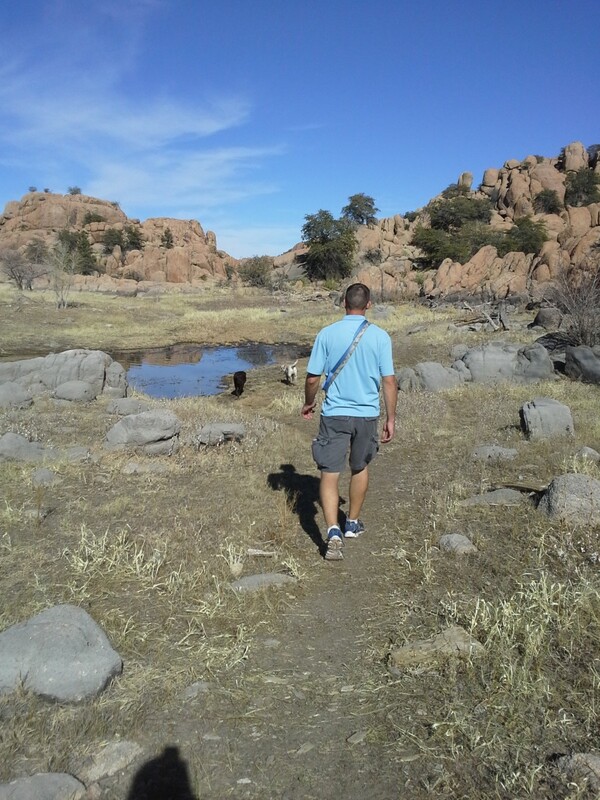 Many people make and break New Year's resolutions every year. 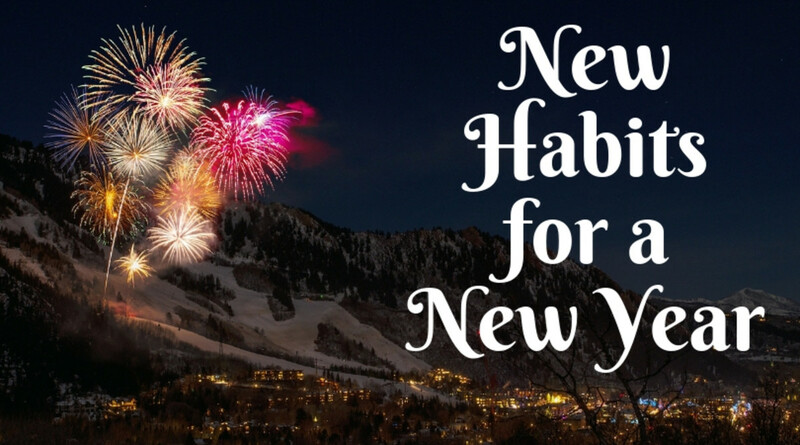 Instead of thinking about them as resolutions that can be tossed aside this year, consider making goals for very specific new habits for a new year. These you can conquer a little at a time, in your own way, and see success at every step. If you could go back and do some things differently in your life, maybe you would be happier, maybe your life would be easier, or maybe you wouldn't be here at all. 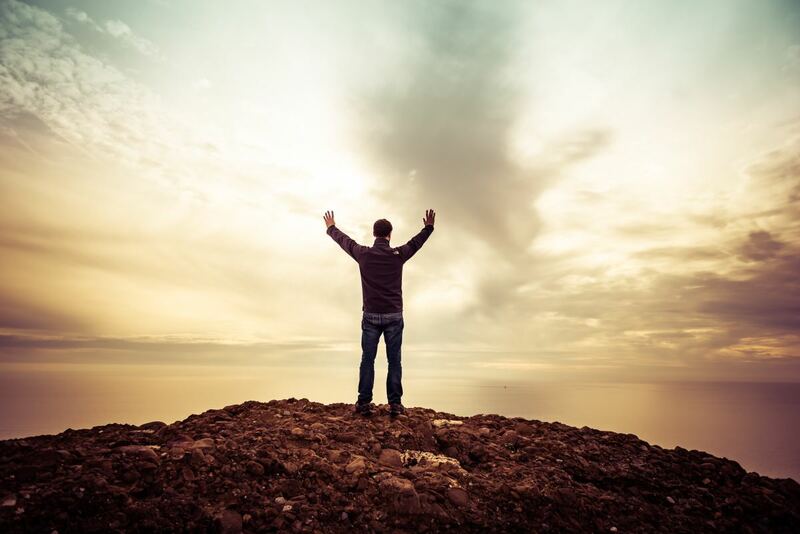 You experience situations in life for a reason, and everything you do along the way makes you who you are. Keep from looking back. 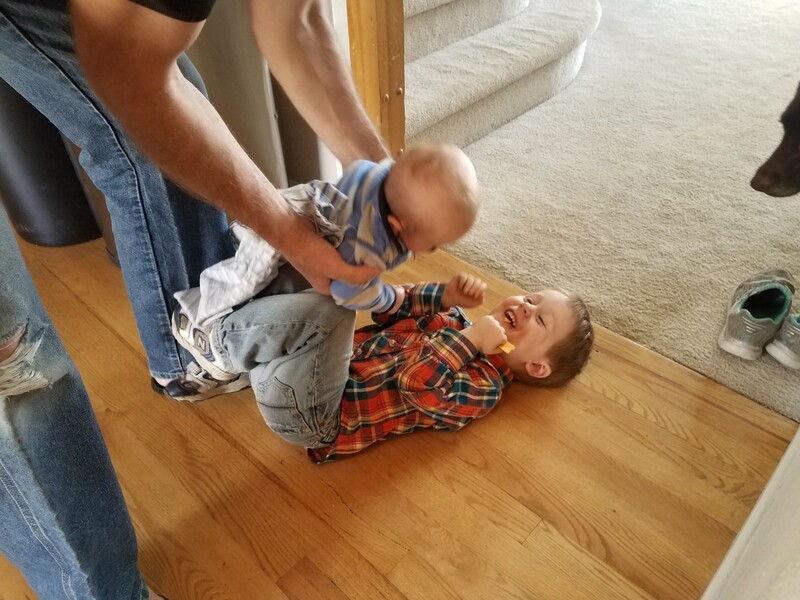 Parenting is hard work. 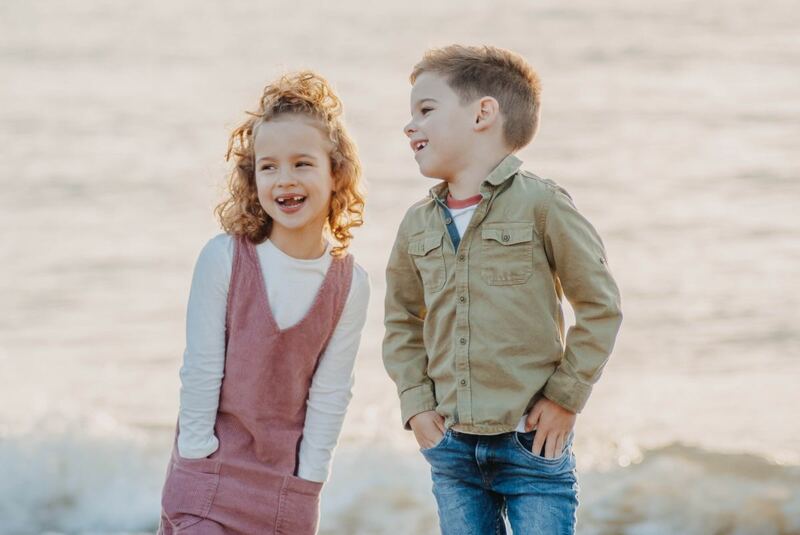 If most parents could ask for anything it would be a break, but you'd be surprised how including your kids can be the best gift you give yourself. Teaching your kids valuable skills and letting them help you may just be the ticket to getting that break you so desire. 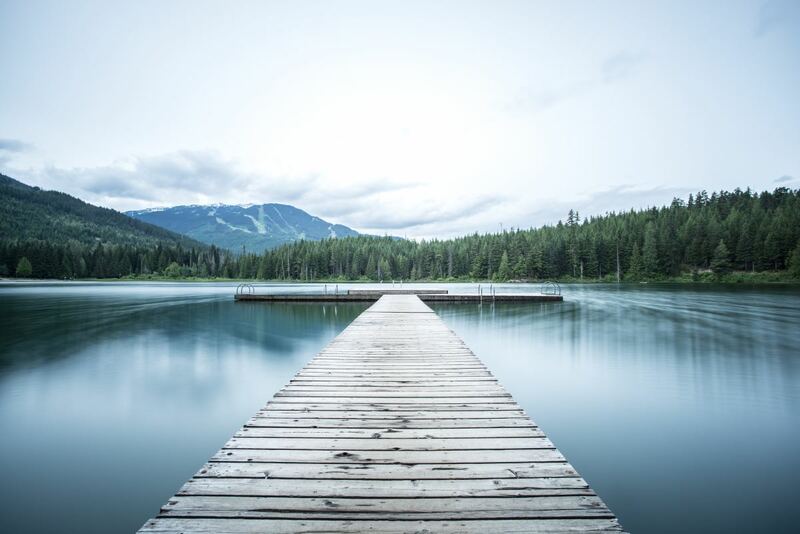 Letting life's challenges overwhelm you and cause you to give up or give in is dangerous for your mental, emotional, and physical well-being. 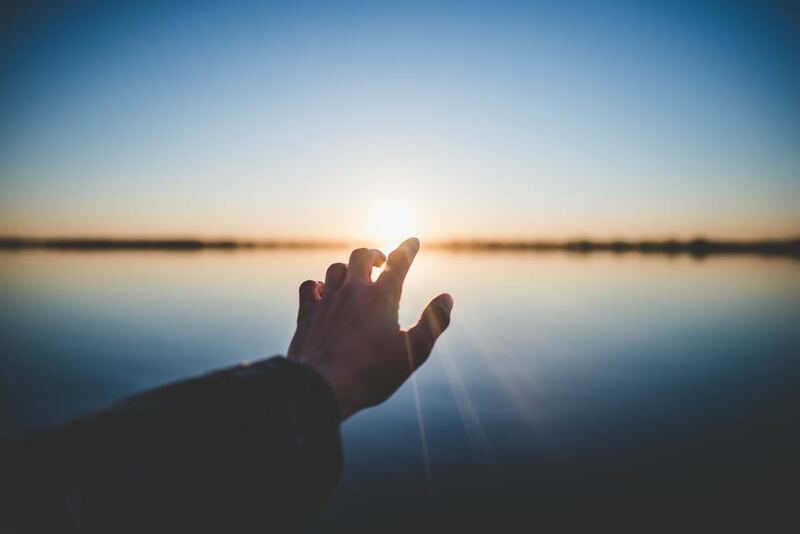 Let me show you how hope can save your life by giving you renewed motivation to dream of the future and set goals for yourself. 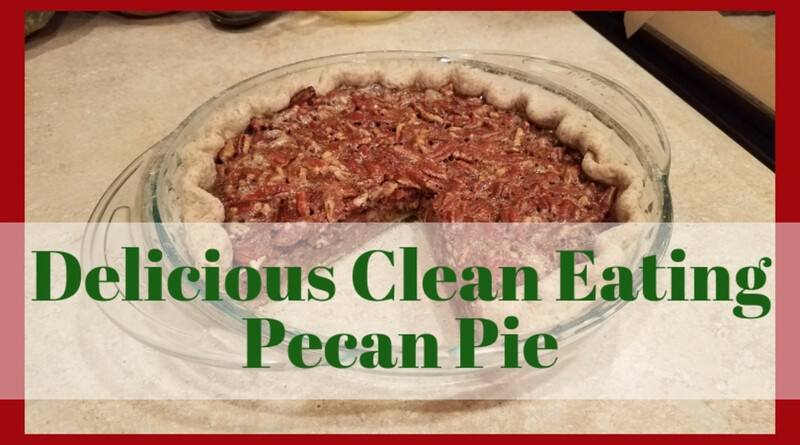 You're going to be amazed by just how good this clean eating pecan pie is! No corn syrup, no refined white flour, and no white sugar. 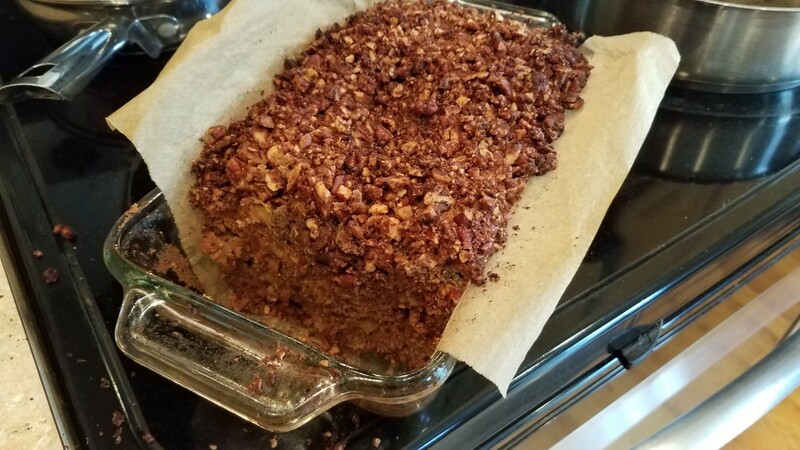 Nothing but honey, pecans, and spices. Yum! Who says you can't have your pie and eat it, too? And you can eat this one guilt-free, knowing it's full of goodness. 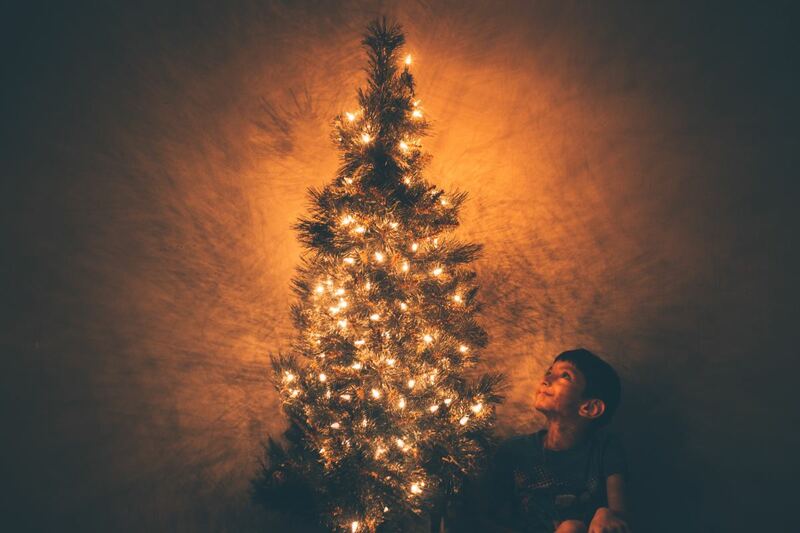 The No-Gift Christmas is an effort to teach my children value in all of the wonders and opportunities that life gives them in relationships, nature, the seasons, activity, helping others, and the sheer power of their imagination. 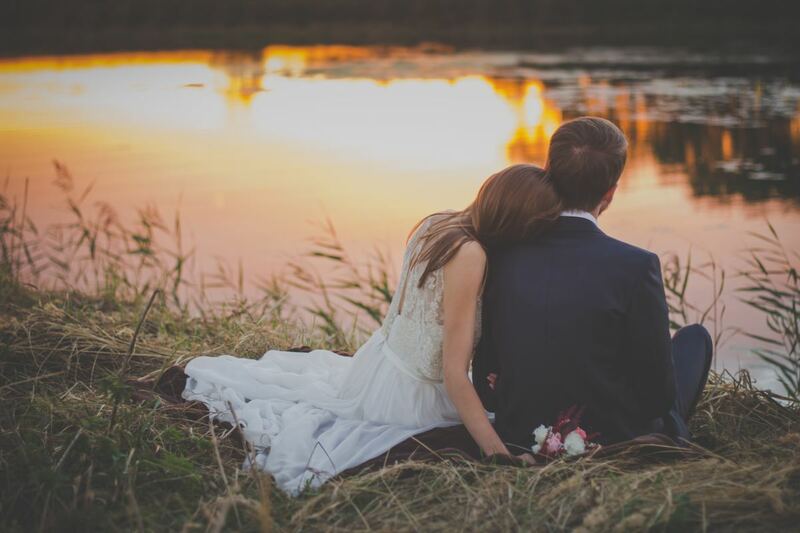 Whether you are single, married without kids, older without children in the home anymore, or just from a different perspective, understanding the younger generation of families is something that seems difficult to do. Younger families have different needs and priorities. Let me show you. 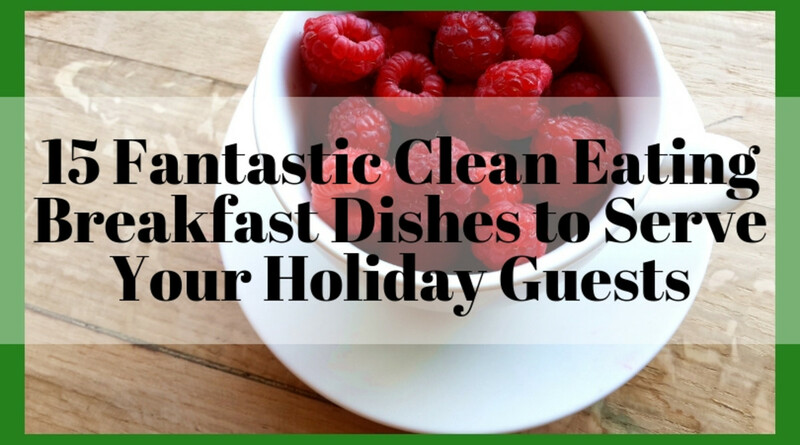 These 15 fantastic clean eating breakfast dishes to serve your holiday guests are sure to impress and delight. There's no need to fret over what to serve everyone and still make a great impression. I've compiled tons of decadent, delicious, and easy-to-put-together dishes just for you! 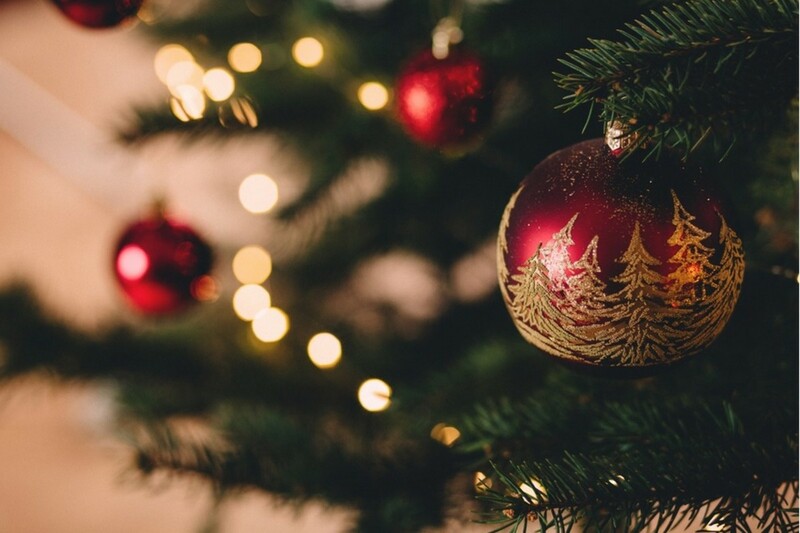 Christmastime is a time for family and considering the changes coming in the next year. 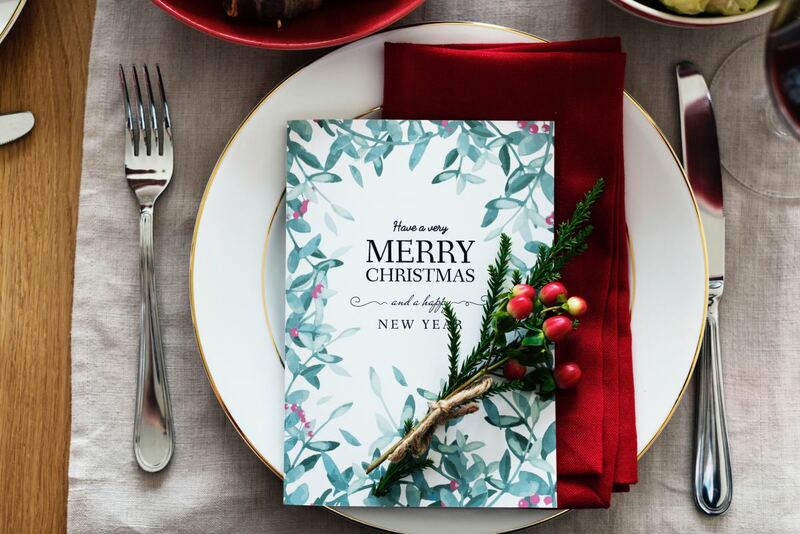 Why not make your holidays a little less stressful, a little healthier, and a little sweeter with these delicious clean eating traditional Christmas dishes. Maybe the big change you need is one for your health. You're going to love these 12 delicious clean eating Christmas cookie recipes. These are all of your favorite cookie recipes, without all of the processed and refined ingredients. With these recipes, there's no guilt, breaking your diet, or need to worry about sharing them with your family! These clean eating Christmas treats to make with your kids will surely be just as fun for you as they are for your children. And they will give them a fantastic opportunity to learn some valuable skills in the kitchen like following a recipe, mixing, rolling, cutting, smearing, and even topping. A nice hot soup is just the perfect meal for these cold winter days to warm you up from your head all the way to your toes. 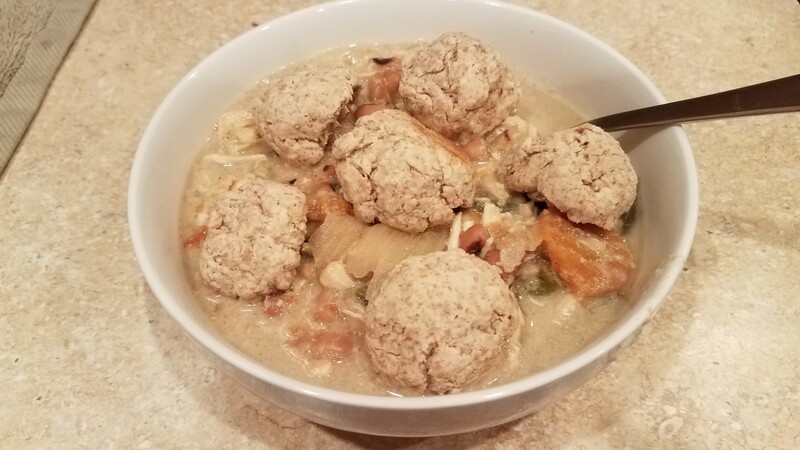 And this creamy clean eating chicken and wild rice soup is going to surprise you with how delicious it is! We've already made it a handful of times this season. Vanilla extract is a popular ingredient in many recipes. 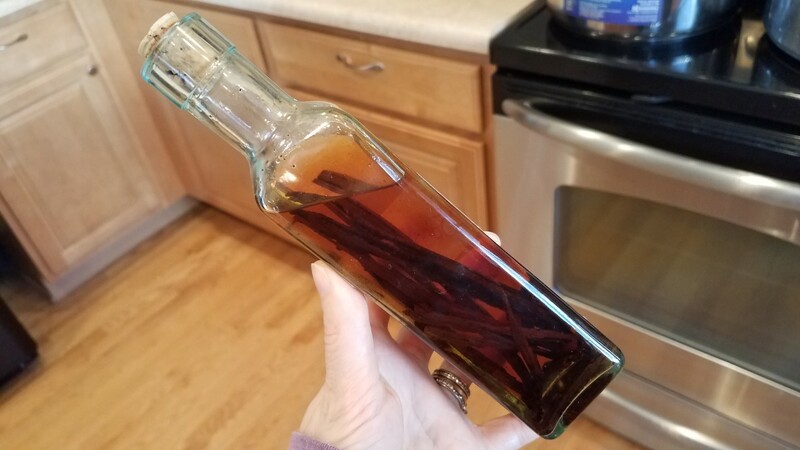 Learn how to make it yourself with this recipe for easy homemade vanilla extract in two simple steps. 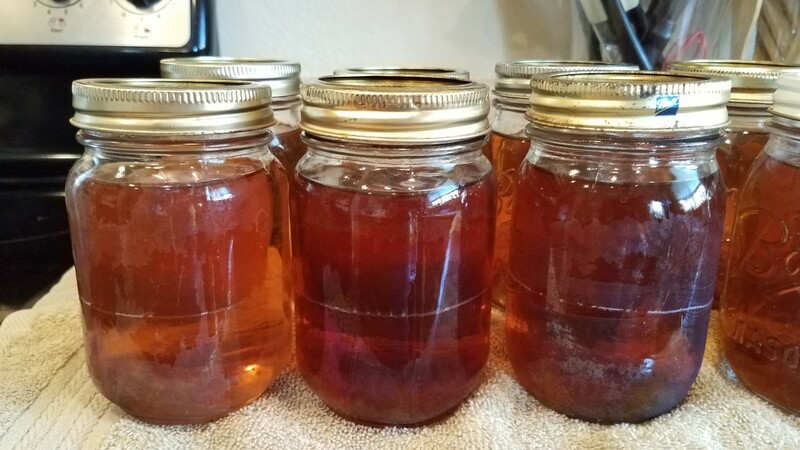 It takes a while to be ready to use, but in just a few short months you'll have your own extract for all of your baking needs. With these 12 amazing clean eating hot chocolate recipes for the winter, you're bound to find at least one that you fall in love with. Hot chocolate is just the perfect solution for a stressed out afternoon, a cold winter evening, or a moment to yourself to just catch up on life. Give it a try! With this recipe, making and canning fresh homemade cranberry sauce will be a breeze for your holiday meals this year! And you don't have to worry about what to do with all of the leftover sauce, if you have any. You can simply store it away for a mid-year craving or even for next year. 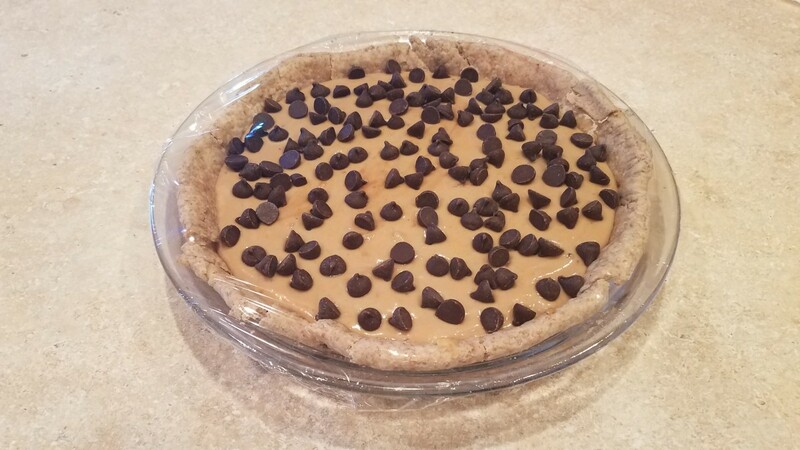 For a delicious, healthy treat, try out my rich and creamy clean eating peanut butter pie. 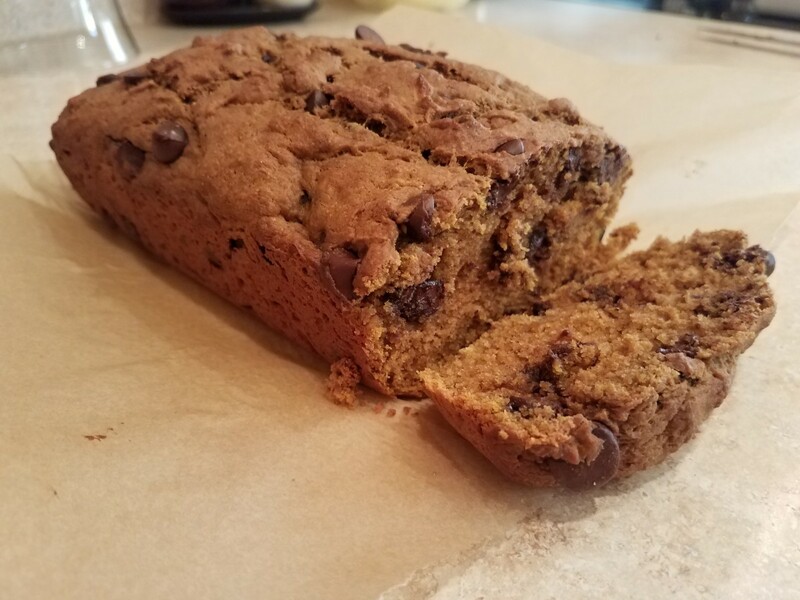 Yummy, gooey peanut butter, a crispy, flaky crust, and crunchy dark chocolate chips to top it all off. Yum! I think I'm going to go have a piece right now! For a decadent but healthy treat, try this creamy, clean eating chocolate banana freezer pie! 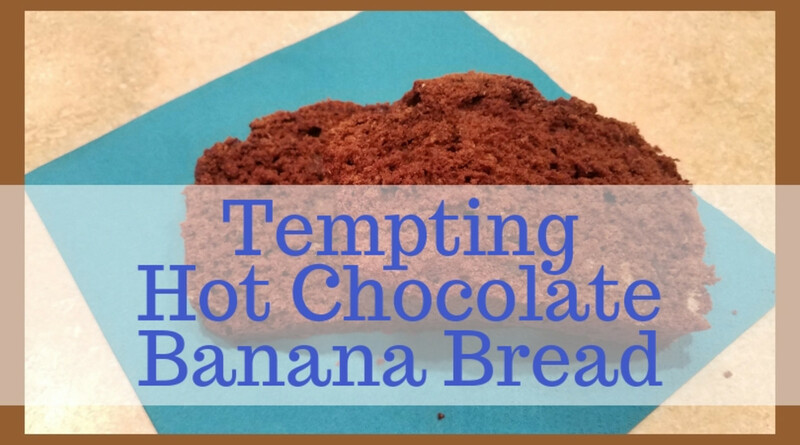 With the amazing flavors of banana and dark chocolate in a rich and creamy filling, all wrapped up in a crispy, flaky crust, you'll forget what it was like to make one with processed ingredients. Yum! One of the best things about Christmastime is all of the great books you get to read about the snow, snowmen, Santa, and hibernation, etc. 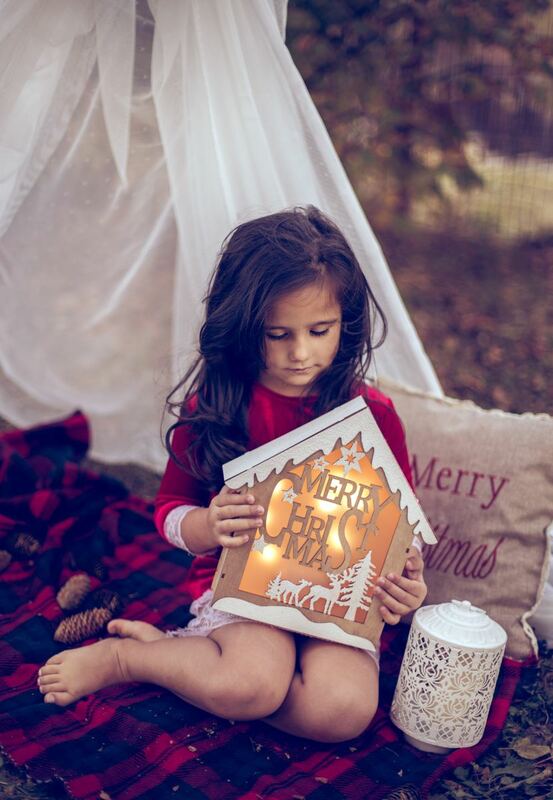 You'll want to check out these 10 great books to read with your kids in December for some beautiful picks, great authors, and creatively funny stories. 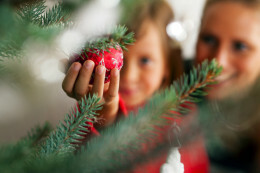 Creating a giving tree in your home this holiday season may be just the ticket for getting rid of the expectations for presents, the hassle of trying to keep up with Santa and the Elf on the Shelf, and for creating loving, generous kids that want to give and bless rather than receive each year. With this clean eating classic apple pie, you'll be the hit of your next party or holiday meal. 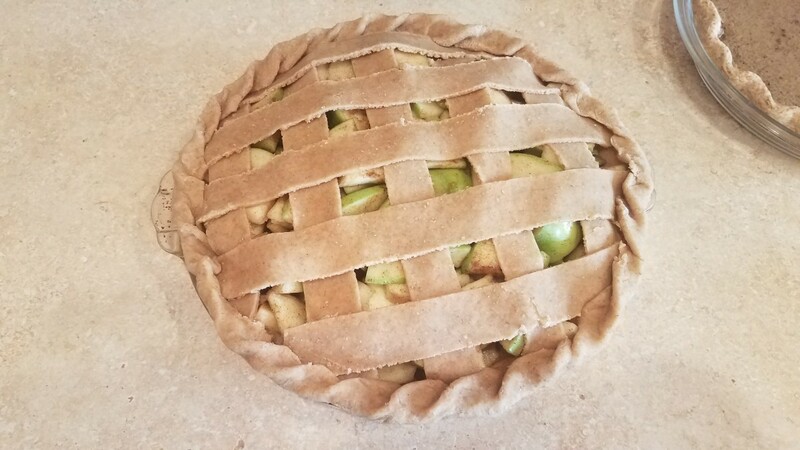 Fresh apples, sweet raw honey, a hint of cinnamon and other spices, and a homemade pie crust. Yum! 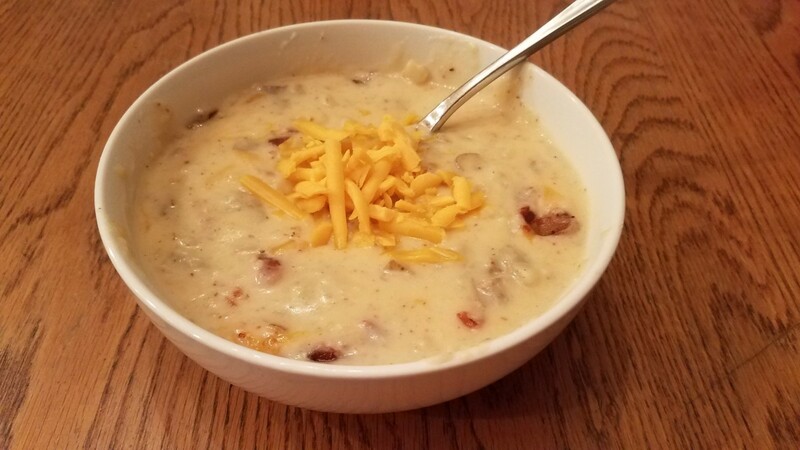 With this creamy, clean eating baked potato soup, not only will you want seconds, but you should expect to have to make some more. You're going to love it that much! It's just the perfect meal for the cold, snowy days of winter upon us. You can thank me later! 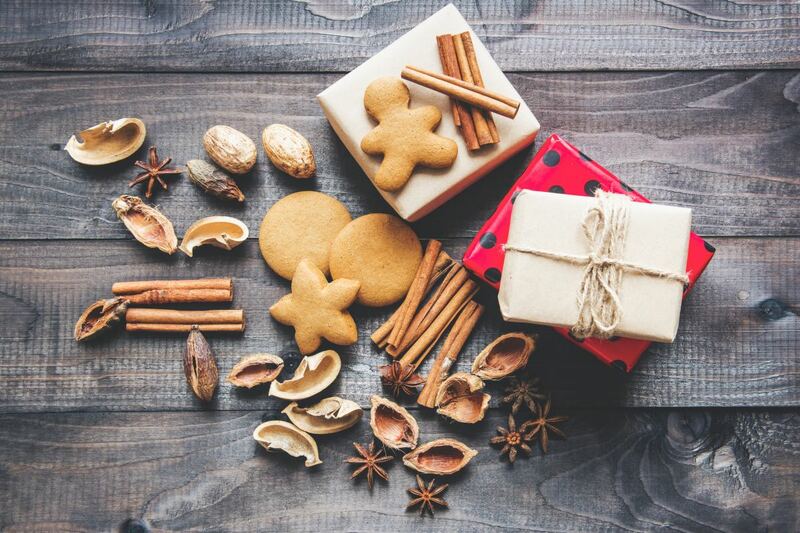 Christmas is a time for decorating, enjoying delicious winter treats, and filling your home with fun crafts. 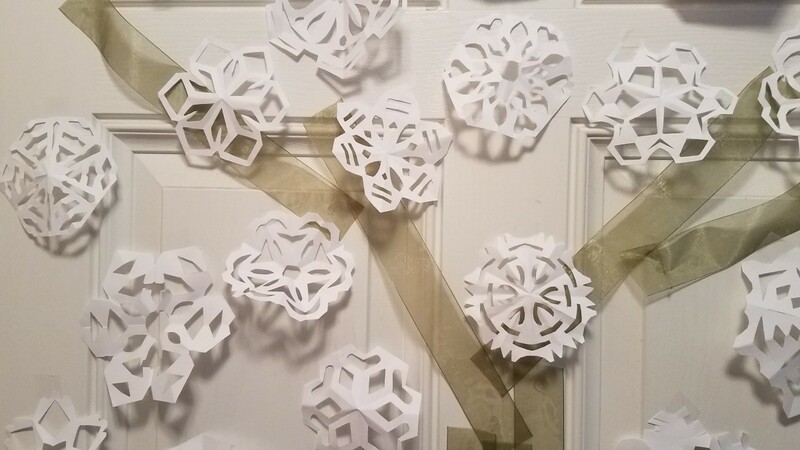 With these 16 easy Christmas ornaments to make with your kids, you and your family can all get into the Christmas spirit together as you decorate your home with love. Getting along with your family during the holidays may sound harder than it really is. 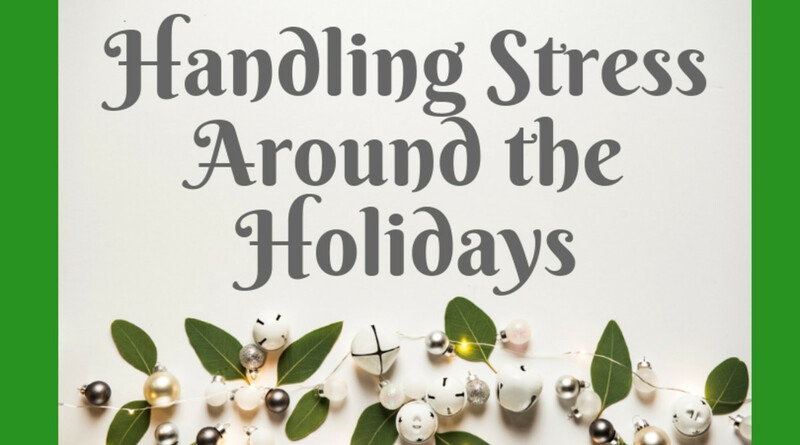 By using a little self-control and offering some peace, patience, understanding, and positivity, you could really turn this stressful time into one full of happy memories and positive relationships all year long. These 14 delicious ways to use your extra pumpkins will surprise you and delight you. I hope you get the chance to try out each one of them and bone up on your pumpkin roasting skills this season. No more wasted pumpkins for you! 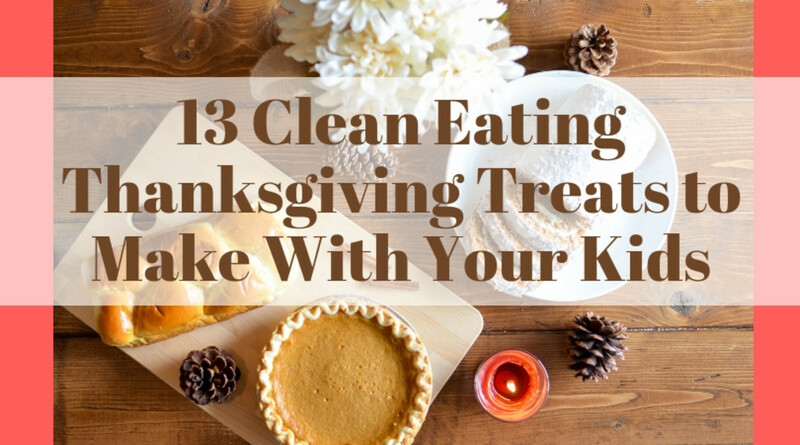 This collection of 13 clean eating Thanksgiving treats to make with your kids is packed full of yummy, healthy treats that you and your kids will enjoy creating together. This is such a fun time of year—get your kids involved in helping now, and you'll have an excited, involved kid for life. 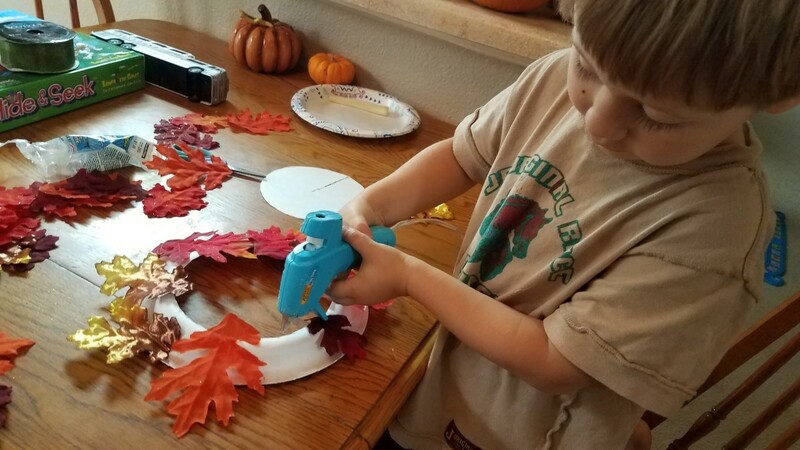 These 12 great Thanksgiving craft ideas for kids will tickle their funny bones and inspire their more creative sides as you enjoy the fall season together. What's great is that you don't even need to spend a great deal of money, because you can do these crafts with just a few simple supplies. 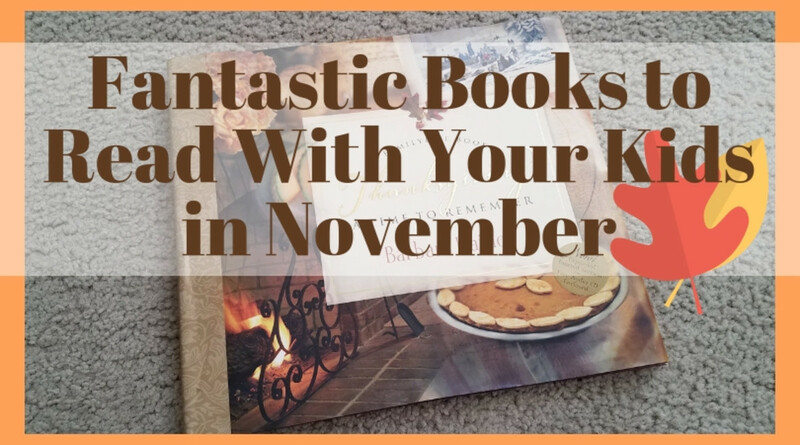 Here are some fantastic books to read with your kids in November to discuss hibernation, migration, the weather, the seasonal changes, and how humans and animals alike prepare for the winter. There are some really funny ones scattered in along with some great stories of the real Thanksgiving. Enjoy! Being a mom is hard work, even on the best of days. But there's no reason you have to be constantly stressed out or overwhelmed. Hopefully with a few of these tips for dealing with mom overload, you can find some release from the everyday strain. 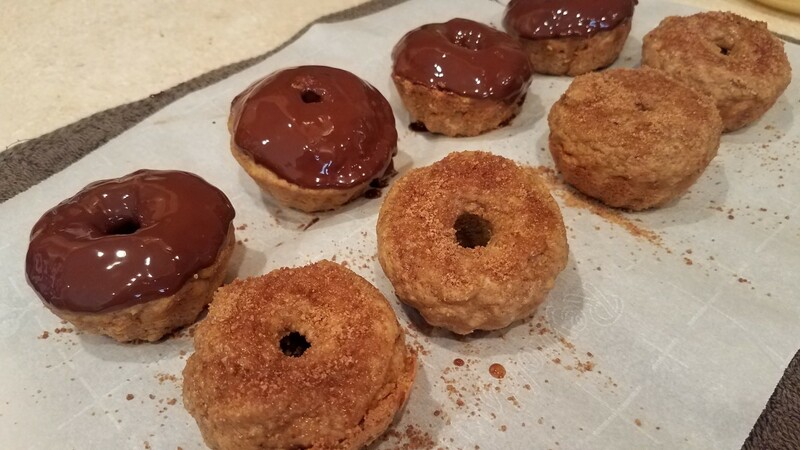 These homemade clean eating pumpkin donuts were so amazing that it's going to be hard to limit yourself to just one. But you don't have to, because each and every treat is made with wholesome, all-natural ingredients that will only add value to your current diet rather than taking away from it. 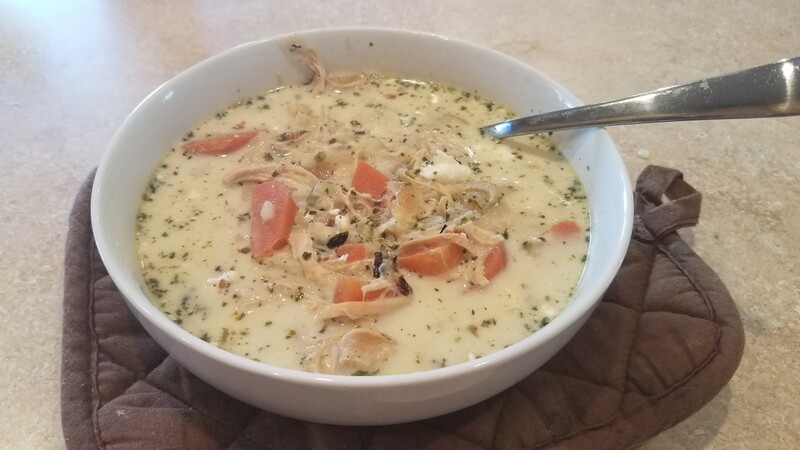 Not only is this Crock-Pot chicken pot pie soup easy to make, it's delicious, as well! 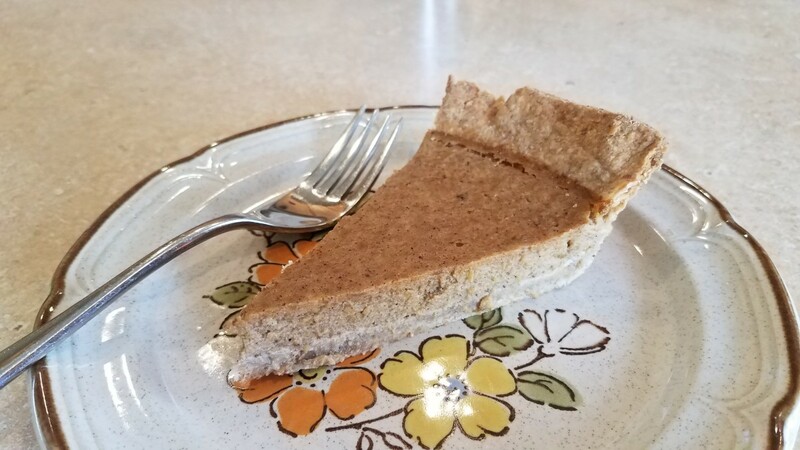 It's a whole lot easier than taking the time to make a pie crust, and it's a whole lot healthier, too, as this recipe is clean eating, full of wholesome ingredients, and sure to be a favorite in your household. 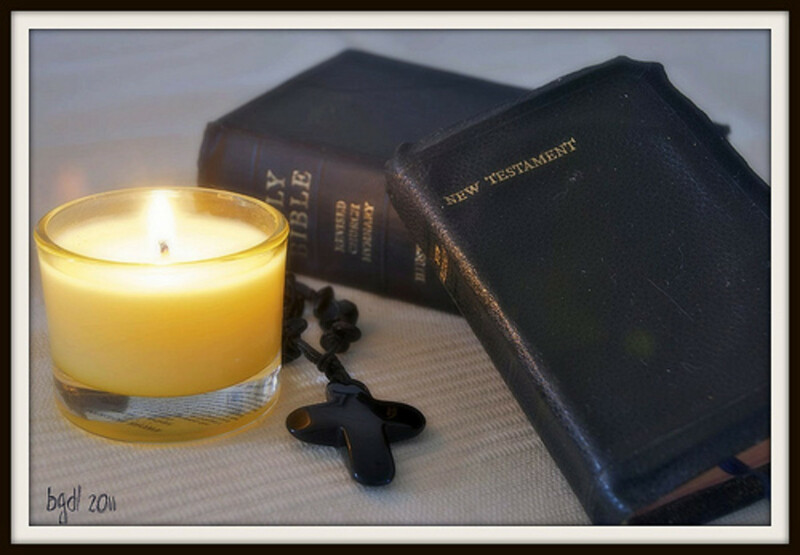 Having an attitude of thankfulness isn't just a one month or one day need. By choosing to be grateful for what we have and speaking those words to others, we can improve our mental and emotional state, have a more positive outlook on life, and even improve our health. 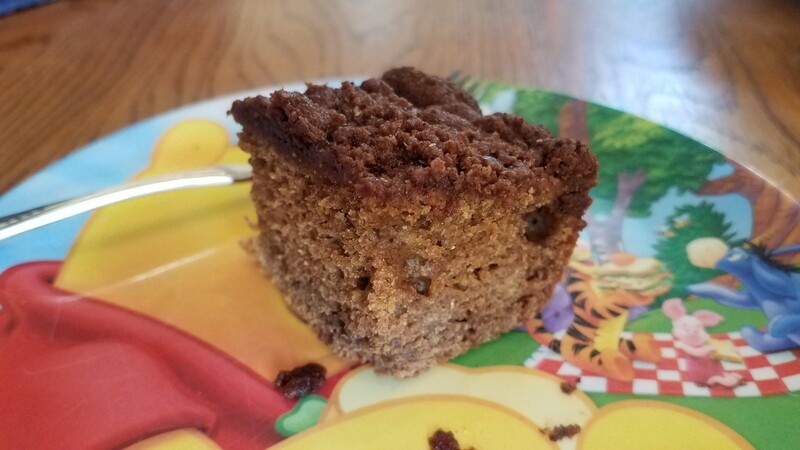 This rich and fluffy pumpkin coffee cake is just what you're going to need when making breakfast for your family this fall. Full of real pumpkin, pumpkin spice, and other yummy ingredients, you won't have to feel guilty for going to get a second helping. This surprisingly delicious Hawaiian chicken is going to knock your socks off. 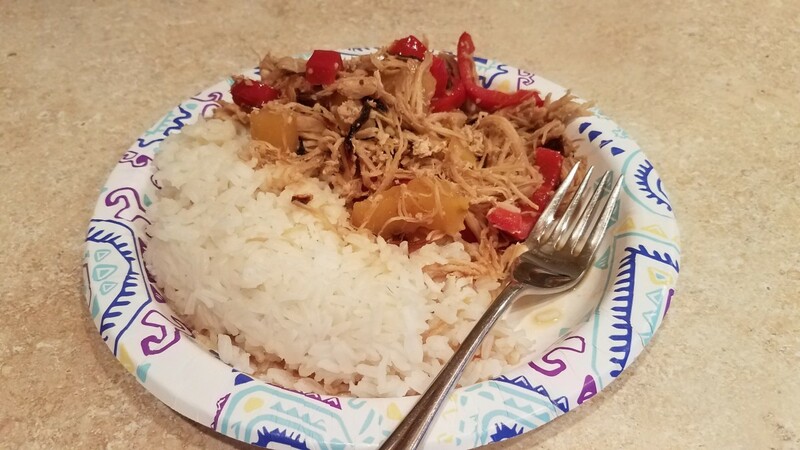 Onions, bell peppers, and pineapple make this dish a sweet delight to your taste buds! When your child gets a red rash on their skin, and they are uncomfortable or itchy, it's hard to know what to do to make them feel better. Unfortunately, many parents don't know exactly what to do and turn to harmful treatments in order to get rid of the eczema. Read here to find out more. 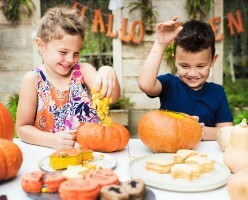 Halloween is usually all about the candy, but I'm sure you'd like some healthy Halloween snacks for your kids to munch on as well to balance some of that sugar. Well, here's a list of my favorites! Enjoy! 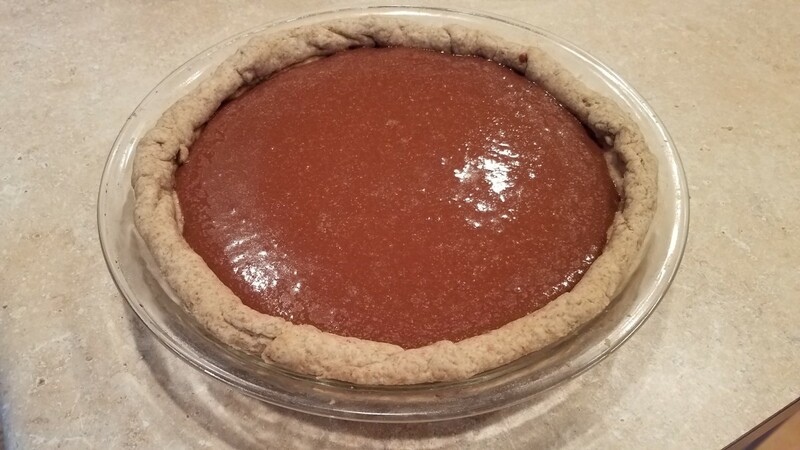 Pumpkin pie is basically a staple during the fall season. I'm sure you've seen it in every store and restaurant. 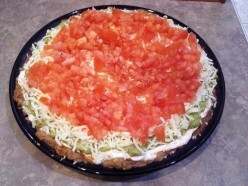 But I like to mix it up a bit by using different kinds of crusts every time I make it. 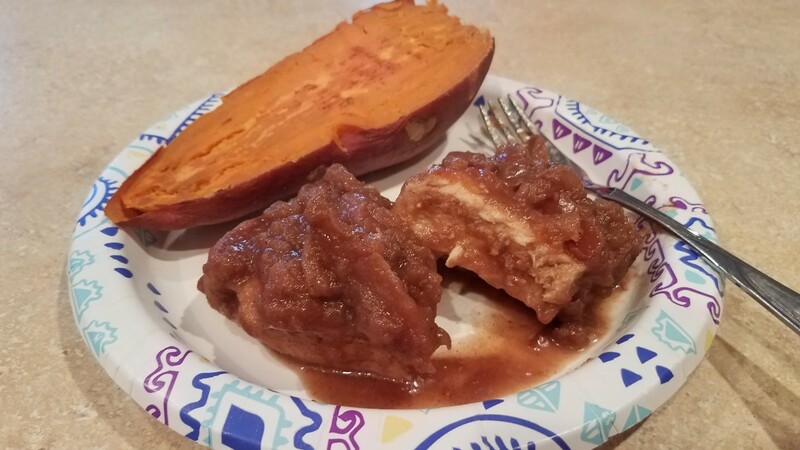 Check out this clean eating pumpkin pie two ways to try out some different crusts for yourself. These tender apple butter pork chops will have you asking for seconds and thirds. In fact, you may want to double or triple the recipe in case everyone wants more! We as a society are questioning fevers in children. Should we treat them, or should we leave them alone? Should we give them medication to bring it down, or should we got to the hospital? The question we should be asking is if fevers are dangerous at all, and if we should be doing anything. 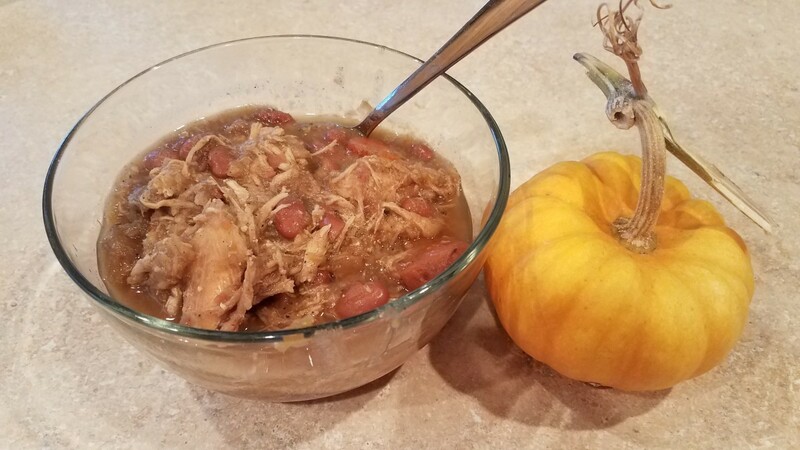 This crock-pot fall harvest chicken chili is packed full of nutritious fall veggies, like pumpkin, sweet potatoes, and carrots. You'll certainly want seconds after a delicious bowl of this chili. 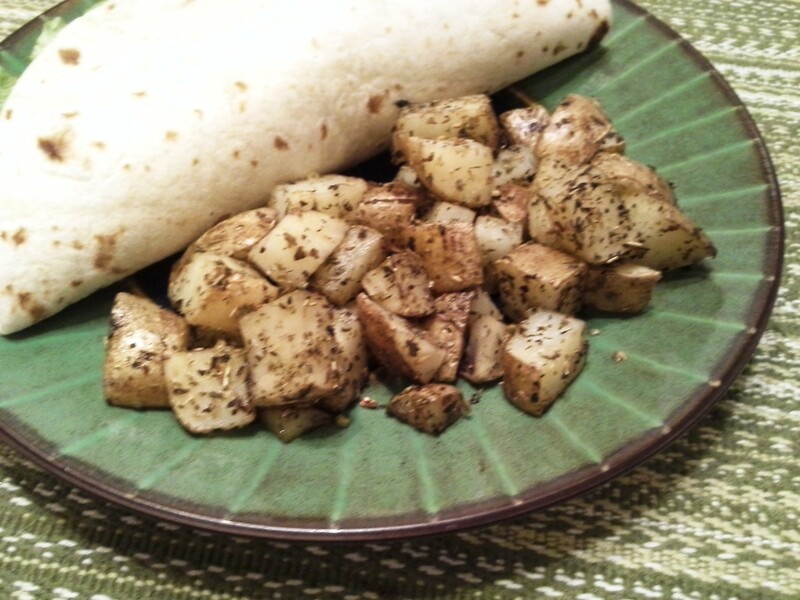 You're going to love this blend of potatoes, cauliflower, and garlic. You don't even taste the cauliflower, but you get all of the nutrition along with the creamy goodness of mashed potatoes. 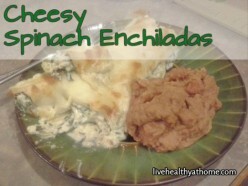 This is a great way to sneak some veggies into a favorite side dish. Yummy fall spices and amazing hot beverages are perfect for this time of year when the weather is cooling and the leaves are falling. 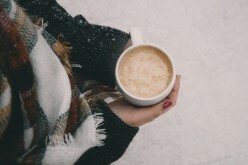 There are so many delicious hot drinks to enjoy during this season, and I hope these ideas give you some inspiration. 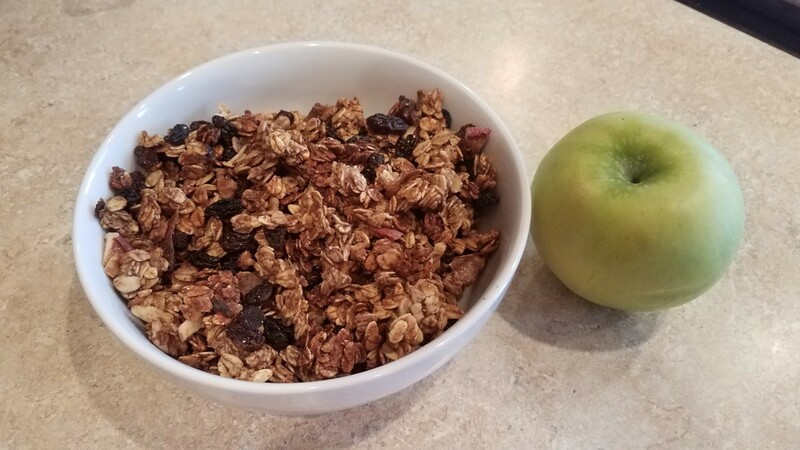 This homemade apple cinnamon granola recipe will fill your home with the scents of baked apple, cinnamon, and allspice to really make you feel as if fall has truly arrived. 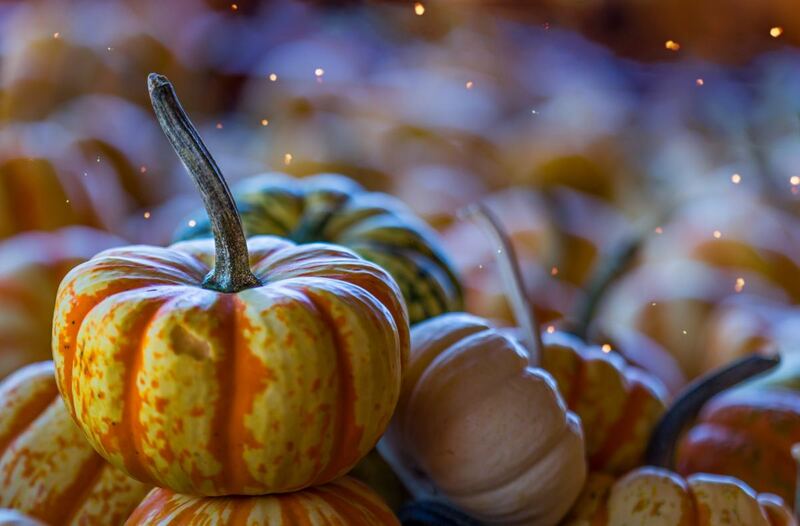 Let every bite fill you with images of autumn leaves, pumpkin patches, corn mazes, and the holidays. 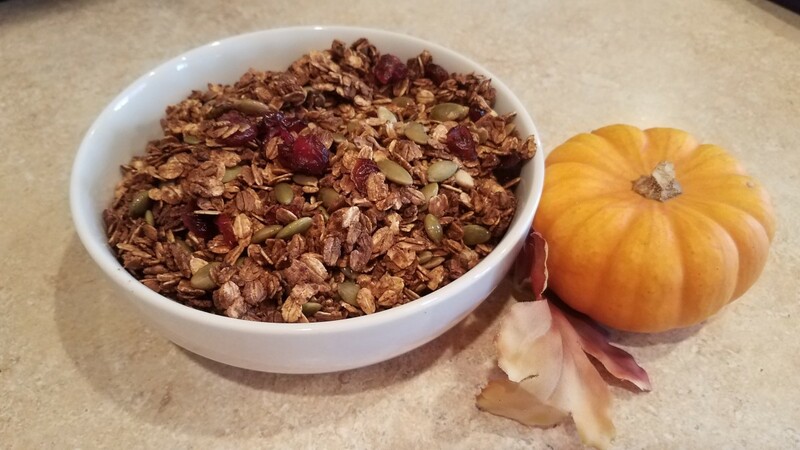 You're going to love the cinnamon, pumpkin spice, and other delicious autumn flavors in this homemade pumpkin spice granola. 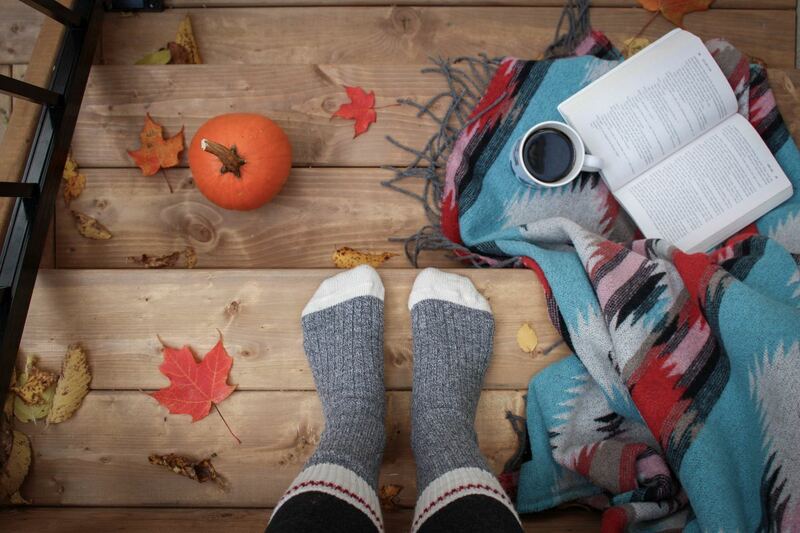 There's no other treat that tastes like the fall season like this one does. Try it for yourself! You'll truly enjoy this one-of-a-kind decadent clean-eating caramel apple frosting from scratch. No processed foods and no refined ingredients here. Just good, whole foods that you can feel good about eating. And this frosting has the traditional caramel apple flavor of a street fair in the fall. This apple cinnamon spice cake with caramel apple frosting is sure to delight even the pickiest eater. 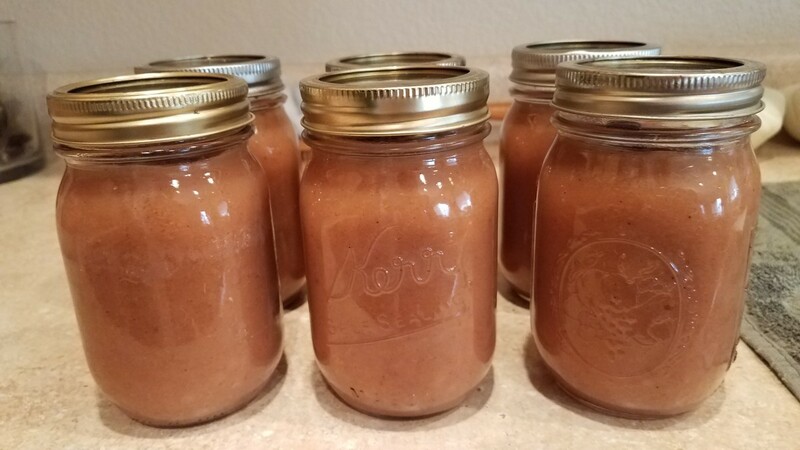 In this creation, I blended the Fall flavors of juicy apple, spicy cinnamon and sweet caramel to give you the perfect dessert for the cooler season. I'm sure you have your regular dishes that you look forward to every fall season and throughout the holidays, but have you considered what others from around the world might be making in their kitchens this time of year? Maybe you'll find some inspiration for a new dish to add to your repertoire. 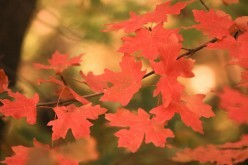 Fall is such an exciting time of year, when the weather cools off and the leaves start to fall. 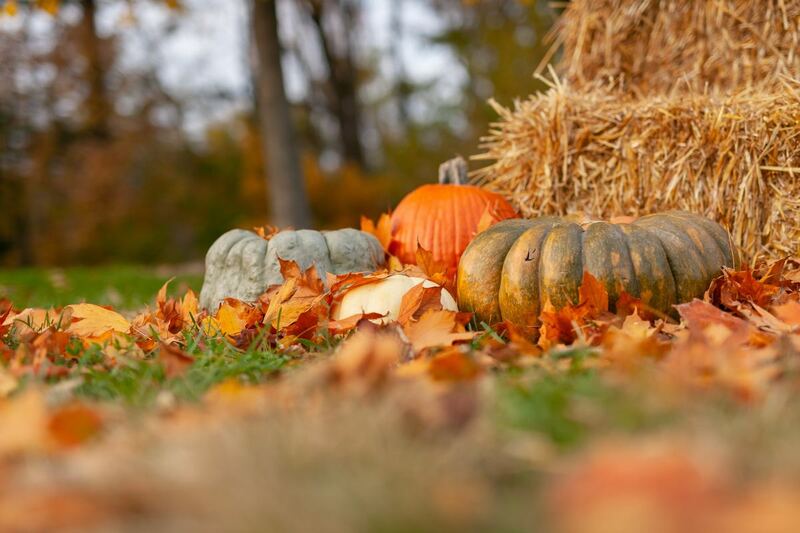 It's fun to explore how other countries celebrate the Fall season all over the world. Maybe you'll pick up another tradition or two while reading this article. 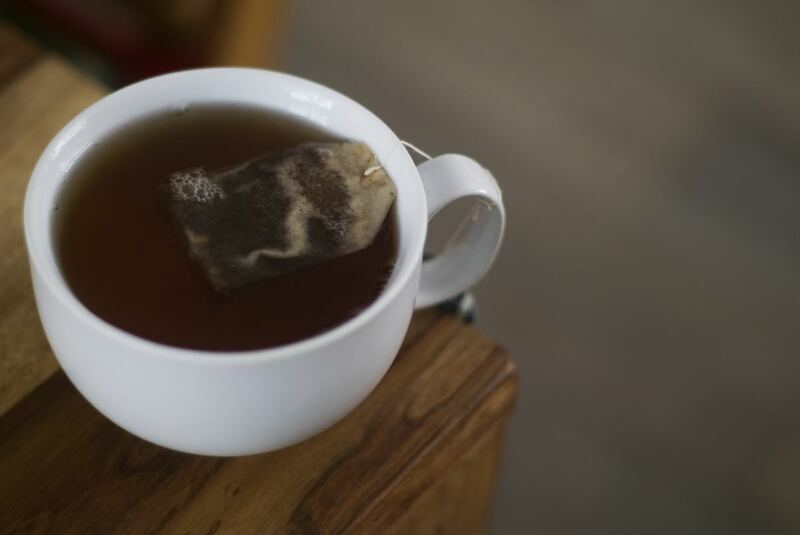 These 12 teas to healing will not only make you feel better body and soul, but you can cure the common cold, get rid of cramps, and even prevent or treat some cancers with the right herbs. Check them out below to begin being a better you today. Homemade Chia and Quinoa Chips are easy to make and super healthy for your family. 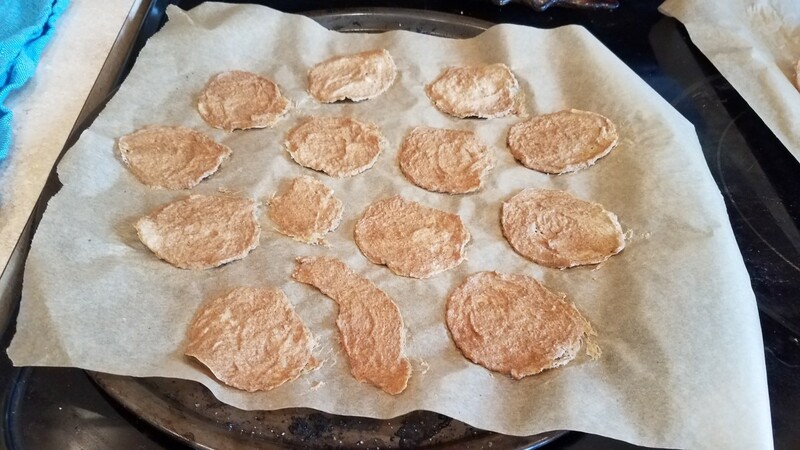 Just mix up the ingredients in the food processor, swirl on some cookie sheets and bake. Yum! It's hard to keep even a tub full of these chips around our house, as everyone loves them so much. 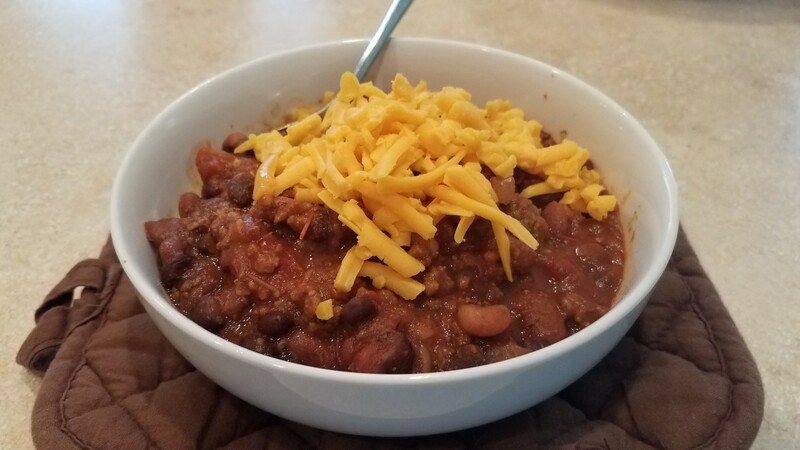 This clean eating hamburger chili is so delicious, and it's packed full of wonderful nutrition for your whole family, too. Serve it alongside some cornbread, corn casserole, or even some homemade chips for the best pairing. 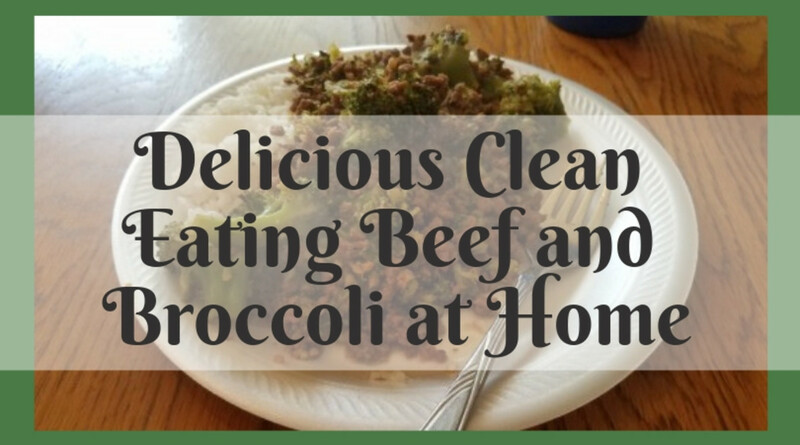 This clean eating beef and broccoli recipe is just as quick and easy to make as it is delicious and nutritious for your family. 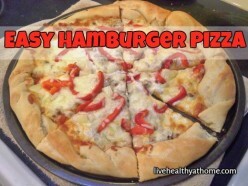 By using hamburger instead of steak, this tasty recipe becomes more accessible and less expensive. I hope you enjoy it! Homemade Creamy Black Bean Soup makes for the perfect meal on a nice cool, crisp fall day. Paired with corn casserole, it's even better. The dark black beans in this soup make it creamy and rich, while the veggies have a sharp, crisp flavor that makes this soup a little spicy. Boy, was it delicious! 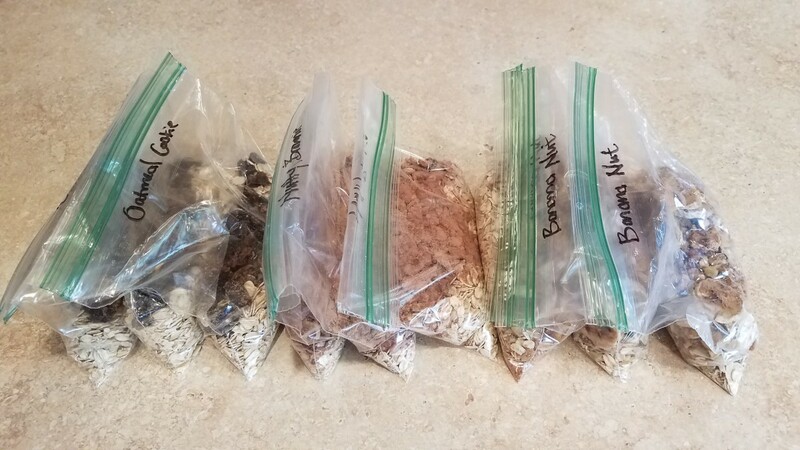 Making your own healthy instant oatmeal packets is much easier than you'd think. 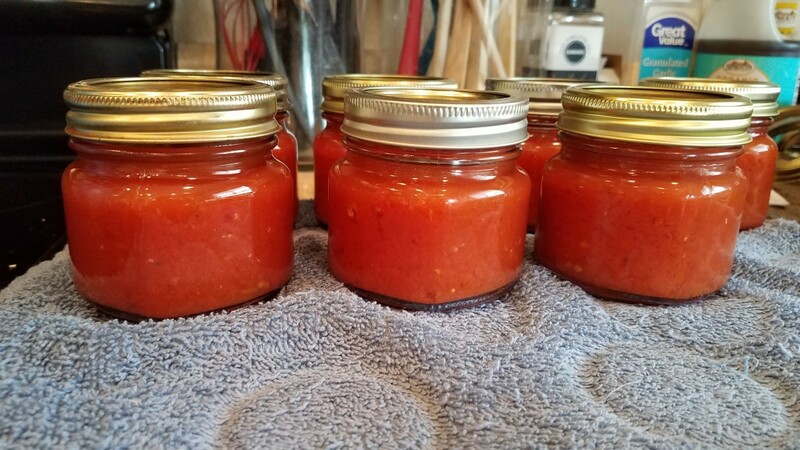 Not only can you save a ton of money by doing it yourself, you always have the specific flavor you'd like on hand, and they taste WAY better than the store-bought alternative. See for yourself! 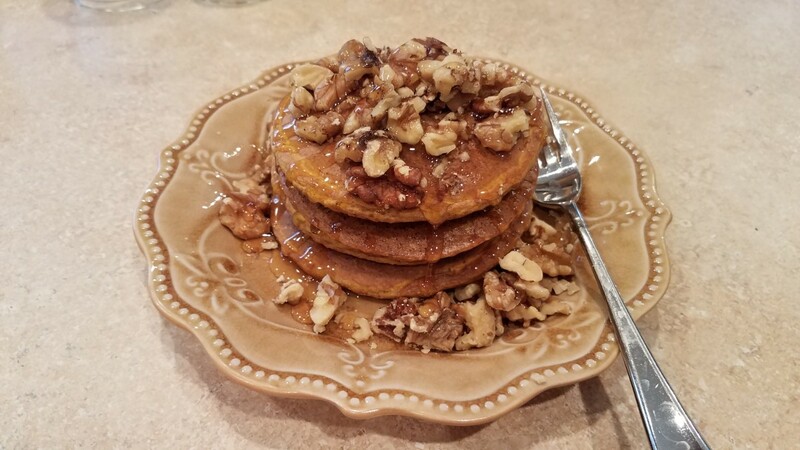 Homemade pumpkin oatmeal pancakes are the perfect segue into the fall season with pumpkin puree, cinnamon, honey, and vanilla. We like to top ours with chopped walnuts and honey for an especially delicious treat. 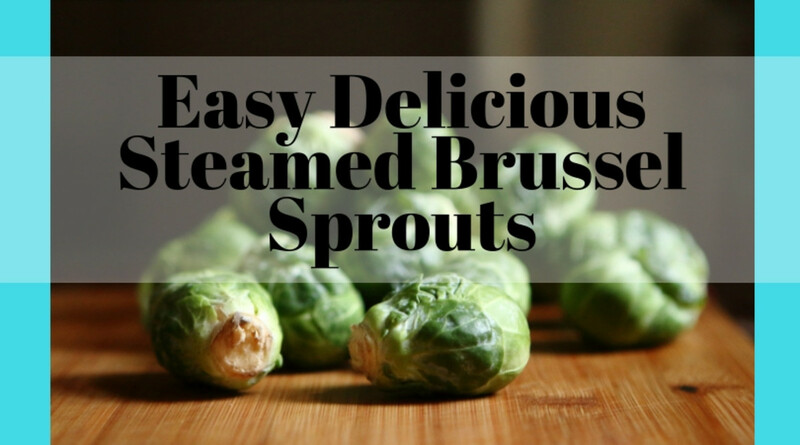 These are super quick and easy to make and will be sure to delight your tastebuds. Understanding seizures in young children can help you better recognize and assist a child having a seizure. 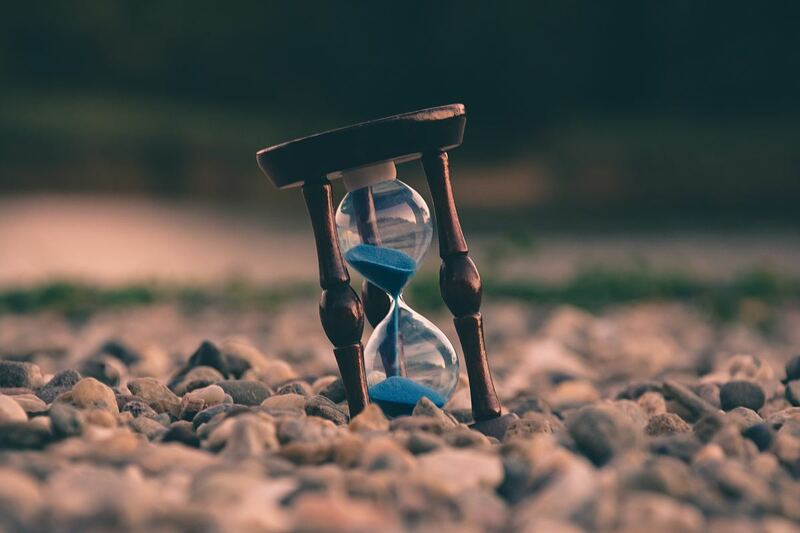 This article will provide you with options for mitigating the seizures, or preventing them from happening in the first place. 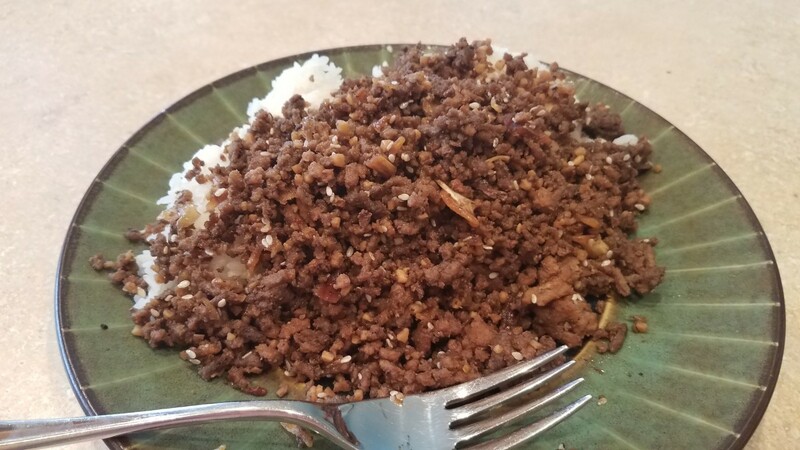 This homemade Korean garlic beef and rice is not only quick and easy to toss together, it's absolutely delicious, too. You are missing out if you don't give this dish a shot. 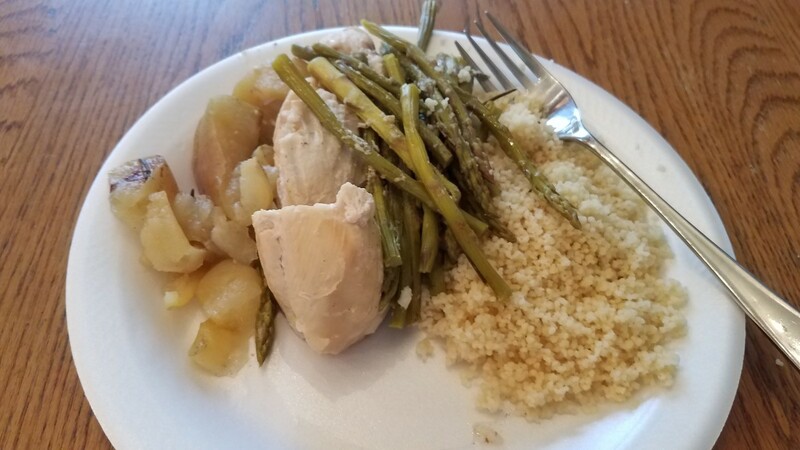 This apple cider chicken with couscous is super quick and easy to make. It's a delicious meal that will fill your home with the scent of cooking apples. 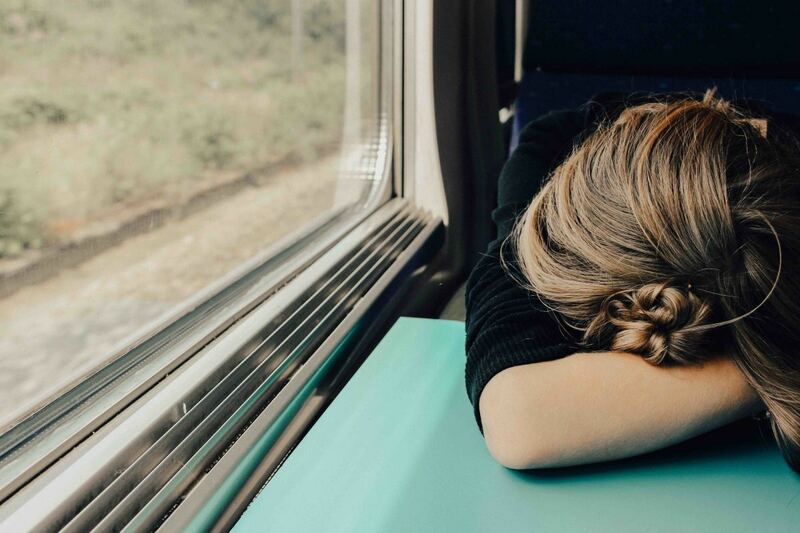 You should really know the facts about polycystic ovary syndrome (PCOS) to protect yourself, your children, and live the best life you can, sickness free. 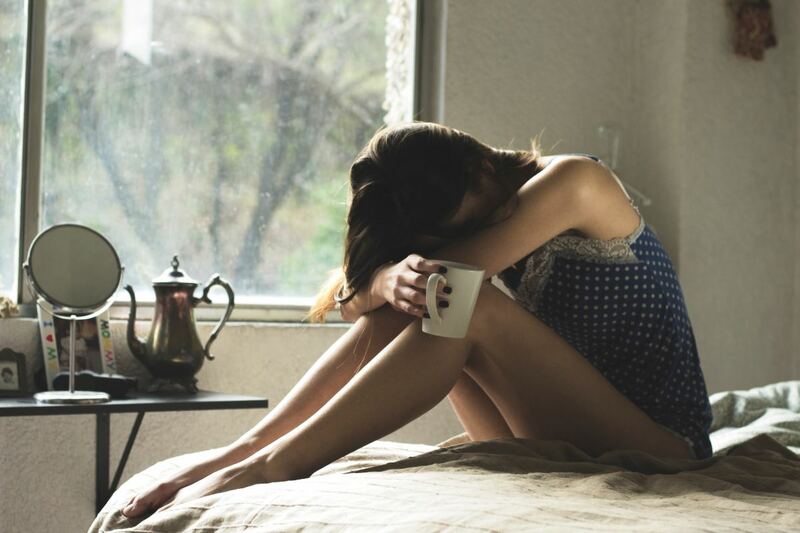 More than 50% of women in the US have these symptoms and don't believe that there's any way out, but there is! Spiced vanilla pear jam in the crockpot is one of the first things on my fall to-do list every year. I simply can't imagine starting the new season without the smells of cinnamon, cardamom, and nutmeg wafting through my house. Yum! 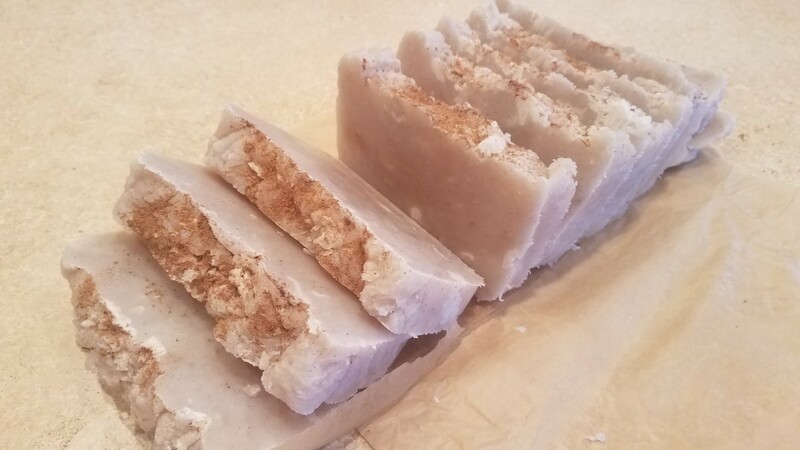 This article is about making your own cinnamon essential oil from home. Essential oil is expensive when bought commercially, and many times includes ingredients you wouldn't want in your home or your bodies. 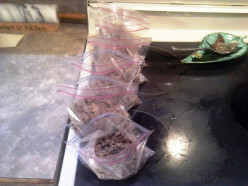 By making it yourself, you can not only save money but use ingredients you trust. 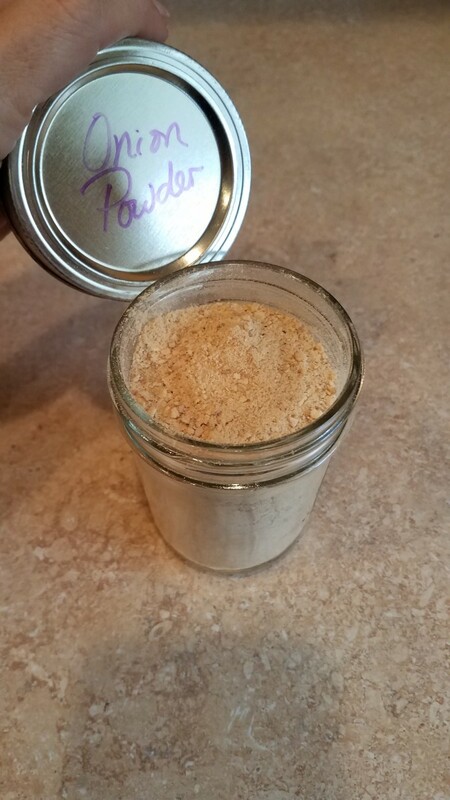 Making your own onion powder at home is a great way to save yourself time, money, and the headache of having to wait to go to the store and buy some more when you run out. It's much healthier, too, as you know exactly what's going into the product you are making, without any chemicals and fillers. When your house is stinky, you need some natural home deodorizing tips for every room. By using some simple, natural, healthy ingredients that you likely already have in your home, you can have a clean smelling home again quickly and easily. This is the reality of clean eating as a lifestyle. 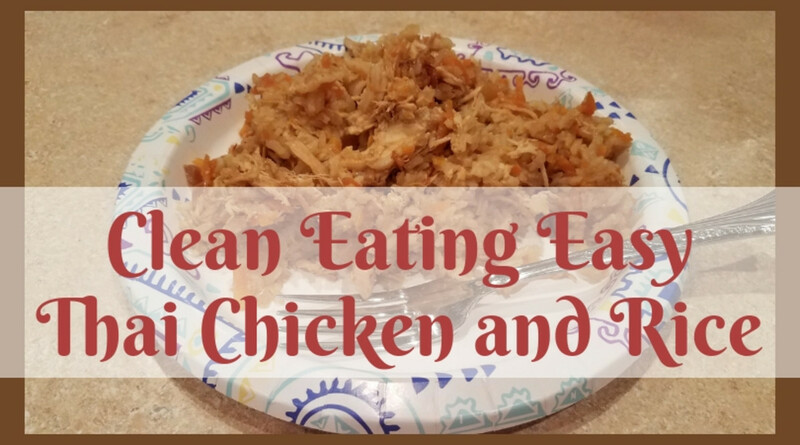 So many people think it's not possible to eating clean 100%. It can't possible be simply because they haven't been able to do it themselves. 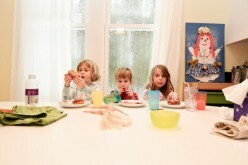 But it is indeed possible and I show you how our family eats completely clean all the time. Family issues at your wedding are always difficult to address. You each have a ton of people in your lives that care a great deal about you and want the best for you. Learn how to manage this situation with class. 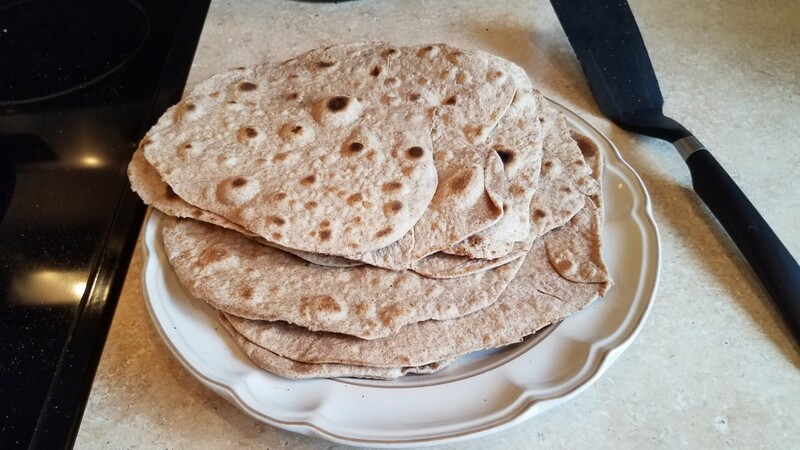 These homemade whole wheat rosemary olive oil crackers are sure to delight you, feed you well, and inspire you to start making more of your own food at home. 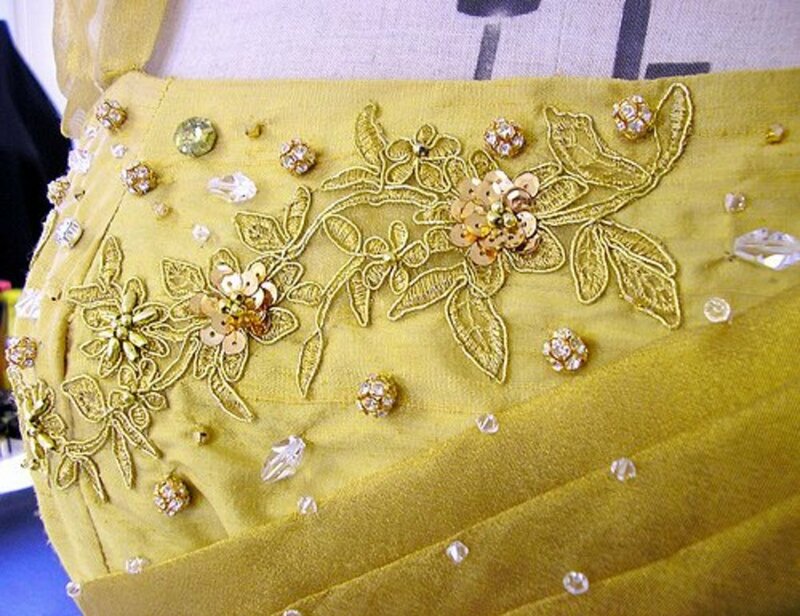 This is a quick and easy project when you have a little bit of time to spare. Fill a container with delicious crackers for your family! 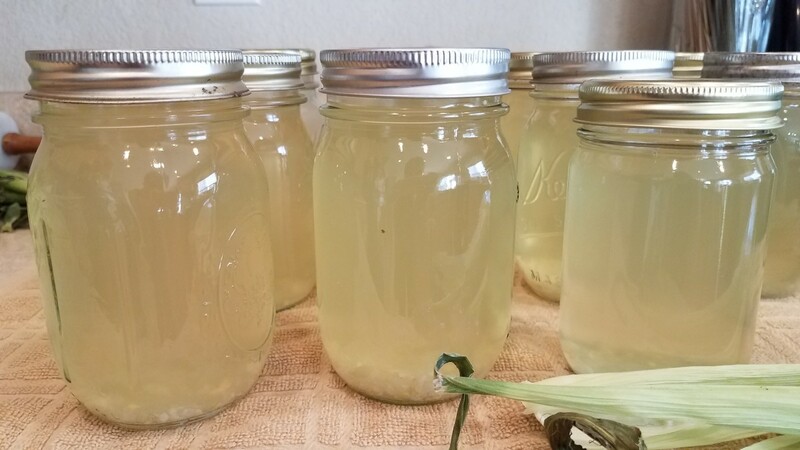 By learning how to make vegetable scrap broth in the pressure canner, you can reduce the waste in your home, save money on groceries, and provide healthy food for your family for pennies on the dollar. I get a lot of satisfaction out of making most of our food. 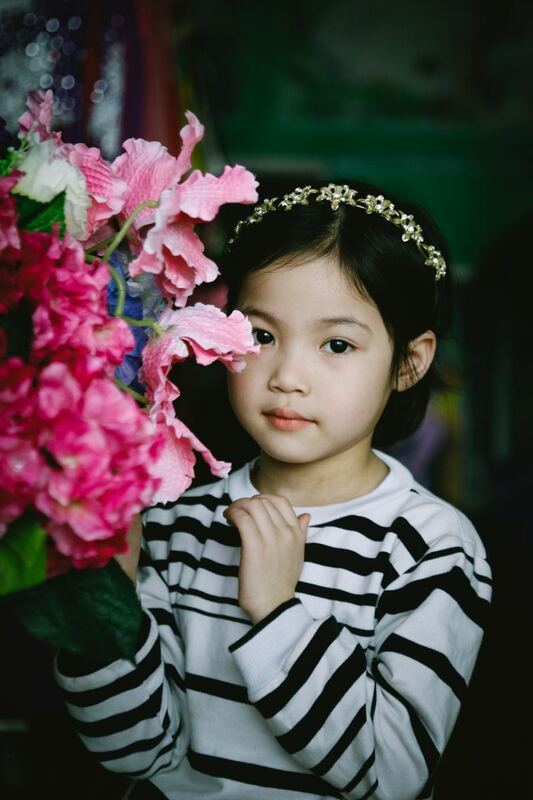 This article will help you with how to protect your children from lice by offering suggestions for prevention and providing home remedies for getting rid of it altogether. I've also tried to help by explaining some of its history and trying to answer all of your lice questions. From learning to behavior to overall health, processed foods have a significant impact on your kid's health. By choosing real foods, you'll be giving them a leg up in every area of their lives. This is a list of natural remedies for many of your everyday aches and pains. Rather than turning to prescription and over the counter medications when you get a headache or have some toe fungus, why not turn instead to a natural remedy and allow your body to heal itself? 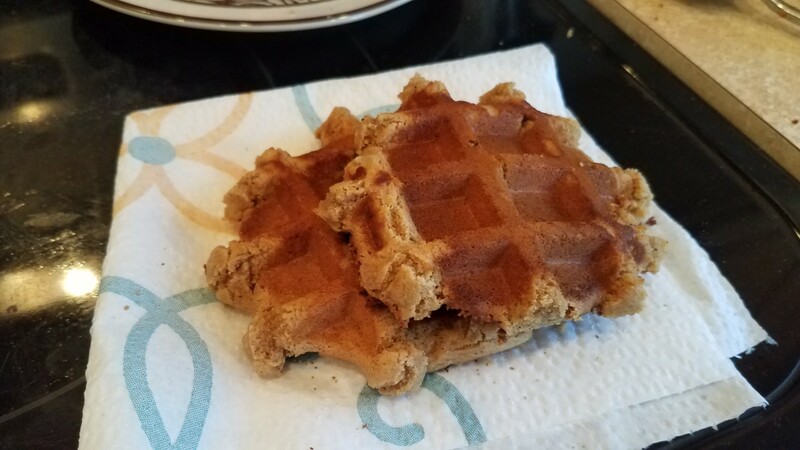 These homemade waffle iron spice cookies are not only quick and easy to make, they are also packed full of nutritional benefits. 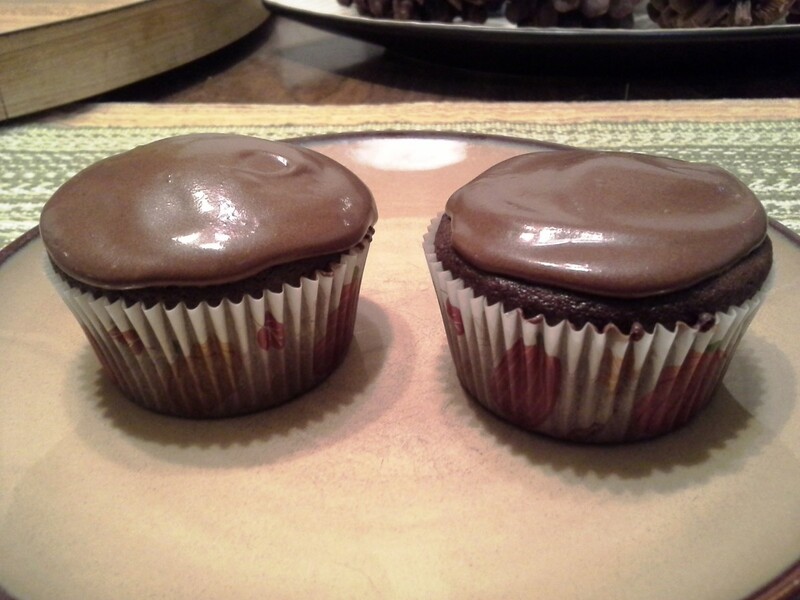 They make an exceptionally delicious treat for you or your kids. Giving birth truly can be beautiful. If you do the research, seek out the positive stories, find a childbirth method, and know the facts ahead of time, you too can have the pleasant memories from your children's births like I do. Here, I offer you some information to help you along your journey. 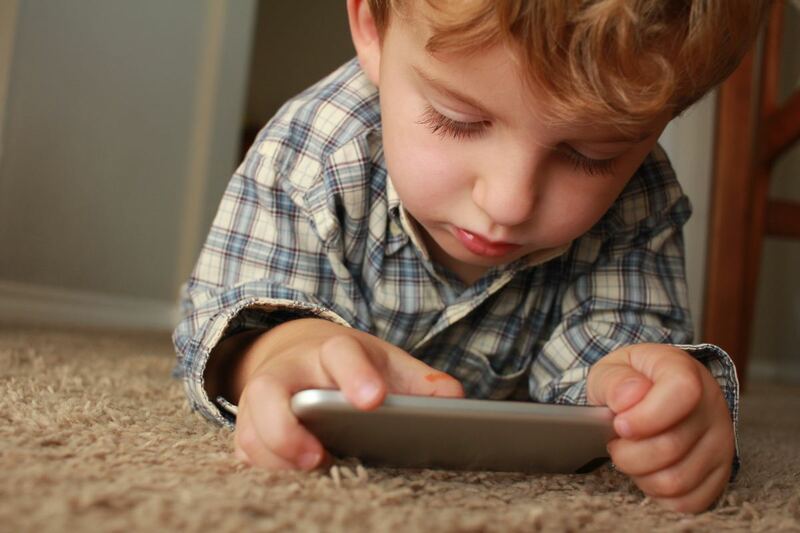 It's important to understand the positive and negative effects of technology on kids so that you can make the best decisions possible for your children and what they are exposed to. Technology isn't all bad—it has some great positives—but you need to truly understand the scary side of it. 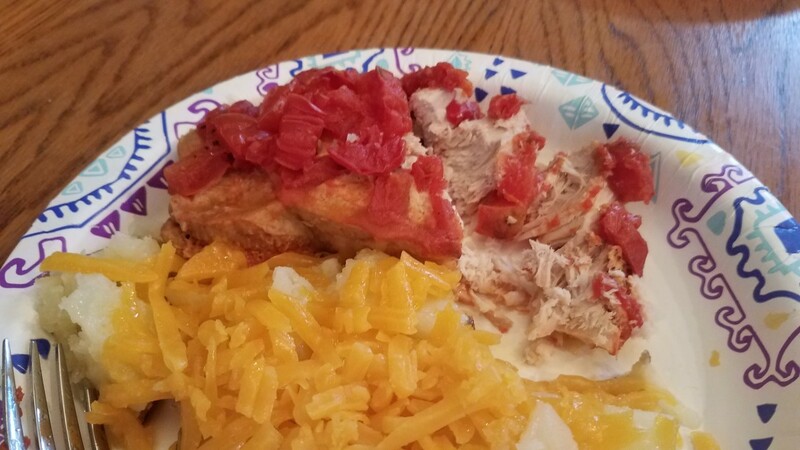 Making pork chops in the crockpot can be a really simple, quick and easy option for dinner most any night of the week. You just drop them in, top them as you wish, and at the end of the day, you have juicy, fall-apart pork chops that can easily be cut with a fork. Yum! 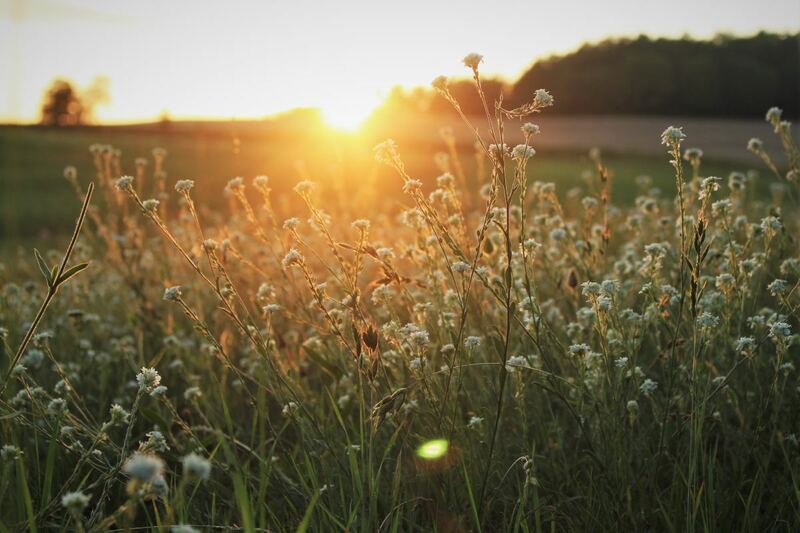 Natural effective options for the war on weeds will provide you a way to do away with your weeds for good using natural products, or good old fashioned elbow grease, instead of expensive commercial chemicals from the store. This way you save time and money all while using family safe products. 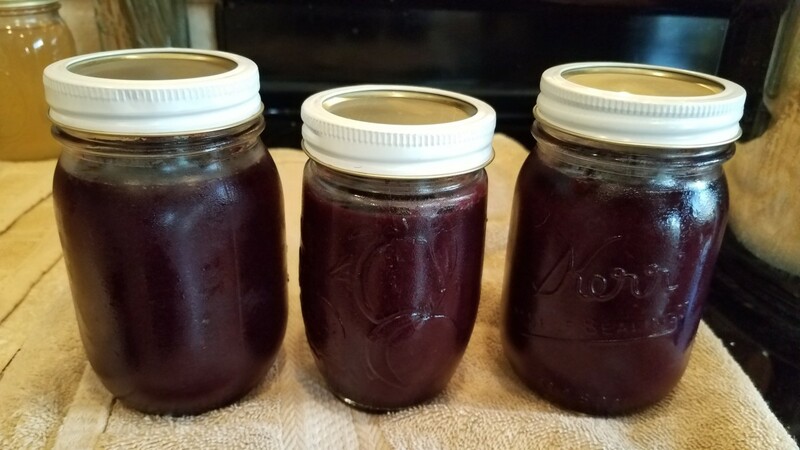 Making cherry and black grape jam in the crockpot is going to be so easy, you'll be surprised that you didn't think to do this for yourself before now. Juicy cherries and crispy grapes made into a sweet, smooth, yummy concoction that you can enjoy with toast or biscuits. 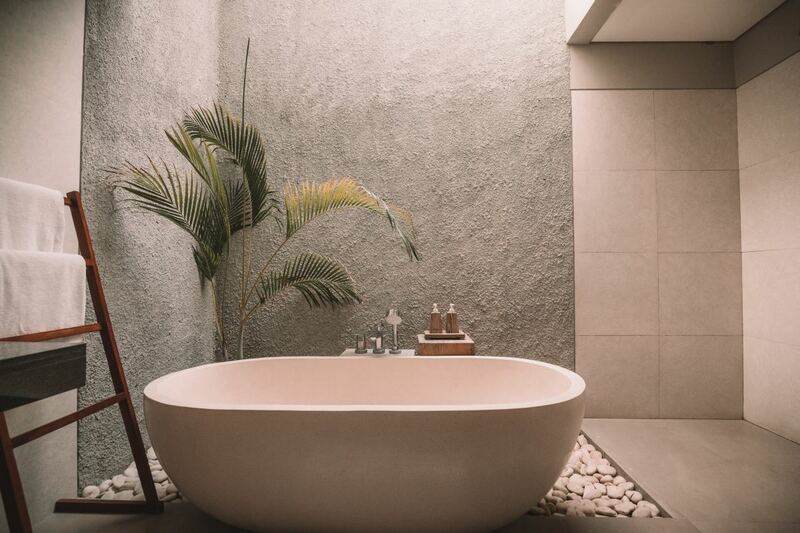 With these great naturally soothing bath recipes, you'll be well on your way to better health and well-being using food items you already have in your kitchen for your bath time like coconut oil, oatmeal and honey, along with several recipes that you wouldn't have considered before. These 10 great smoothies recipes will make your mouth water, and make you want to run tot he kitchen. I'm getting hungry myself. Bananas and peanut butter, cherries and almonds, blueberries, blackberries and raspberries... yum! Why not get your daily source of nutrients in the most delicious way?! 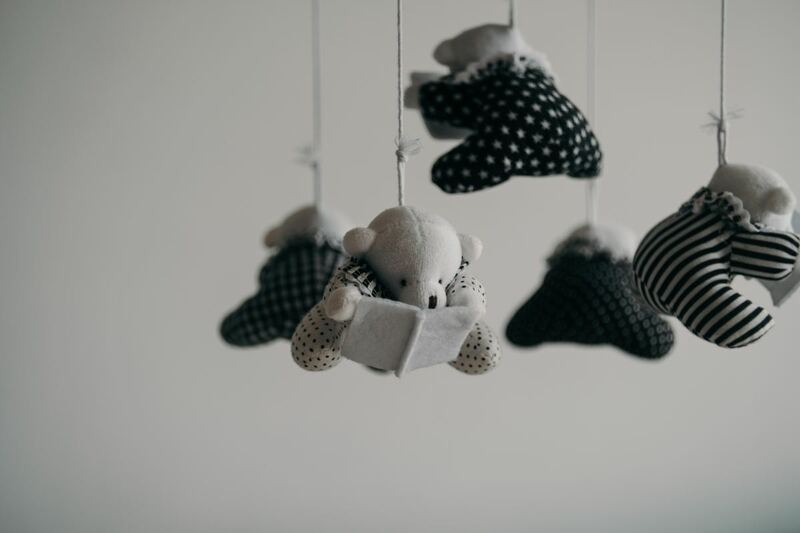 The Bradley Method of Natural Childbirth focuses on giving birth your way, in the relaxing environment of your choosing, and with your partner at hand. 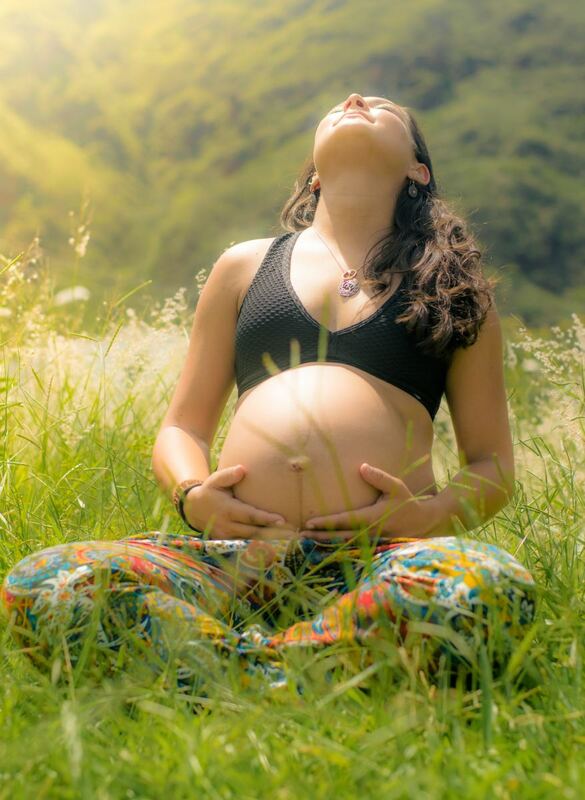 This childbirth method encourages women in natural childbirth without medications or interventions. This recipe for homemade chicken pot pie on the stovetop was super quick and easy to make, and the biscuits go great with jam afterward. This is one dish that you can't mess up and that everyone loves. Chicken, onion, carrots, green beans, and corn—all in a creamy sauce. Yum! 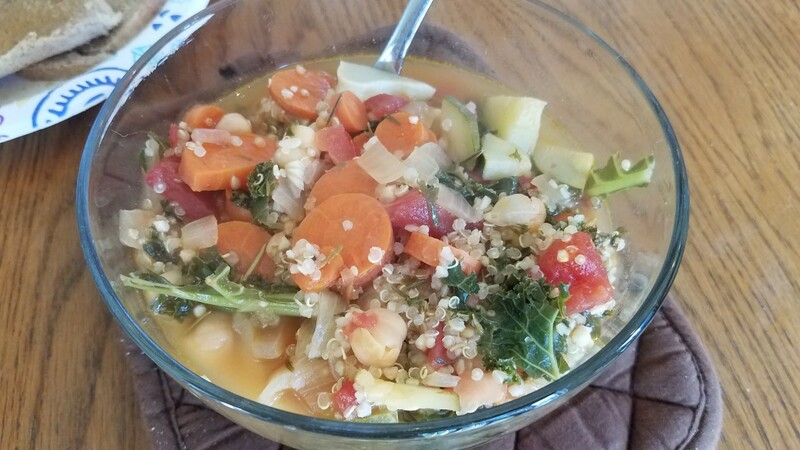 This yummy summer vegetable quinoa soup is sure to fill your stomach and delight your tongue. Packed full of wholesome vegetables and nutritious quinoa and chickpeas, you'll definitely get your daily serving of veggies with this delicious dinner recipe. 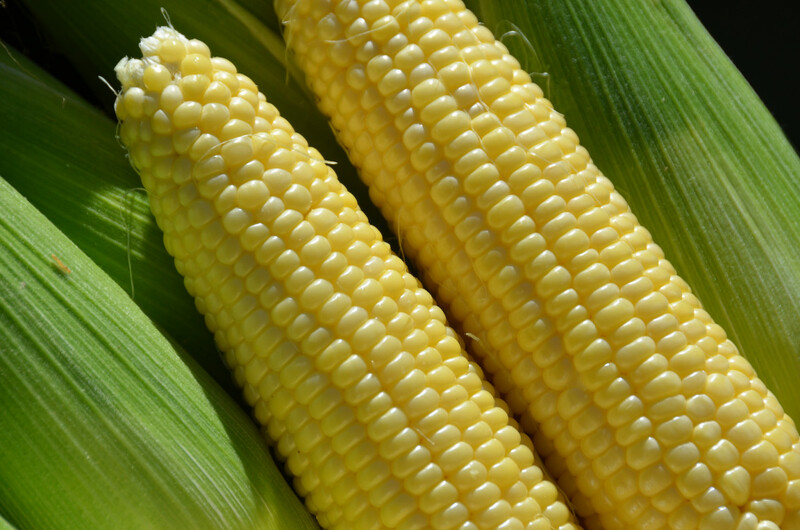 This recipe will help you with pressure canning sweet corn off the cob. 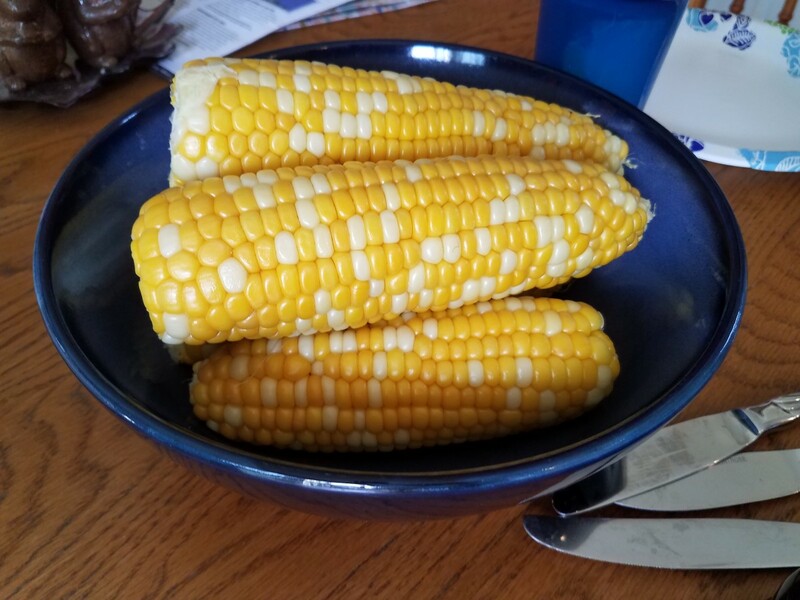 Summertime is wonderful, if not just because corn is in season, and the best of it goes on sale at my local organic food store. We love everything about corn, like cream corn, corn broth, tamales, and especially corn on the cob. 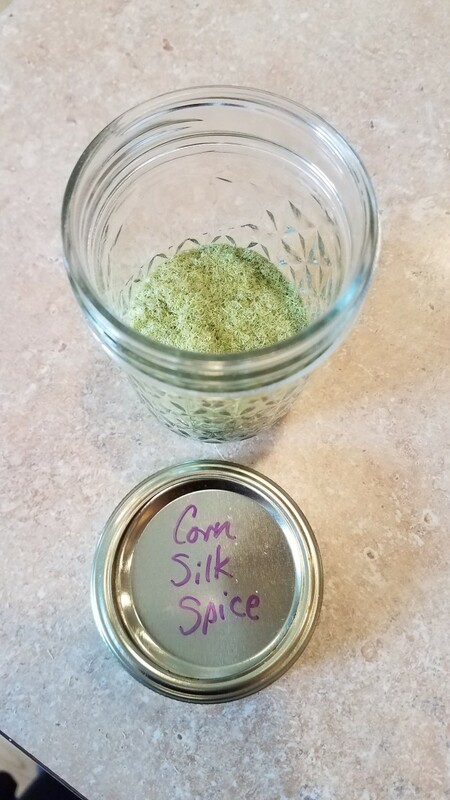 This recipe is about making your own homemade corn silk spice. Corn silk is an amazing food item that is generally overlooked and tossed in the trash. It is the long, silky fibers found inside an ear of corn's husk. It is packed with tons of nutrients and used to treat a variety of maladies. 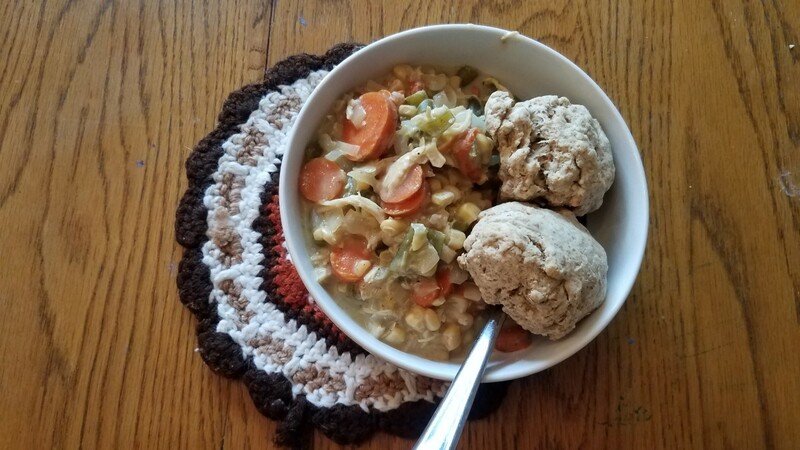 This recipe will help you make corn broth using your leftover husks and cobs. I really like using all of the leftover parts of my food and not wasting anything. There's not much information on the web about corn broth, but corn and their husks are very healthy for you. Why not make some broth? 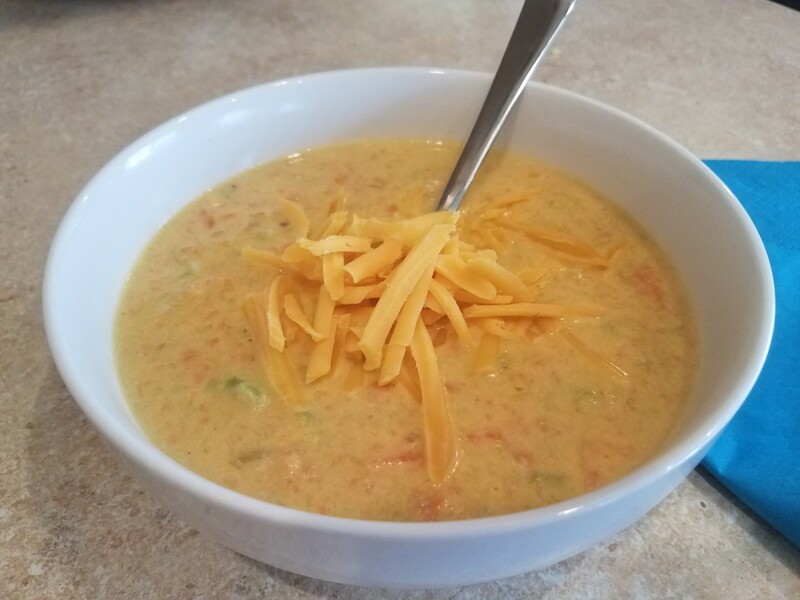 This is a recipe for homemade clean eating broccoli and cheese soup. So many people use frozen broccoli and Velveeta cheese. You won't see either of those items here. 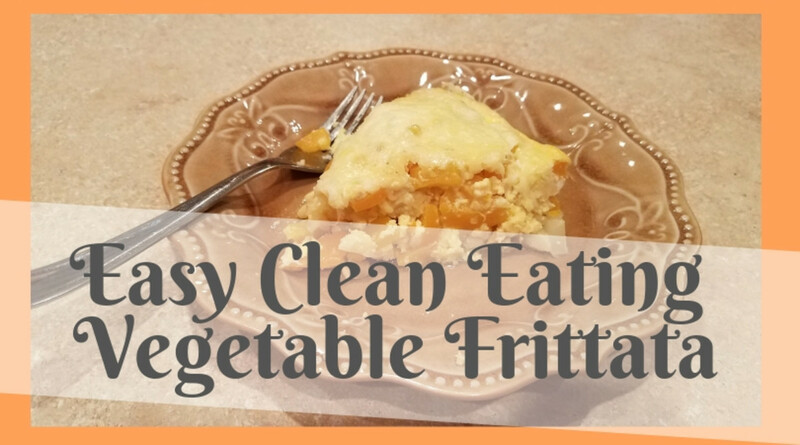 There are no processed foods in this recipe, only freshly grated cheese, grated carrots, and fresh chopped broccoli. Yum! Sometimes learning from the difficult people in your life, rather than letting them stress you out, is the key to happiness. We all have control over how we feel, how we handle different situations, and what we let bother us. 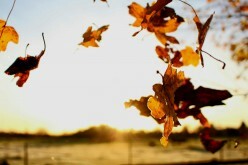 Use some of these tips to learn how to let go. 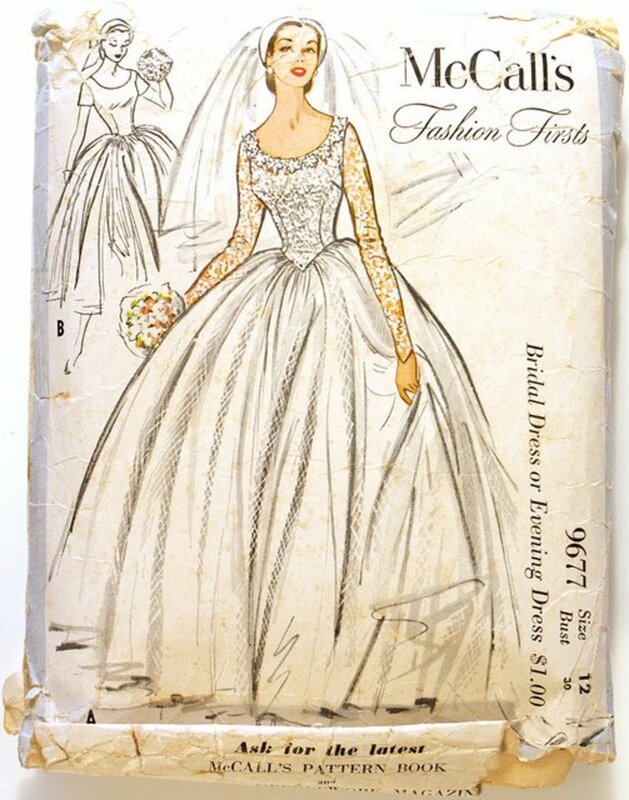 Wedding planners get a bad rap. They really do. They work their tails off trying to pull off perfect events for their clients, and when problems arise, they take all of the blame. 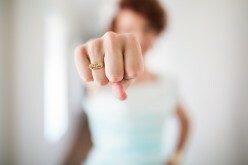 Consider the warrior fighting for you, and trying to pull off your perfect day, before you lay any blame. This article helps with making your own homemade bug spray. 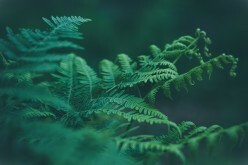 With just a couple natural ingredients, you can have a great bug spray that is safe for your whole family and much healthier and cheaper than what you can buy at the grocery store. What are you waiting for?! 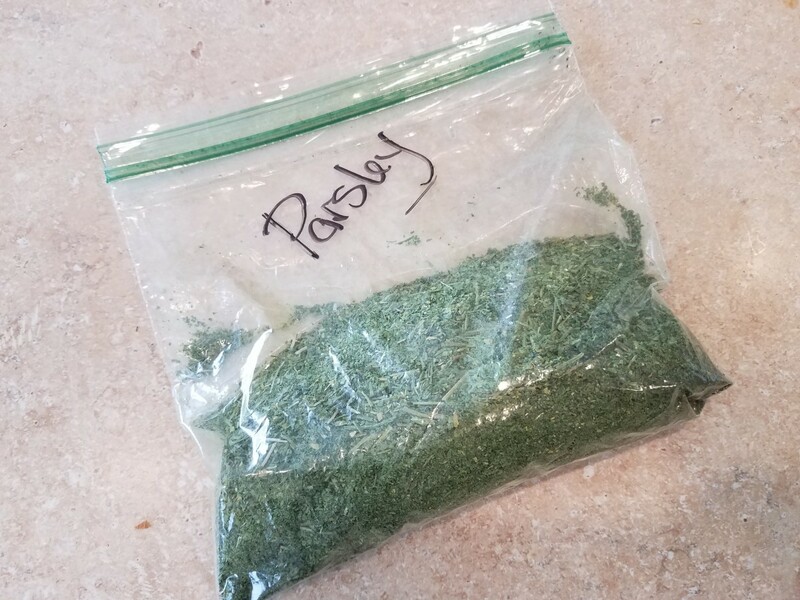 This article will give you the information you need for making your own dried parsley at home. Homemade items are always better, healthier and cheaper than the grocery store. With a simple dehydrator, you can do so much for your family and their diet, including drying your own herbs. 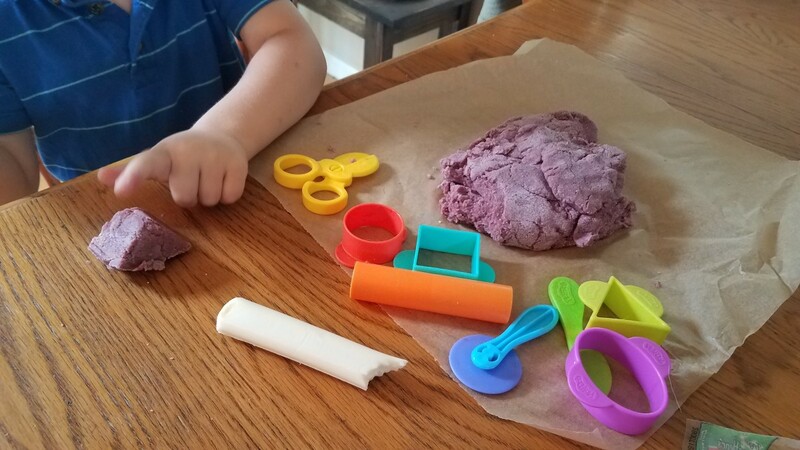 This article will help you make some quick and easy homemade playdough using healthy ingredients for your kids. I don't keep processed foods in the house and wouldn't want my child eating conventional playdough, so this was our compromise. You don't have to worry about this healthy version. This article describes what every pregnant woman should know about prodromal labor. 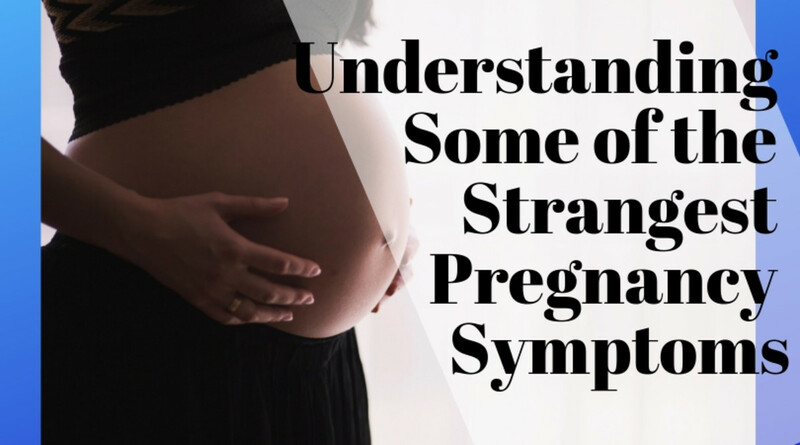 Prodromal labor is not a term most women are familiar; they're instead being told their woes are due to Braxton-Hicks, but I am here to give you more information so you are more knowledgeable when it happens to you. 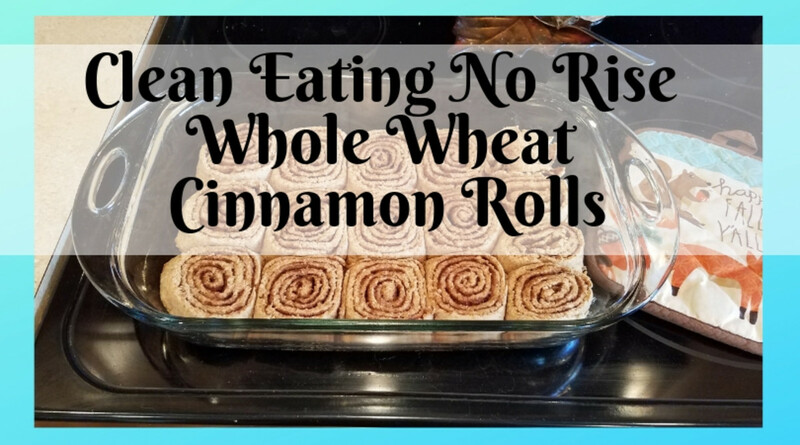 This recipe will show you how to make healthy and delicious homemade clean eating cinnamon rolls—packed full of wonderfully healthy ingredients—without sacrificing any of the amazing flavor. I really think you and your family will enjoy these more than the store-bought confections. 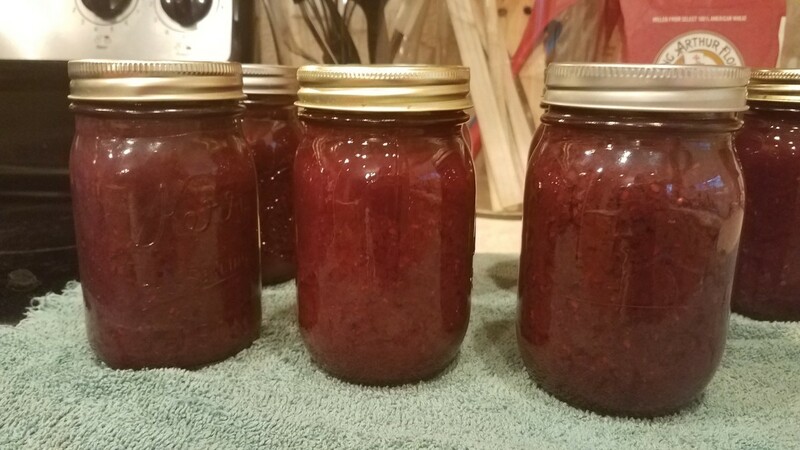 You're going to love this delicious homemade mixed berry jam for water bath canning. Filled with deliciously fresh blueberries, blackberries, raspberries, and strawberries (and just a hint of honey), the burst of flavor you are going to experience when eating this jam is going to blow your mind. 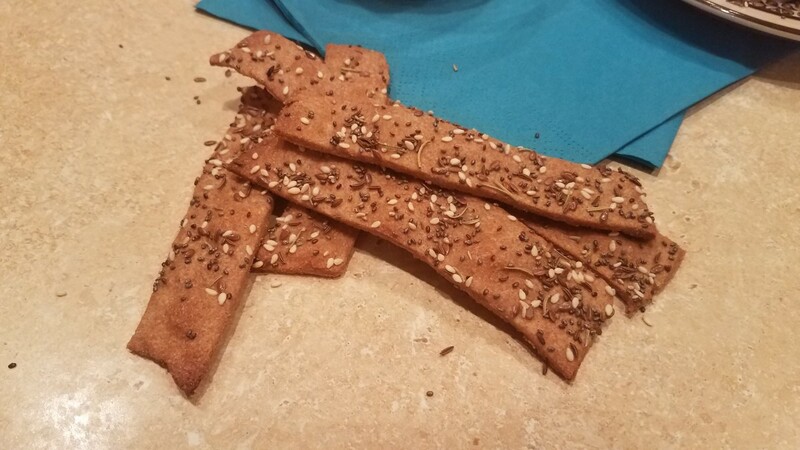 This recipe walks you through making your own homemade seed crackers by hand. There's nothing more satisfying than knowing that you can make your own food, and that your family is enjoying something that you made. But what's nice as well is knowing how healthy they are and how much money I saved. 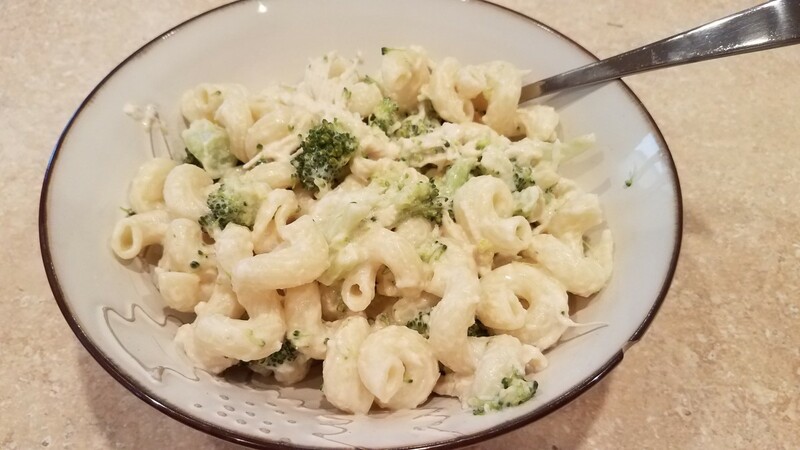 This recipe will teach you how to make a yummy, quick and easy chicken broccoli Alfredo pasta for your family tonight. 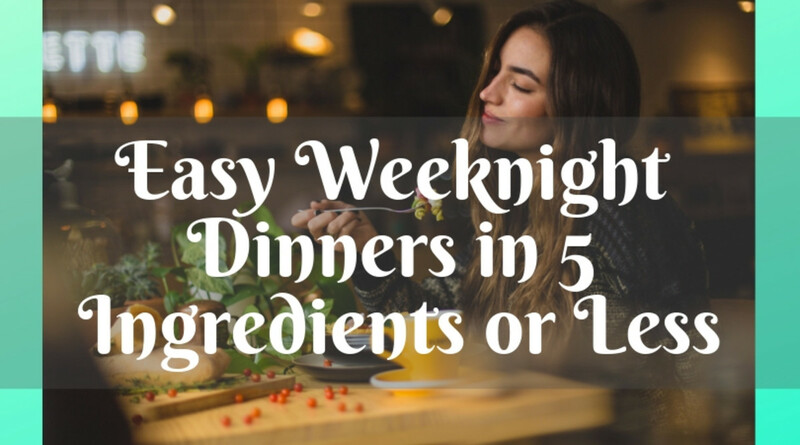 With just a few easy steps, you can have a delicious, healthy dinner on the table, made from scratch in a mere 30 minutes with hardly any work on your part. 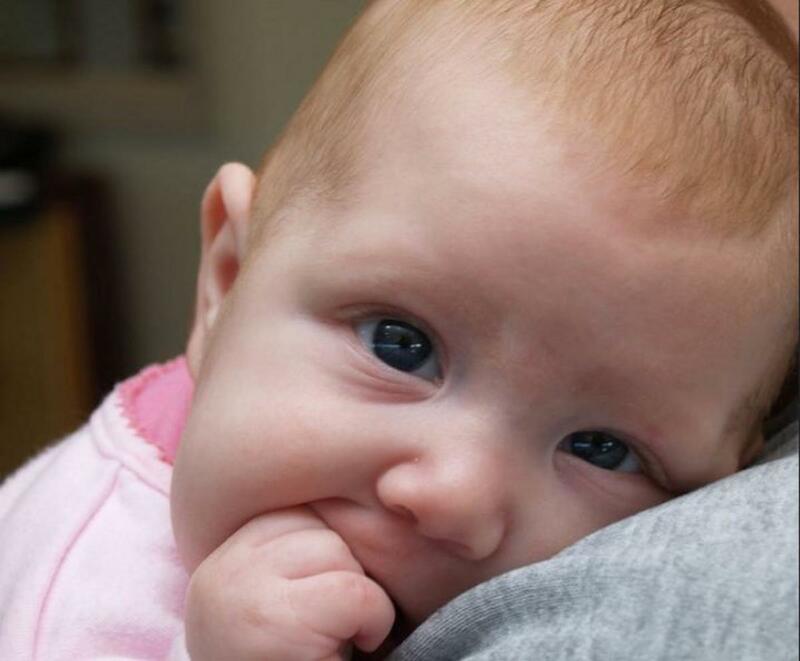 It's important for parents to understand SIDS to better protect their babies and their families from something like this ever happening to them. 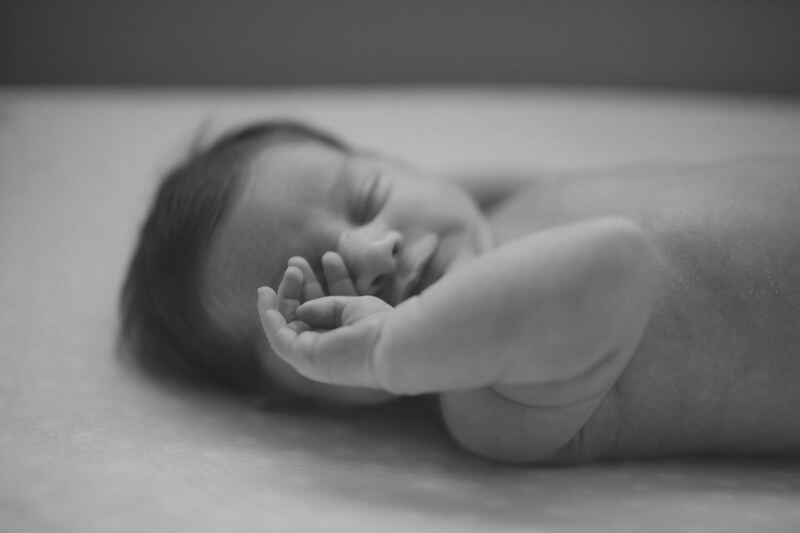 This article is full of great information and facts about SIDS and tip for protecting your children, and even dealing with the after effects. 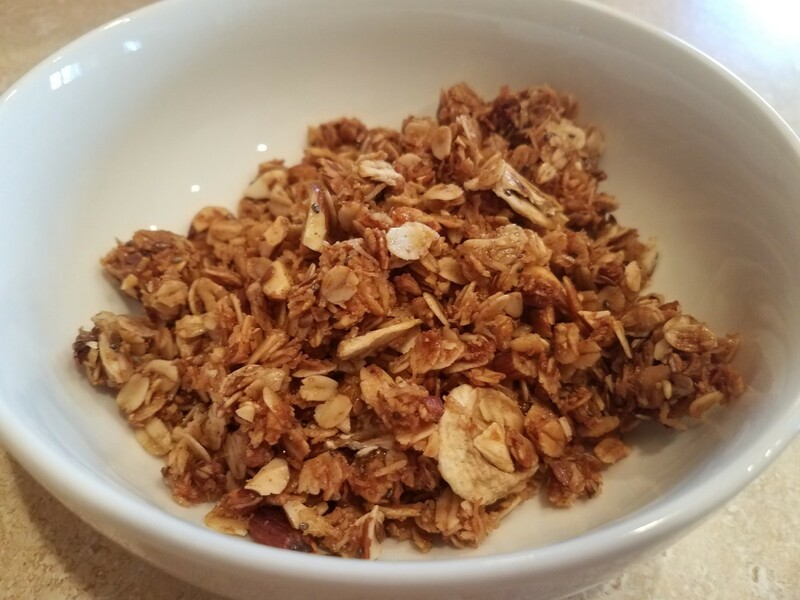 This homemade banana bread granola recipe is to die for! 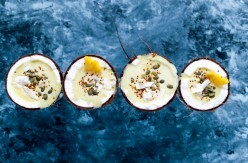 This one uses all of my favorites: almonds, coconut and bananas. But what's really great about this quick and easy recipe is that you can make it your own—or let your kids get creative. 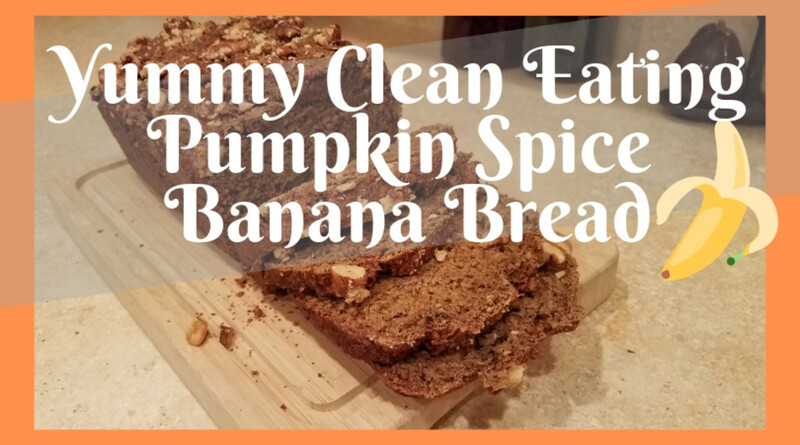 This makes a great snack, breakfast, or even dessert. 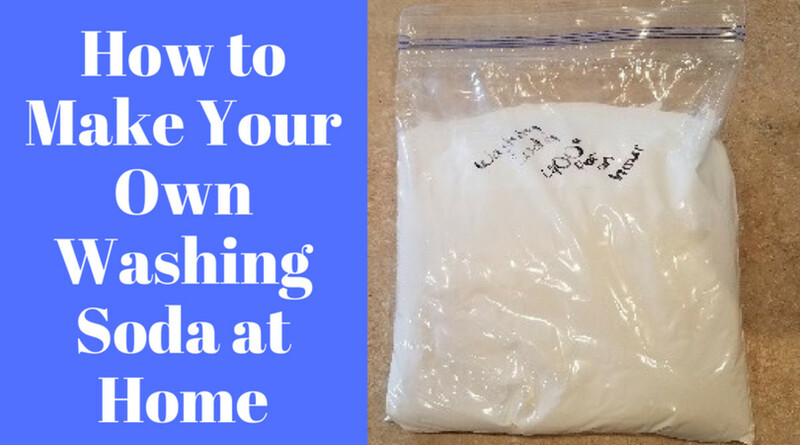 This article will walk you through how to make your own washing soda at home to help you clean all sorts of crazy messes in your house fast and easy. All it takes is an oven, a cookie sheet, and a box of baking soda. 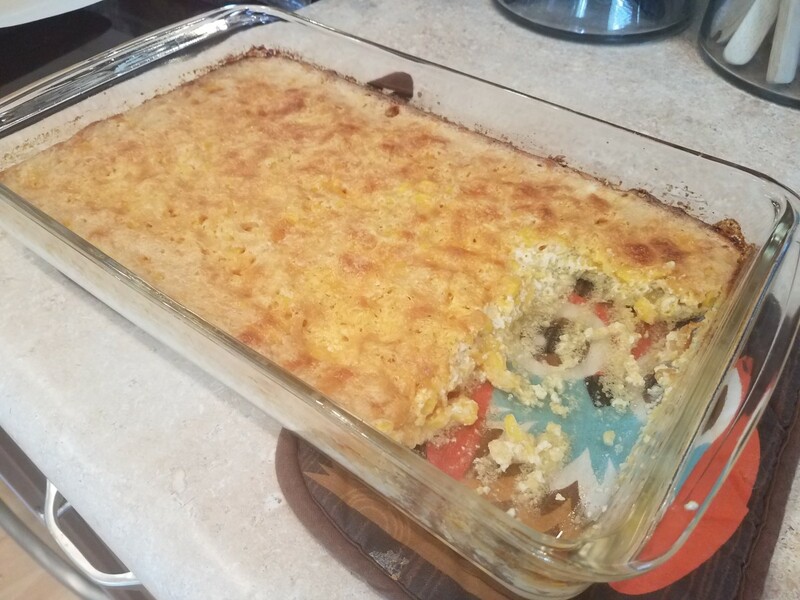 This recipe explains how to make a quick and easy clean-eating corn casserole with plenty of healthy ingredients. I'm so used to using all of my old ingredients, that cooking with all of my new healthy ones has been interesting, but really delicious. I will definitely never go back. 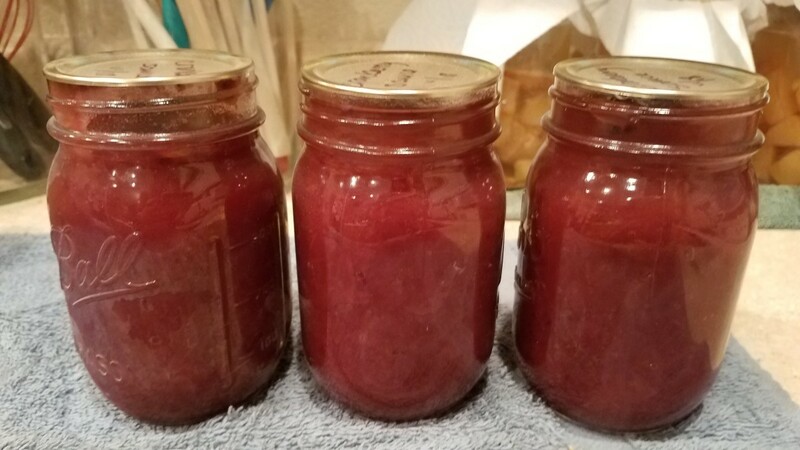 This recipe walks you through canning your own tomato paste from the crockpot. 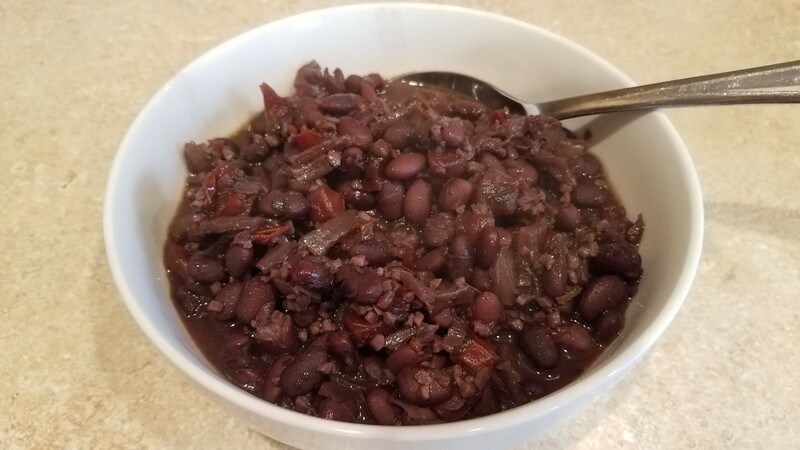 I love all of my crockpot recipes as I can just toss the ingredients in and walk away without having to worry about burning any of the ingredients. With this recipe, I can cook, blend and can with hardly any effort. 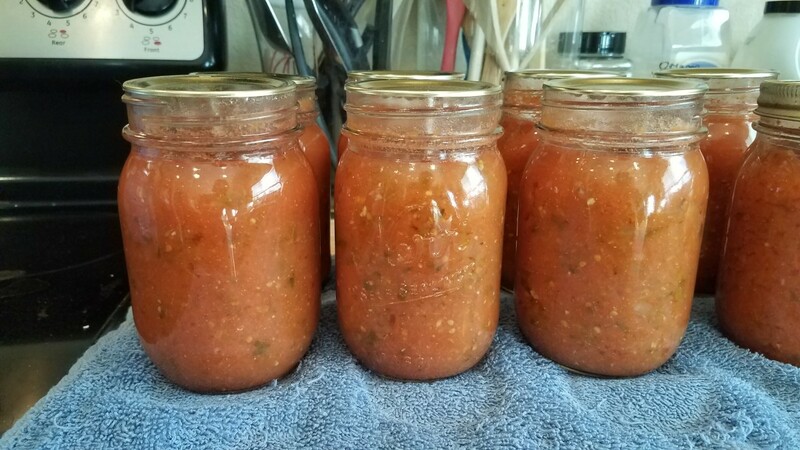 This article is about water bath canning peach salsa. This process is really quick and easy. We get an amazing end product that we can enjoy all year round. This salsa is slightly spicy and really sweet—filled with all kinds of wonderful fruit and vegetables. I highly recommend it! This article covers a variety of natural solutions for curing a headache. 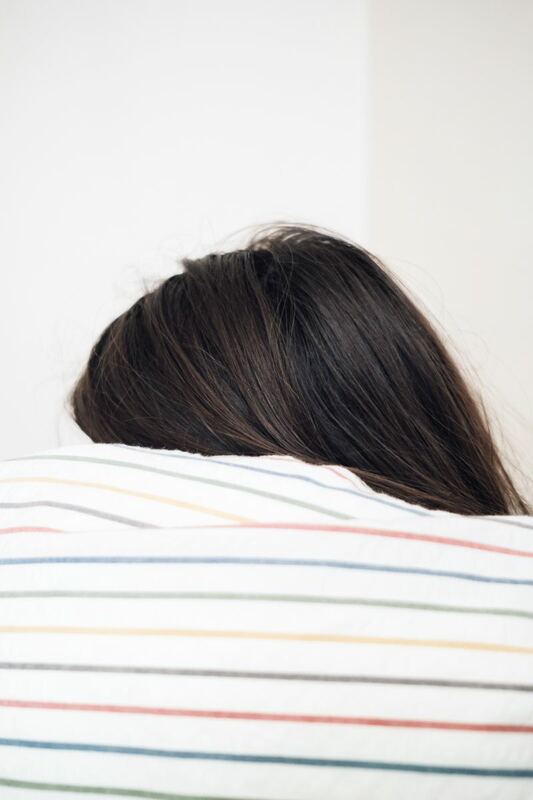 When your head hurts, your body is trying to signal you that something is wrong with your body. You are overdoing it, in need of water, sleep, magnesium, oxygen, or rest, or something more serious is going on. 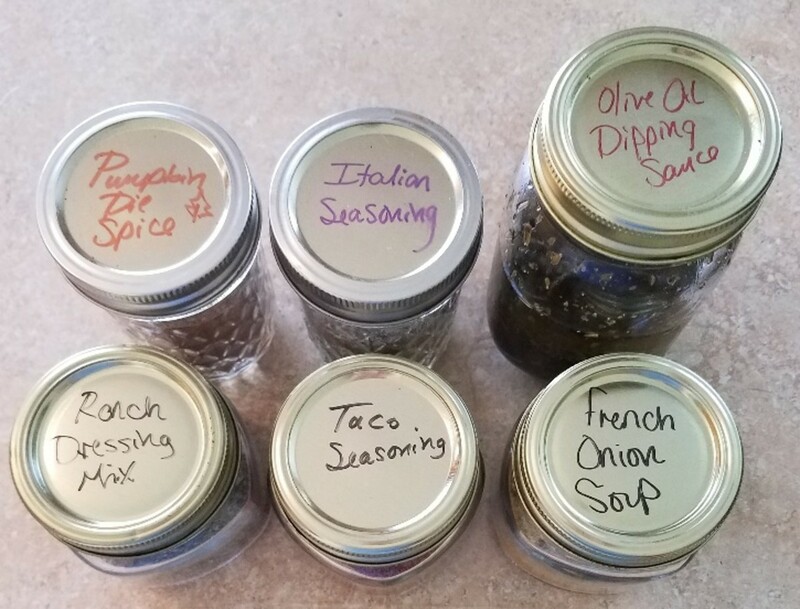 Making your own spice mixes is a quick and easy way to stock your home with your favorite spices without all of the extra ingredients you'll find at the store. I love either growing or buying my own fresh veggies and dehydrating them at home for fresh spices in my cupboard when I need them. 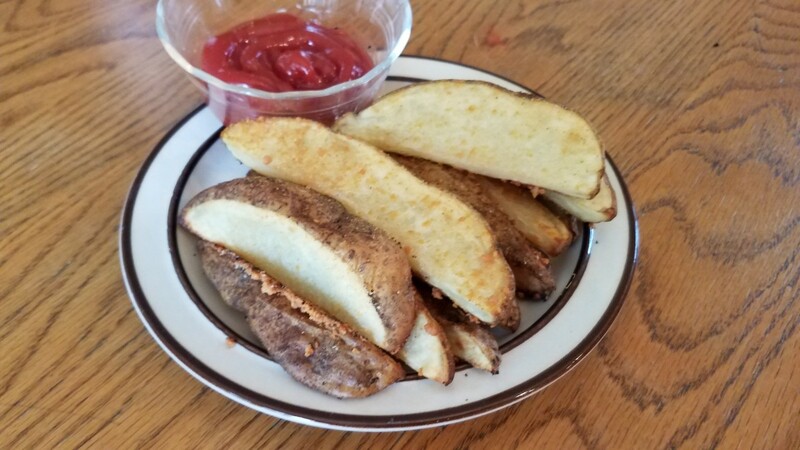 This recipe will show you how to quickly and easily make your own homemade crunchy garlic potato wedges at home. 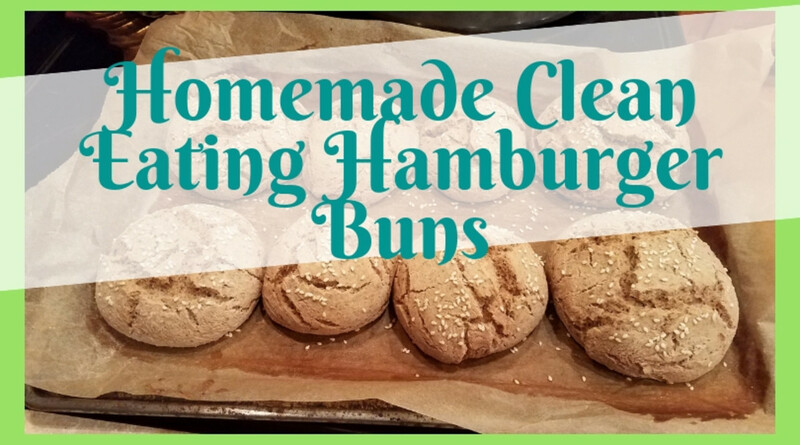 Homemade food always tastes better, and with how quick and easy these are to make, there's no reason not to. And I can guarantee your kids are going to love them. 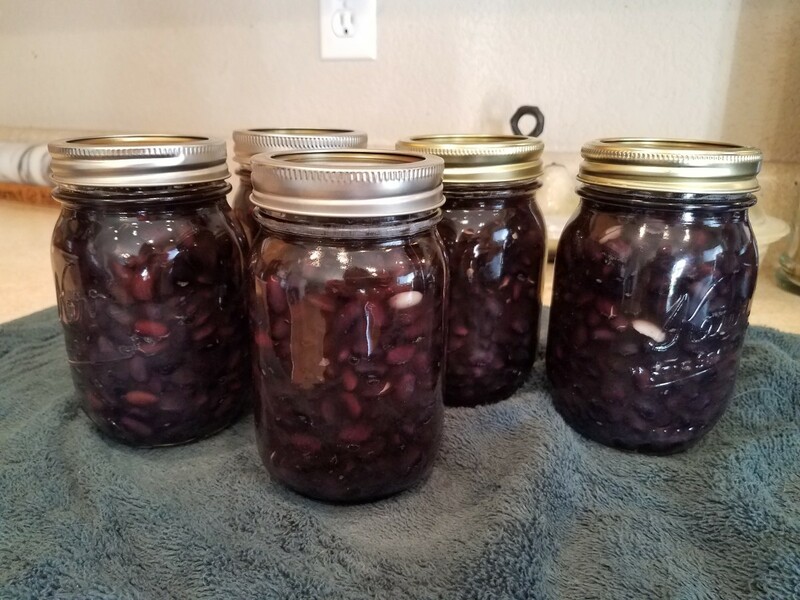 This recipe is focused on pressure canning black beans. By preserving your own food, not only can you control the ingredients in the food you make, providing your family with more nutritious food, but you also get the satisfaction of making food for your family. 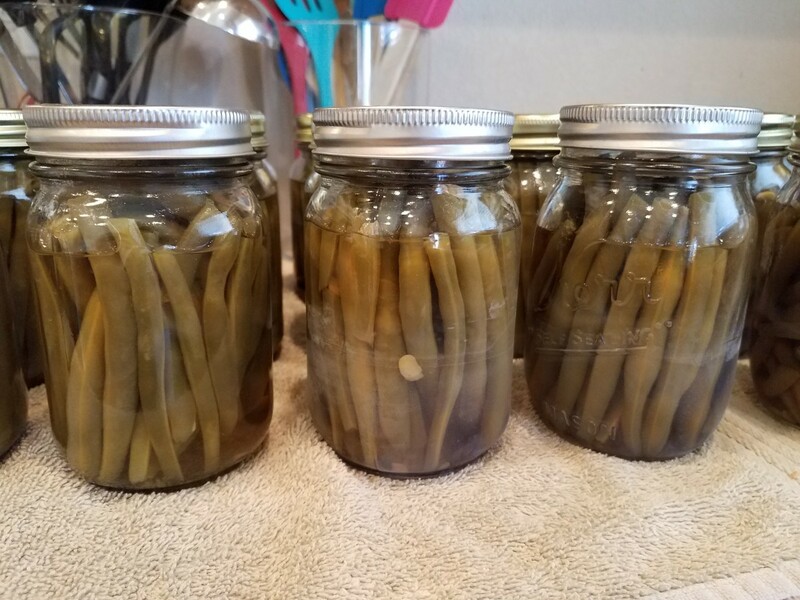 This recipe is about pressure canning green beans. By preserving my own food, not only do I get to control the ingredients that go into the food we're eating, but I get to provide my family with delicious, nutritious food all year round. 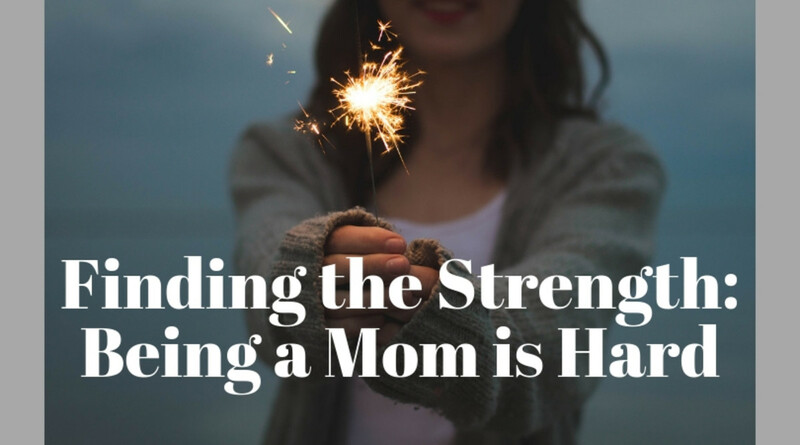 This article walks you through various common postpartum symptoms and how to handle them. Hopefully you'll get some great tips and gain some peace of mind from the advice given for every symptom you may encounter. Pesto used to be intimidating—until I learned just how easy it is to make and just how delicious it is with chicken. This meal is quick enough for an after-work dish. Fancy enough for date night. And it's easy enough for a big group of family or friends. Perhaps best of all, it's scrumptious!! One of my husband's favorite breakfast meals is biscuits and sausage gravy. 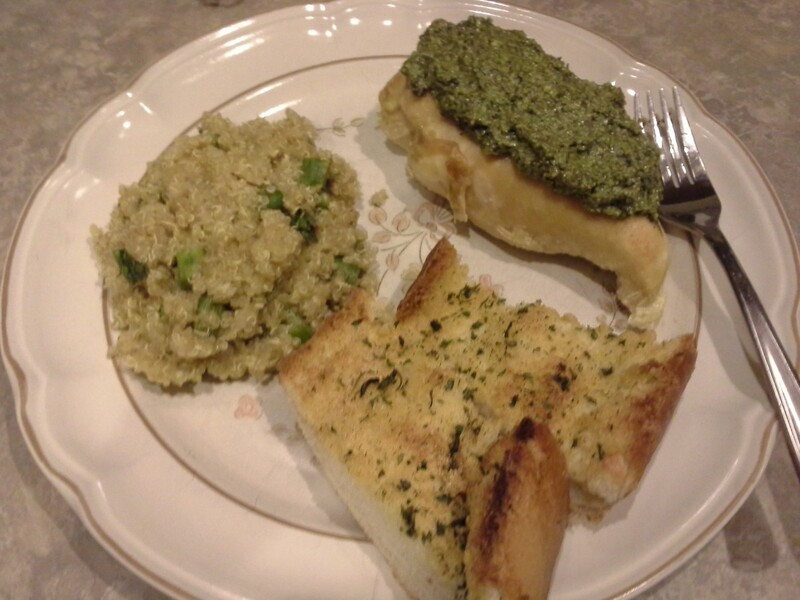 We tried out a variety of recipes for both with a lot of failures until we got them just right. Now we make this meal frequently in our home. 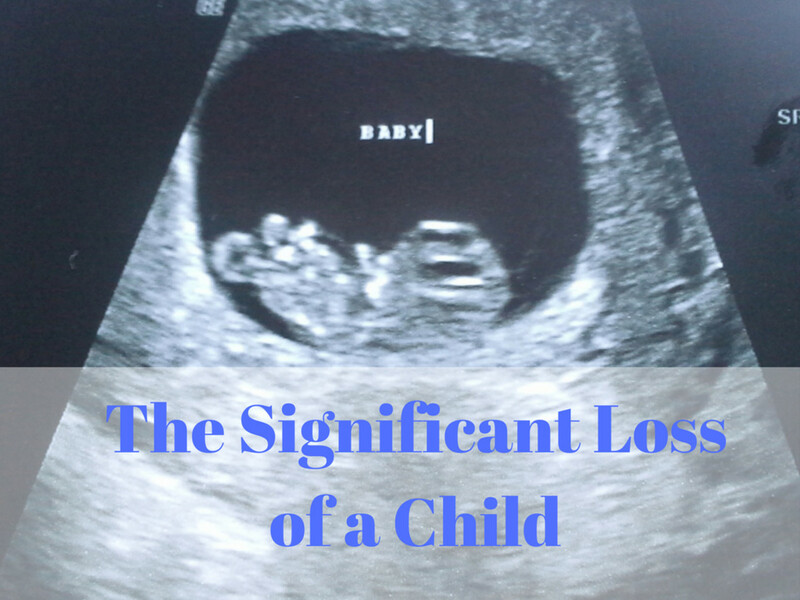 Whether you call it a miscarriage or pre-term labor, it is still the loss of a child. It's hard to quantify a mother's pain. 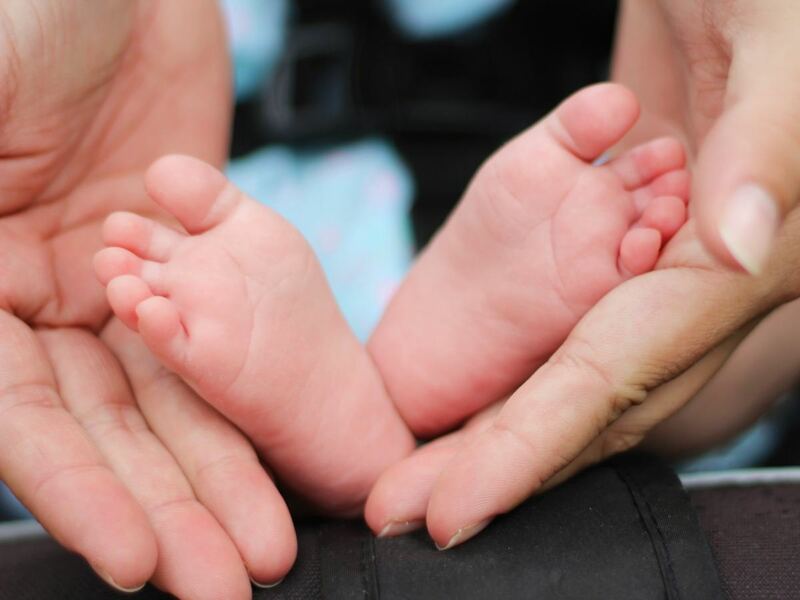 The loss of a child, whether an unborn baby, newborn, infant, toddler or older, signifies the loss of a dream and the loss of plans and a future with this individual. 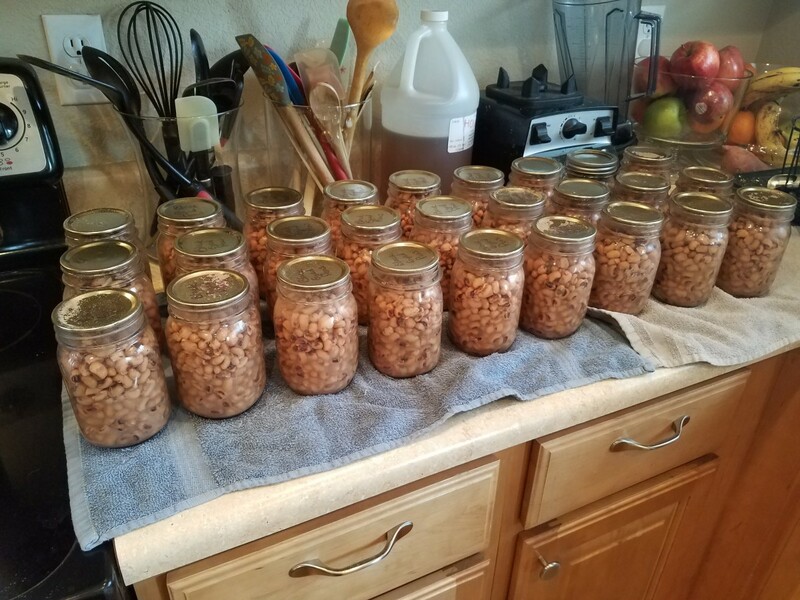 I'll walk you through pressure canning your own black-eyed peas, including soaking them overnight ahead of time and raw pack canning in boiling water. 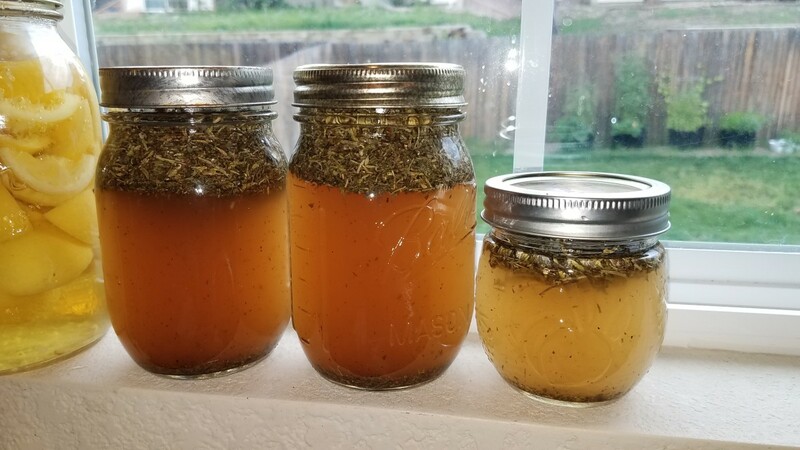 I also share some of my tips and tricks for water-bath canning and pressure canning many other items. My husband and I go a bit overboard when we see good sales. We capitalized on a pineapple sale we found. 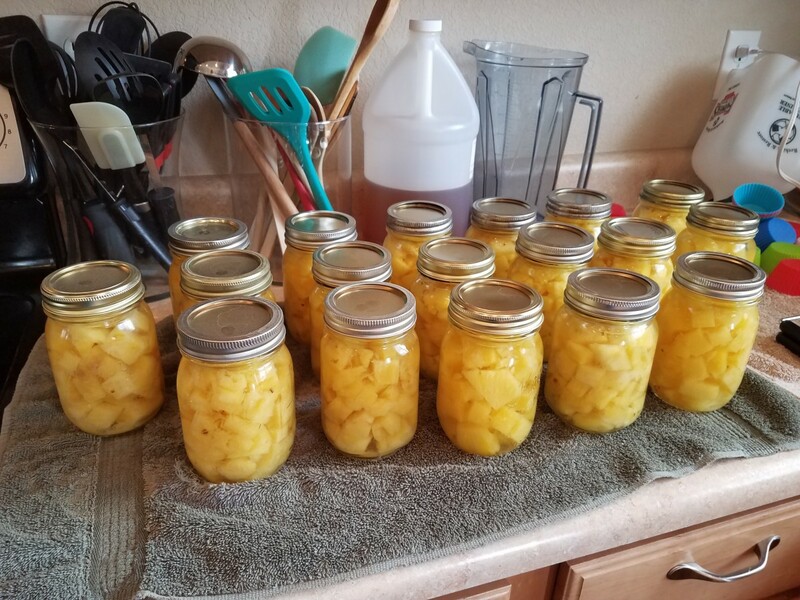 I want to show you how to take advantage of canning your own pineapple! 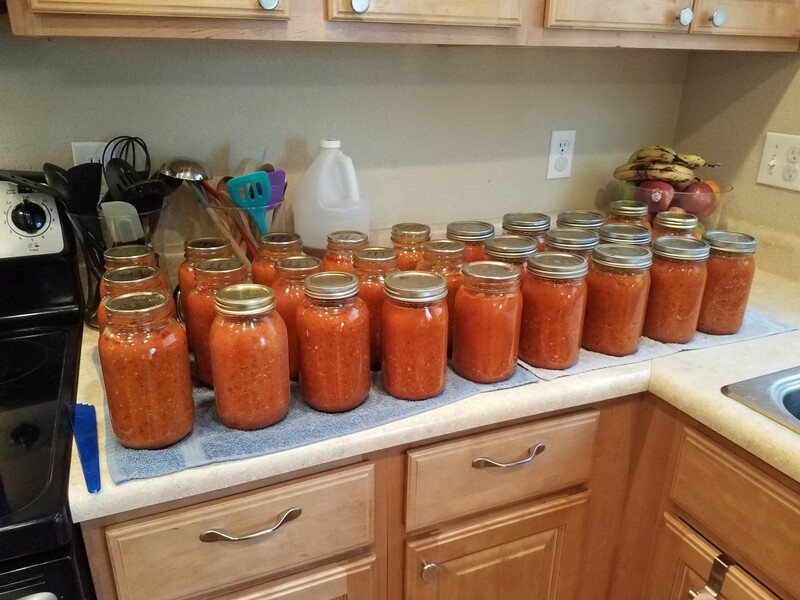 We love our pasta sauce around here. We use it in just about all of our meals in one way or another. 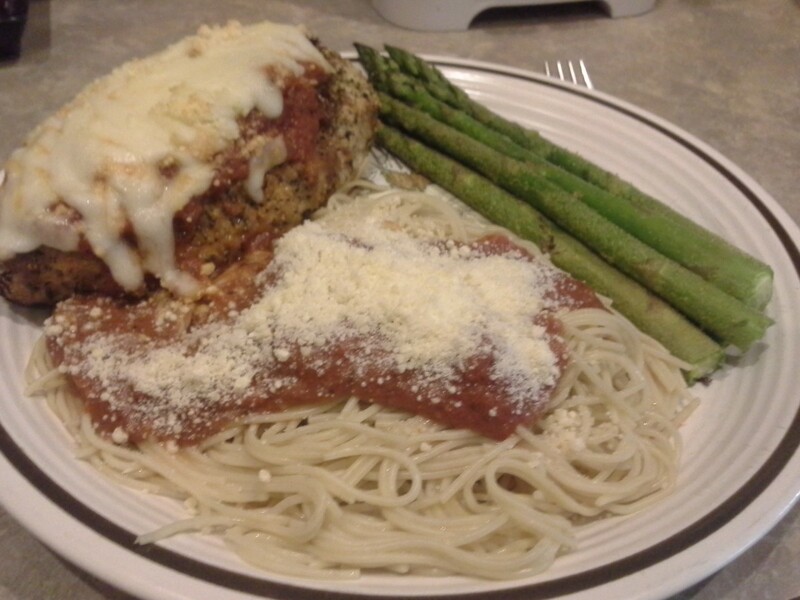 The obvious meal is spaghetti, but you can also use it in lasagna, pizza dip, chicken parmesan, and even to dip your cheese roll-ups in. 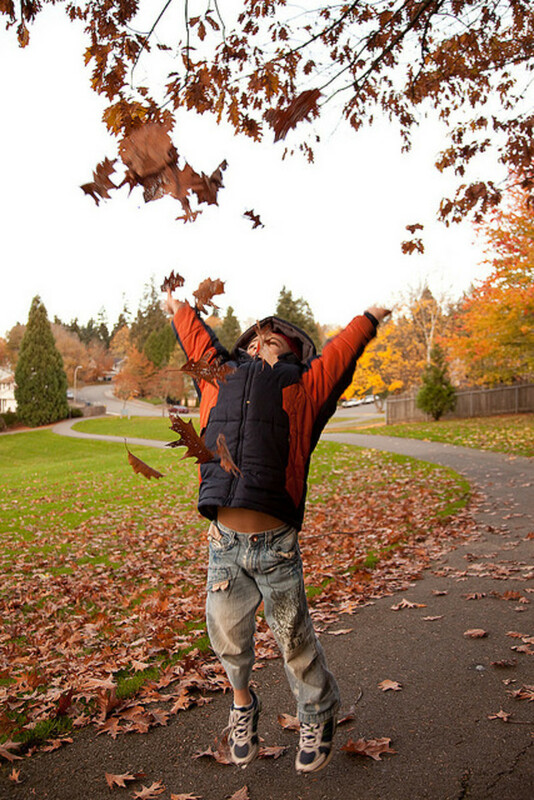 You don't have to spend a great deal of money in order to make great memories with your kids. It really doesn't matter what you do, as long as you are 100% there with them in the middle of the action, that's what makes the best memories. Sometimes it's difficult for parents to randomly jump into their child's homework and try to figure out what the teacher is working on at the moment, but there are so many others ways to help give your child an academic boost outside of homework help with little to no effort. 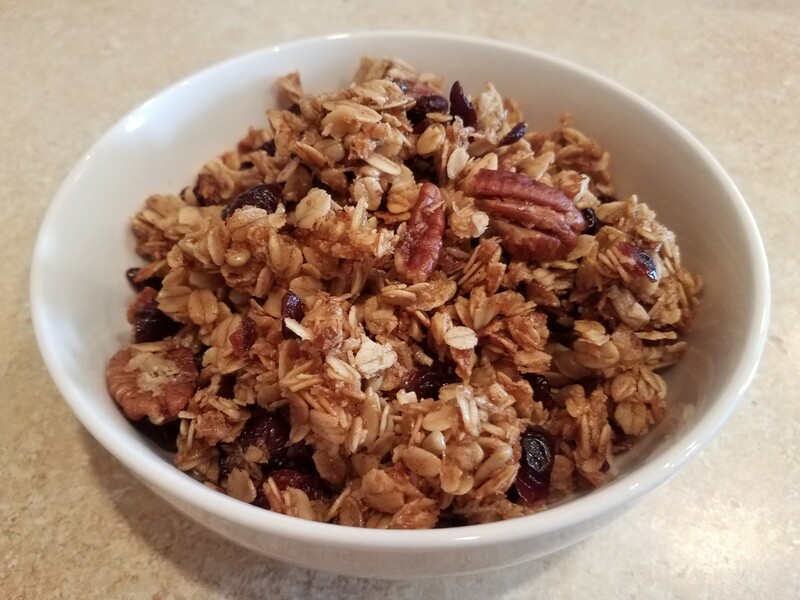 We really love homemade granola in our house. 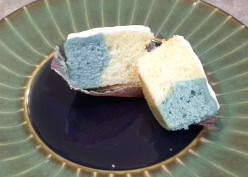 It's extremely easy to make, can be made to your tastes, and is fun to eat. You can pour milk over the top of it, add it to yogurt and fruit for a fruit parfait, top some fresh fruit and honey with it for a nice quick fruit crumble, or just eat it as-is. My husband loves pouring milk over the top and eating it like cereal, and we've also taken it in bags for snacks during the day, poured it over yogurt and fruit for a fruit parfait, and even used it to top fruit and popped it into the over for a a quick fruit crumble. What's not to love about cinnamon sugar cookies with chocolate chips? 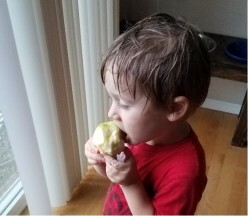 I know my toddler has never passed one up, and neither will you. I think there are likely some hard and fast rules for when and how you can serve corn on the cob, and we break them all over here. Any time we can take advantage of fresh sweet corn, we do. When you need something fast and you don't have all the ingredients you need, you improvise. That's what I did. Pasta, sauce, ricotta, and mozzarella makes a great lasagna casserole. 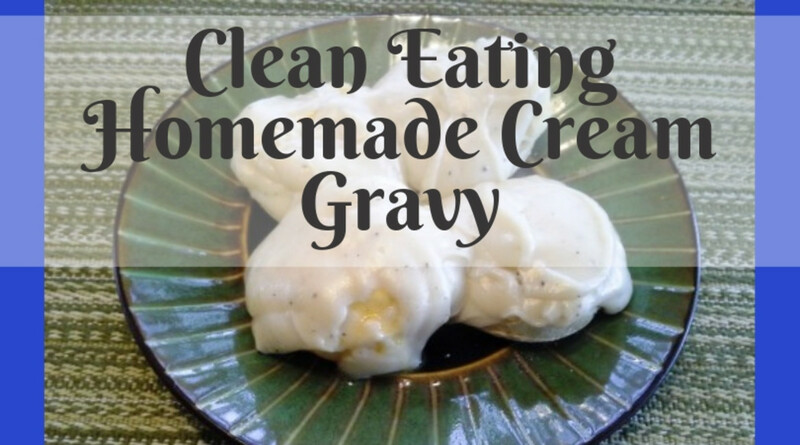 This clean eating homemade cream gravy recipe is super simple to pull together, cheap and quick, and can be used in so many different ways. 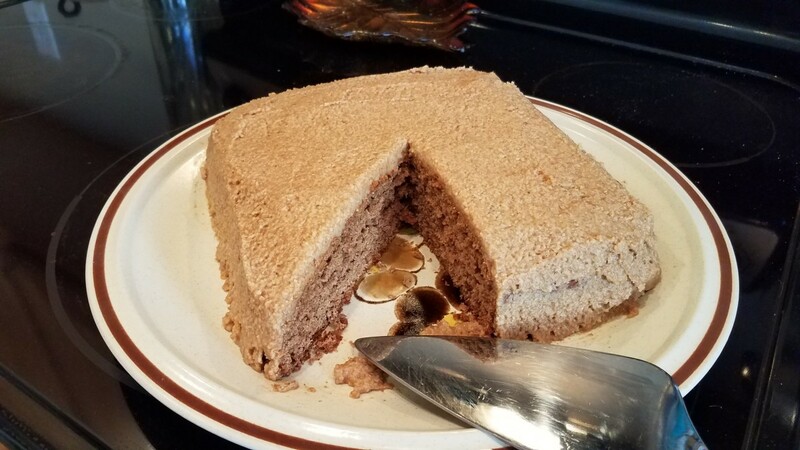 You can use it with biscuits for a filling breakfast, as a topping for fried chicken or chicken fried steak, or even on some creamy mashed potatoes. Imagine your favorite spinach dip at a fancy restaurant, or even better, this reminded me of the spinach queso dip at our favorite Mexican restaurant ... Stop drooling and get cooking! There has been no proven way to completely prevent eczema, but taking good care of your child's skin and well-being can work wonders. This article covers some ways to treat your child's eczema. So there's this crazy idea that once a woman finds out that she's pregnant, she should start eating twice as much. In fact, it's encouraged, because she is after all "eating for two" now. But that's not actually true. Check out the suggested weight gain for a healthy pregnancy here. This is your body and your baby. Having a baby is a really personal and very emotional experience. You don’t just want anybody to be in the driver’s seat for this experience. 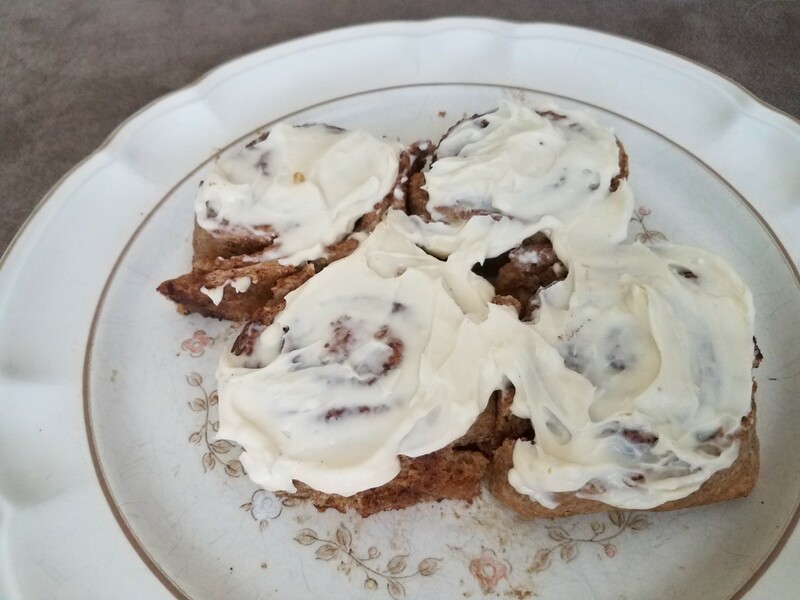 Just about everyone loves icing and frosting. Right? Well, that's never been me. I've always been the scrape the frosting off and eat the cake kind of person. Everyone knows that eating healthy during pregnancy is critical for developing a healthy baby, but that doesn't mean it has to be gross or hard to stomach. Check out this article for tons of great tips on what to eat and how to eat during pregnancy and enjoy it! So the morning sickness has finally set in. 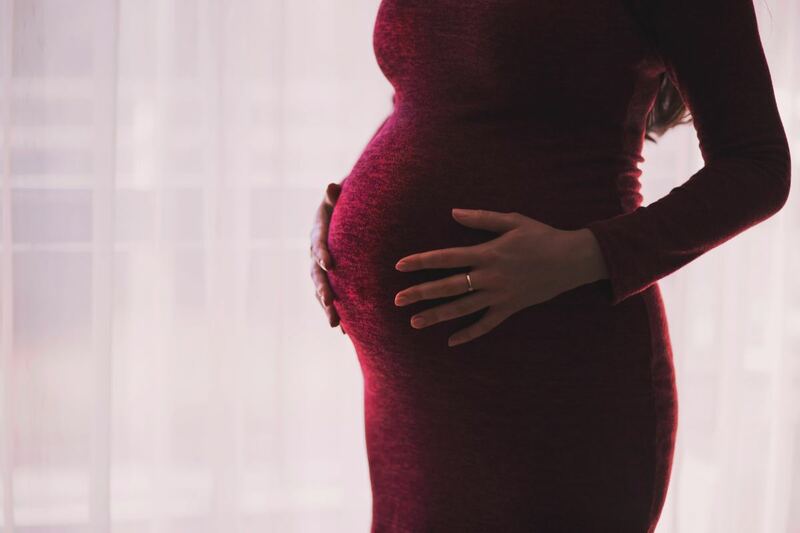 Although you may have been lucky enough to avoid the famous nausea for a few weeks in the beginning, it normally sets in between 6 and 8 weeks of pregnancy. French fries are pretty much a serious staple food item for all Americans. I don't know many people, at least in this country, that doesn't like french fries. 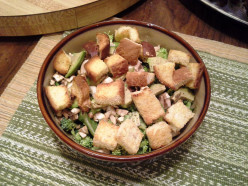 But with bread being so cheap, and so easy to make myself at home when I want to, it only made sense to make our own croutons here at home. Struggling to Get Pregnant? I’ve Got the Answer! When I explain the solution to doing it right the first time, and tell you how in control you'll feel of your cycle and your ability to get pregnant, you'll feel foolish. 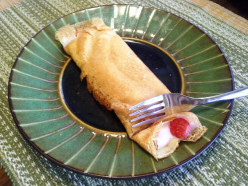 These babies are essentially just really thin pancakes that can either be filled with your chosen fillings, or can be rolled up and topped with various yummy toppings. Along with my onions, I added an Anaheim pepper and two zucchini squash. 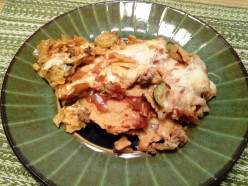 I used corn tortillas rather than flour, my Homemade Red Enchilada Sauce and tons of yummy shredded mozzarella cheese. 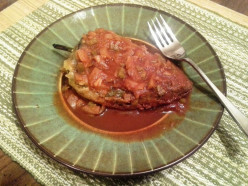 Red sauce is one of the most multifunctional sauces used in Hispanic dishes. 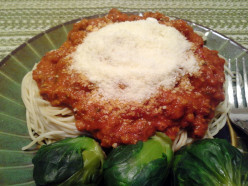 Although everybody makes their red sauce just a tad bit different, the basic ingredients are the same. 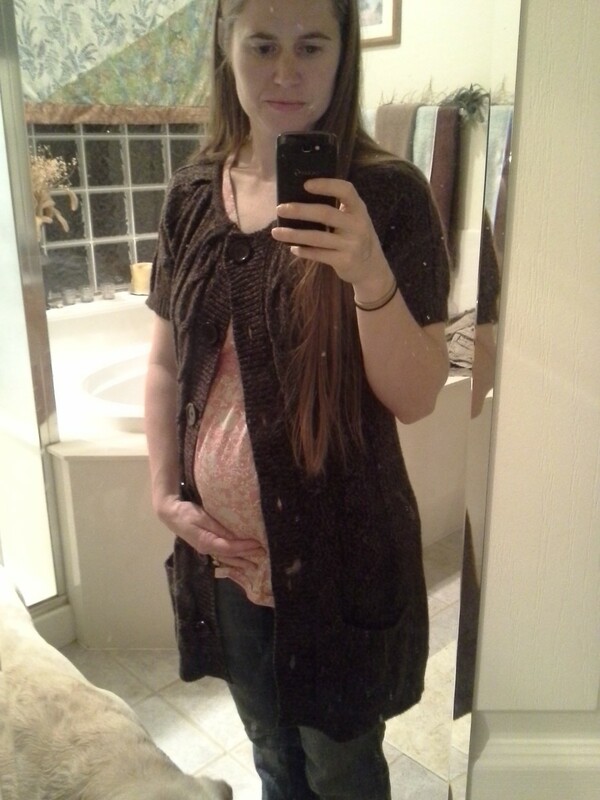 Pregnancy is such a wonderful thing! Of course, you probably feel like you were hit by a truck and that’s reasonable with all that is going on inside your body right now, but it’s all normal. Valentine's Day comes every year, and when it does, ideas of flowers, chocolates, and finding the perfect gift probably come to mind. I finally thought I would try it out. 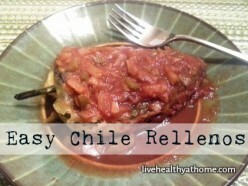 It was just too tempting when I learned that this dish was simply poblano peppers stuffed with tons of cheese. Yum! 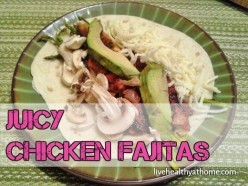 Two chicken breasts, some tortillas, and some yummy vegetables, and we had some delicious fajitas. 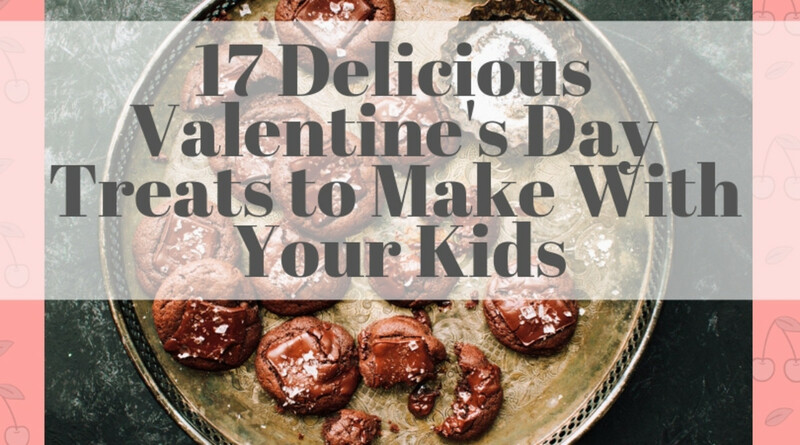 Your kids are learning measurements, what two substances are like when they are combined, and how to take a multitude of different ingredients and put them together into something delicious while they enjoy these great Valentine's Day treats to make with your family. 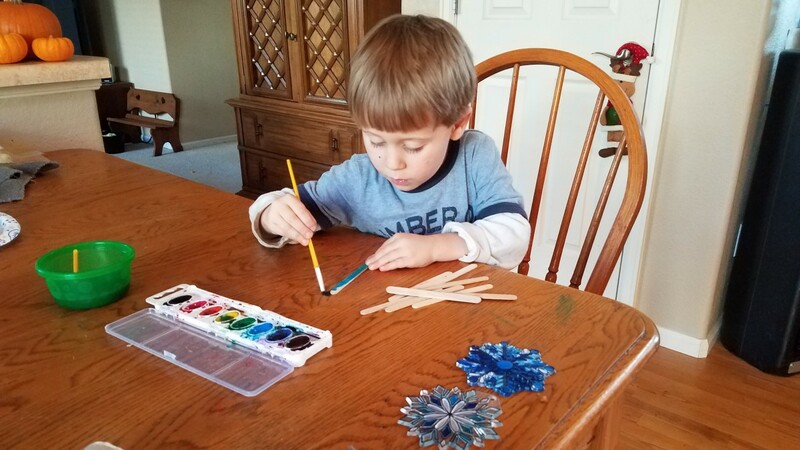 With these 10 great Valentine's Day crafts for kids, you can have tons of fun with your children celebrating Valentine's day together. 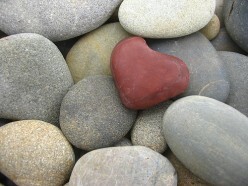 The holiday is all about love, isn't it? 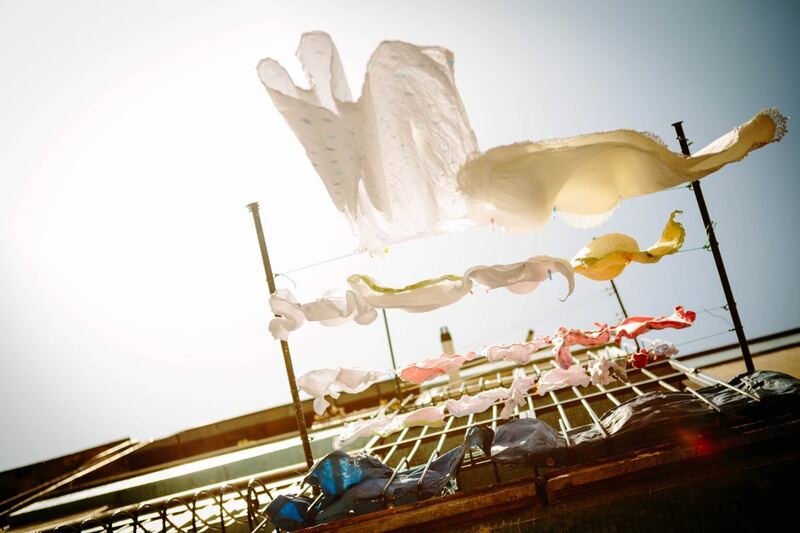 This is the perfect opportunity to shower it over your little ones while spending quality time together. I’m Pregnant! Now What Do I Do? It’s one thing to say that you want to get pregnant, to dream of having a baby, and even to go buy baby stuff, but when you get that positive pregnancy test, it’s a whole different ball game. I was asked to bring cupcakes for the party, along with several other items, and I wanted to do something special. 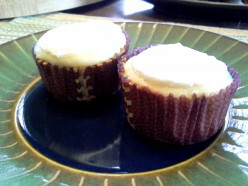 Just bringing my Easy Peasy Amazing Vanilla Cupcakes wasn't going to be enough. 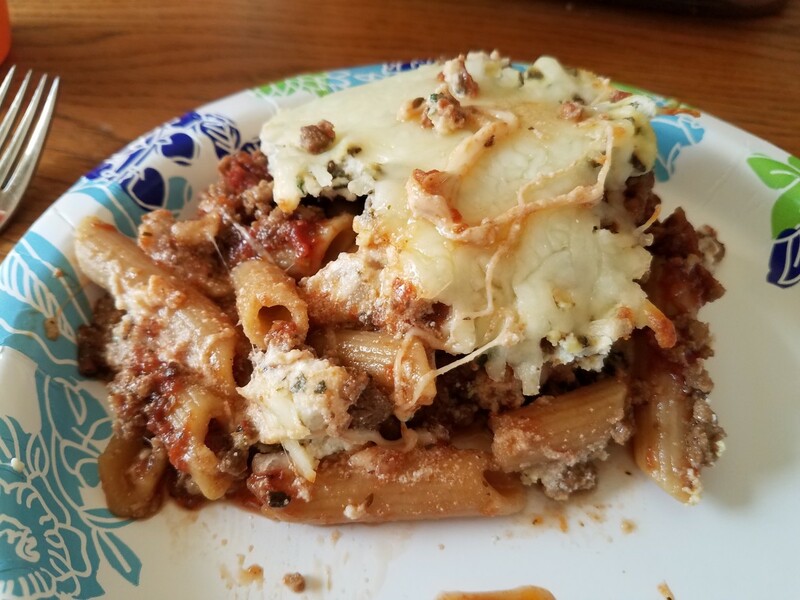 This is one of those great dishes where you can use just about anything you can find in your refrigerator to make the perfect meal. This is one of my family's go to dishes for busy evenings, or when neither of us wants to make dinner. 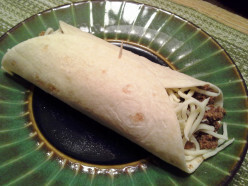 How can you go wrong with tortillas, beans, cheese and hamburger meat? 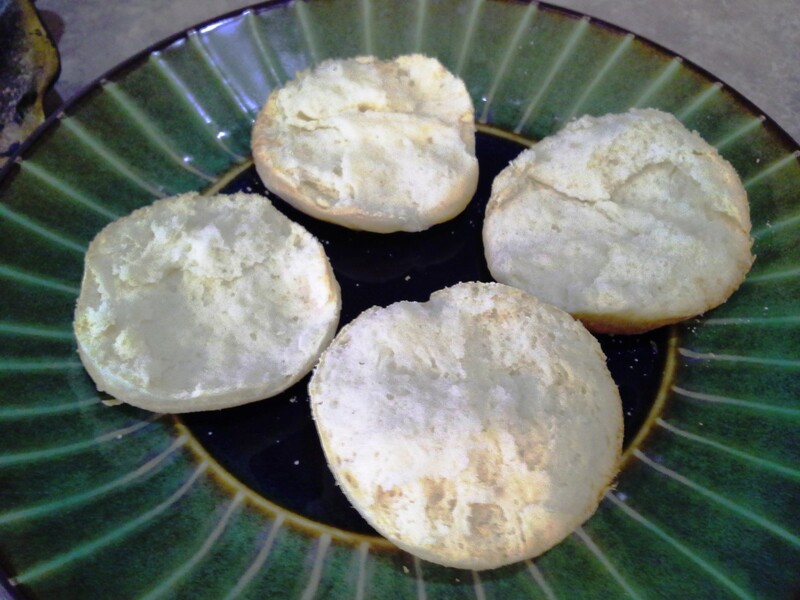 The sour cream in this recipe makes them light an fluffy with a melt in your mouth texture. And the rum extract gives them a taste like you've never tasted. This is another one of those amazing appetizers, next to my Easy Peasy Creamy Deviled Eggs of course, that is always requested and always loved by everyone. 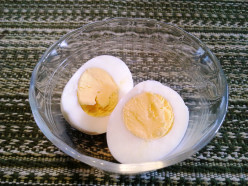 I remember buying my first house, finally having a large kitchen to cook in, and a dining room to serve guests in, and realizing, that I didn't even know how to boil simple eggs. This is probably one of the easiest meals that I make. But as easy as it is, it is also probably one of the most delicious. On evenings when I feel particularly creative, I make my own pizza with my Quick and Easy Pizza Crust recipe, my Homemade Homegrown Tomato Sauce, and the toppings of my choice. Everyone is always so busy nowadays. With everything being created how you like it, when you like it, there’s no reason to slow down. So many people take brussel sprouts for granted and think they're disgusting. I felt the same way for years and years only because I was taught that brussel sprouts were gross. But I couldn't make cake with also making the icing! I've never been a big fan of prepackaged icings. I feel like they are way too sweet, and just have a fake, chemical kind of flavor.